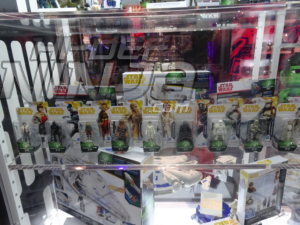 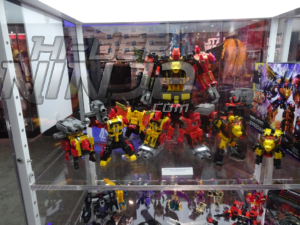 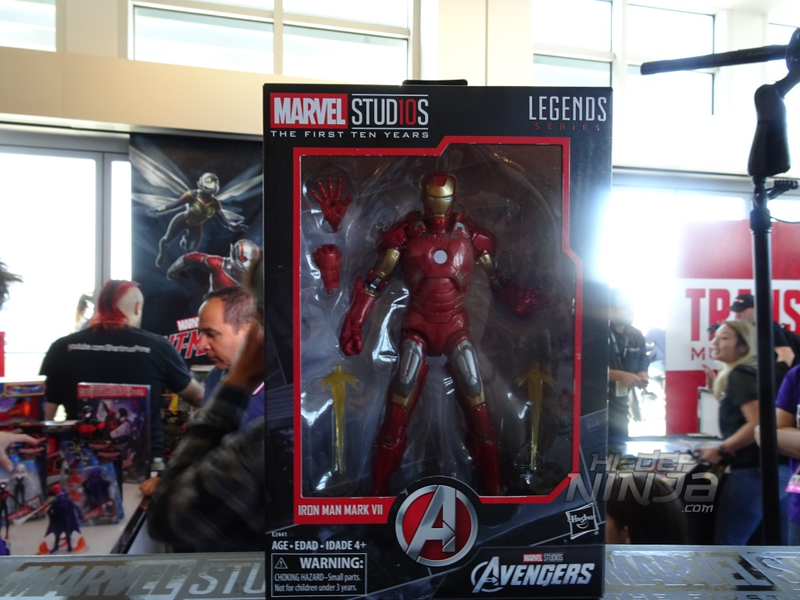 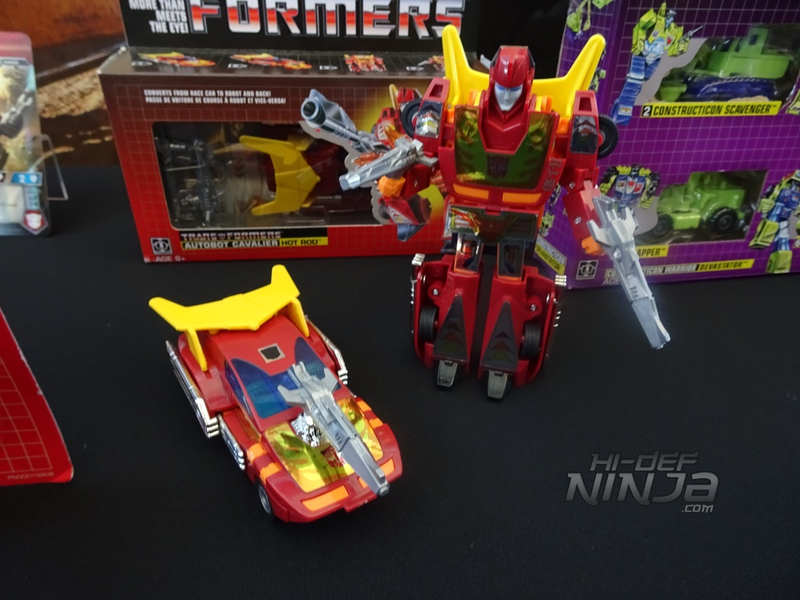 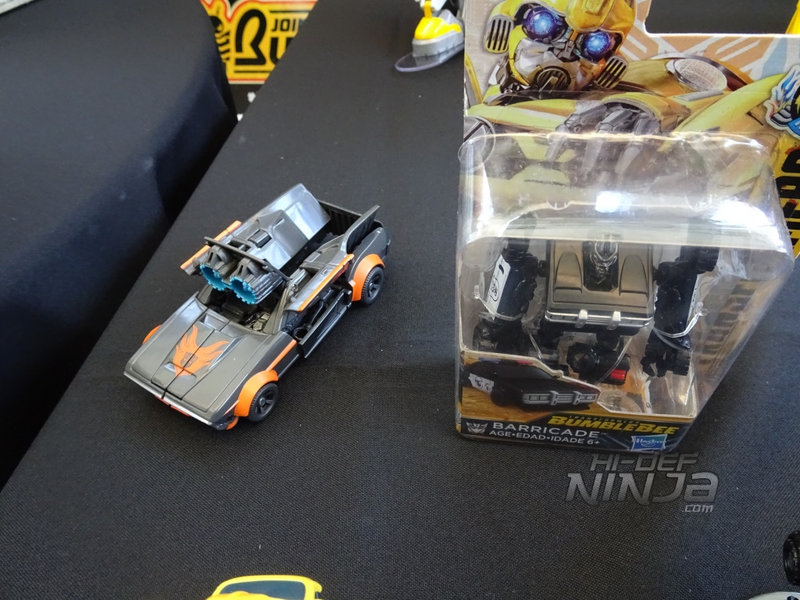 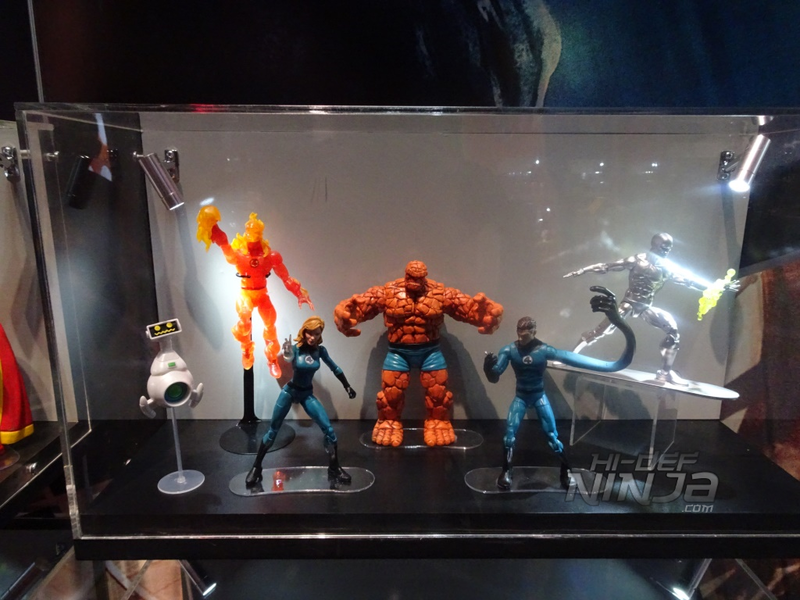 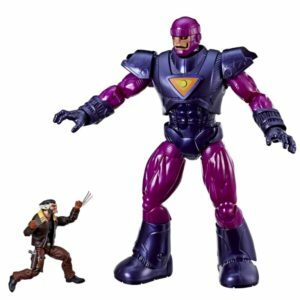 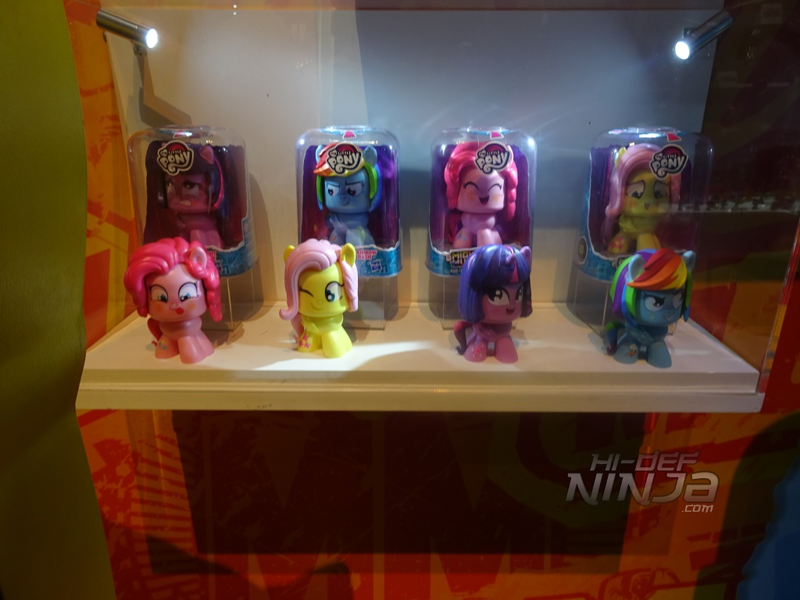 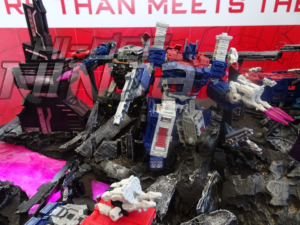 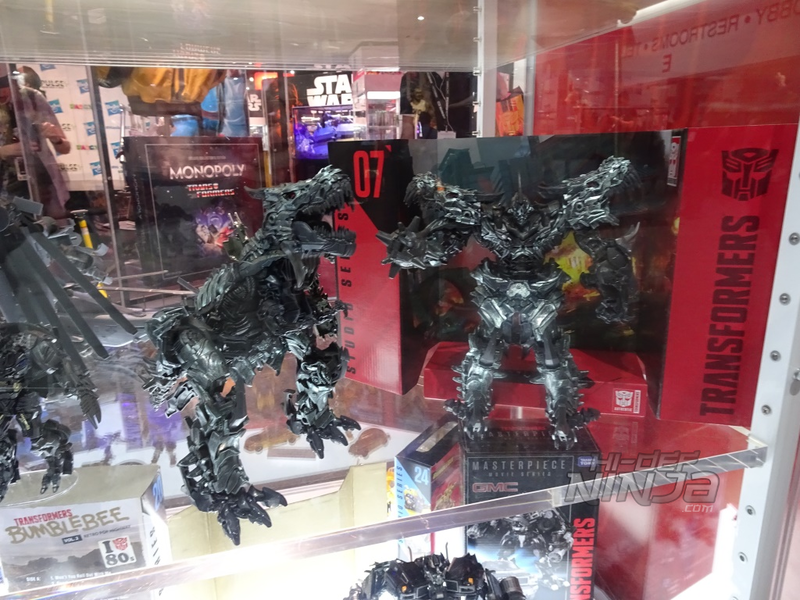 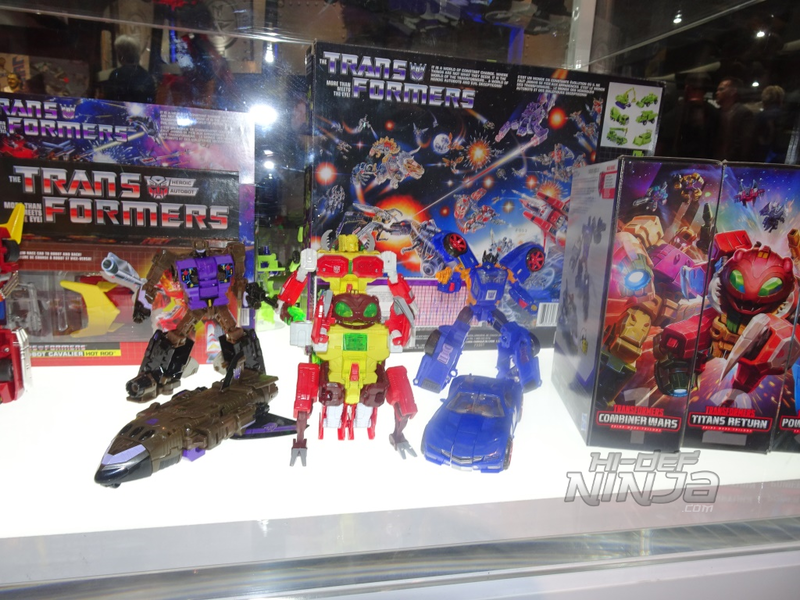 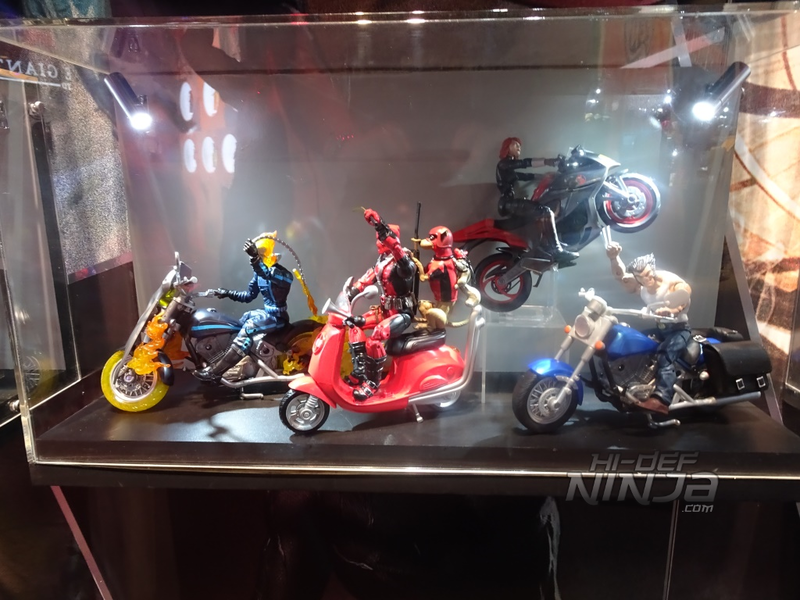 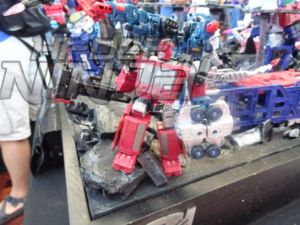 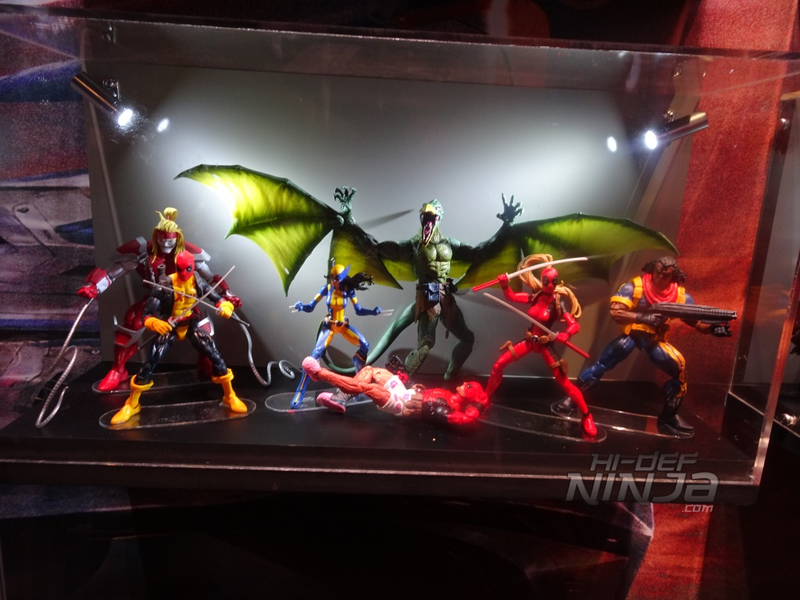 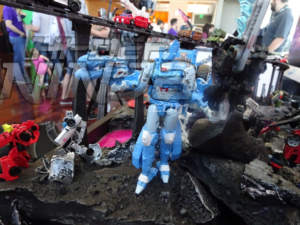 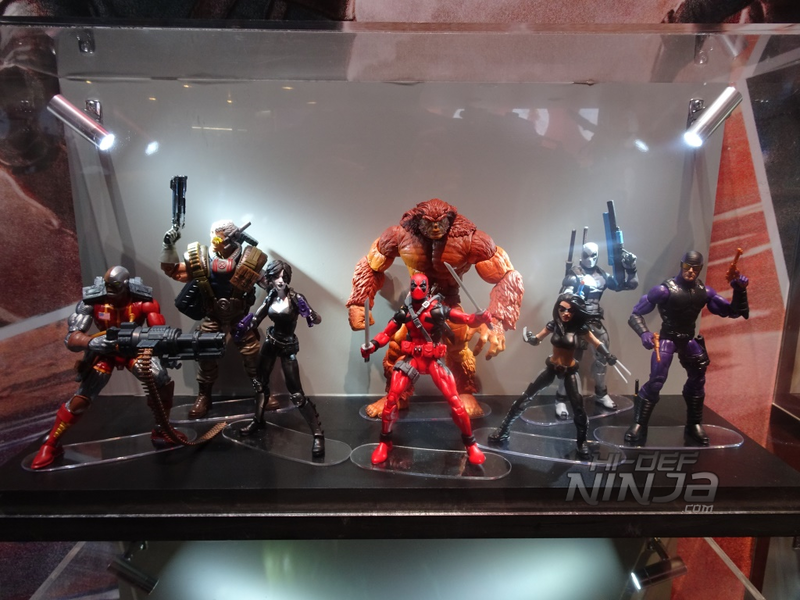 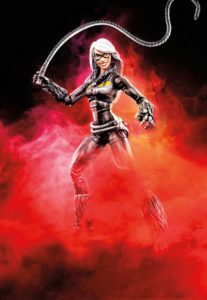 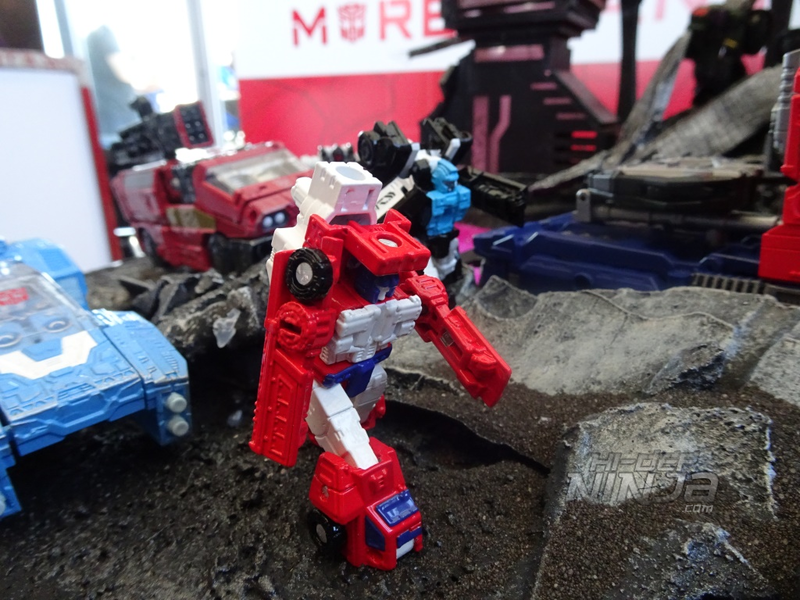 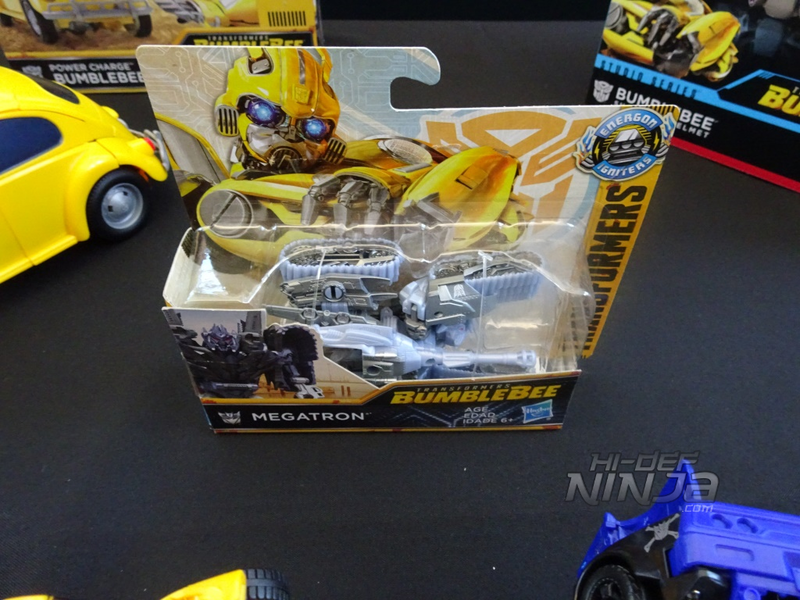 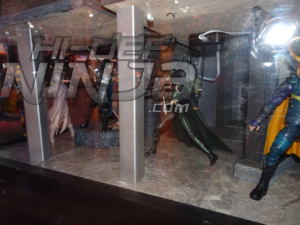 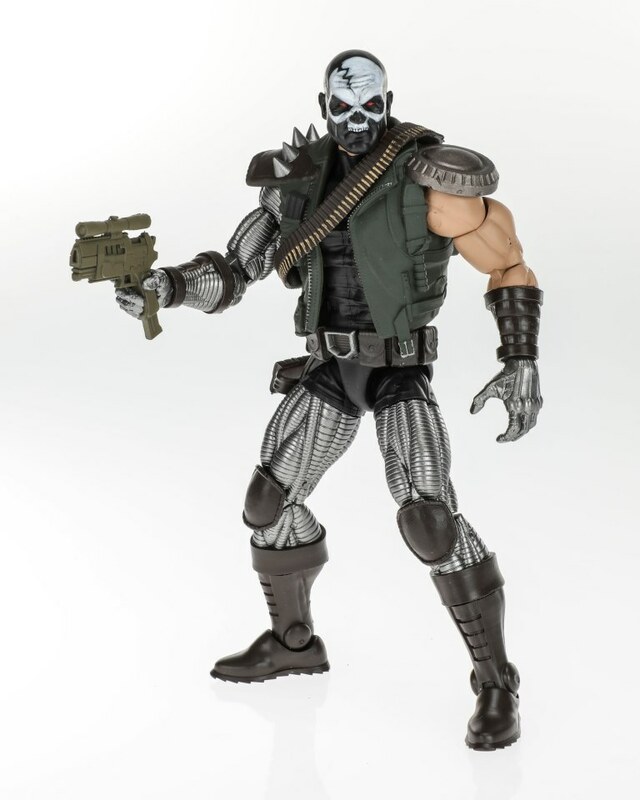 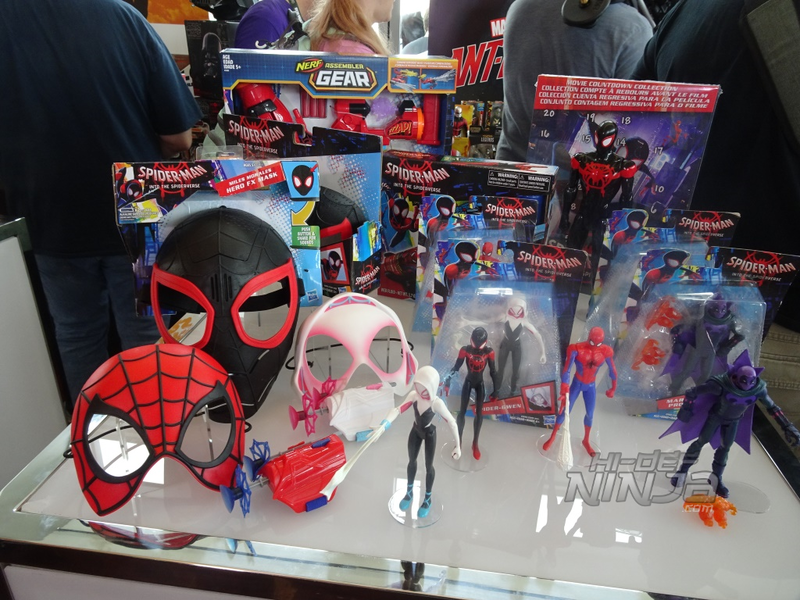 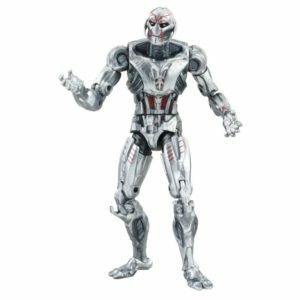 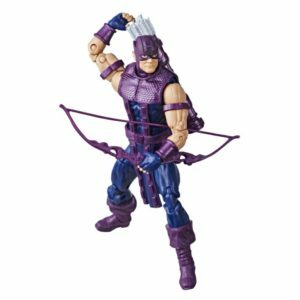 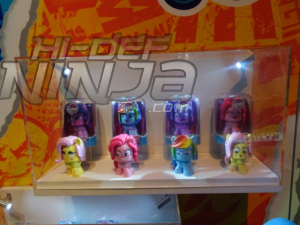 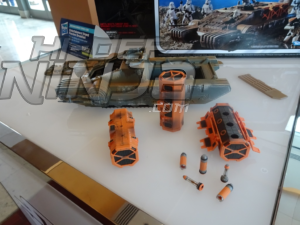 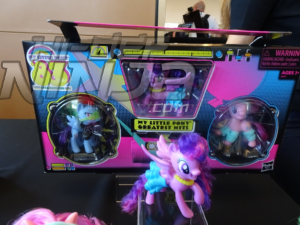 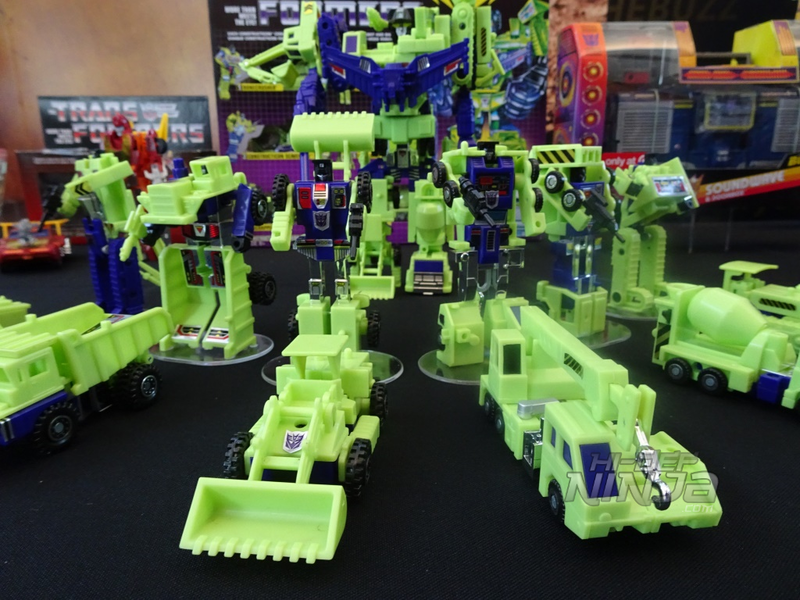 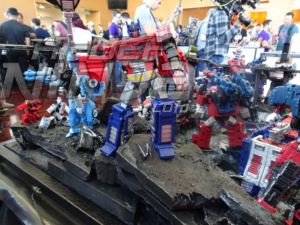 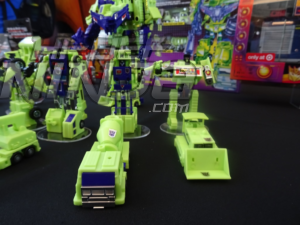 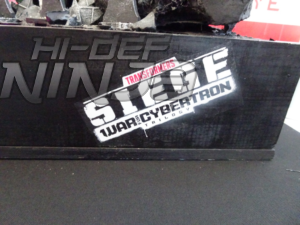 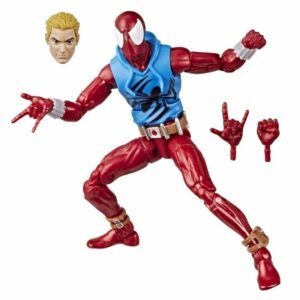 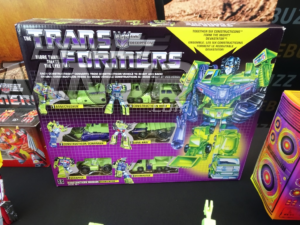 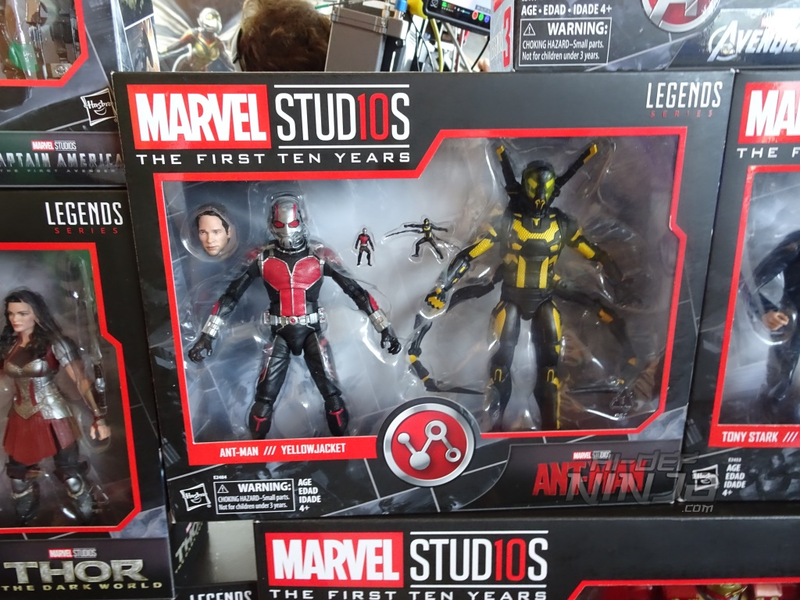 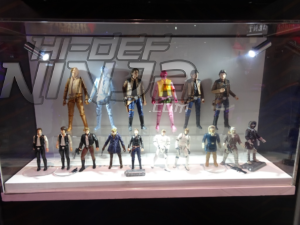 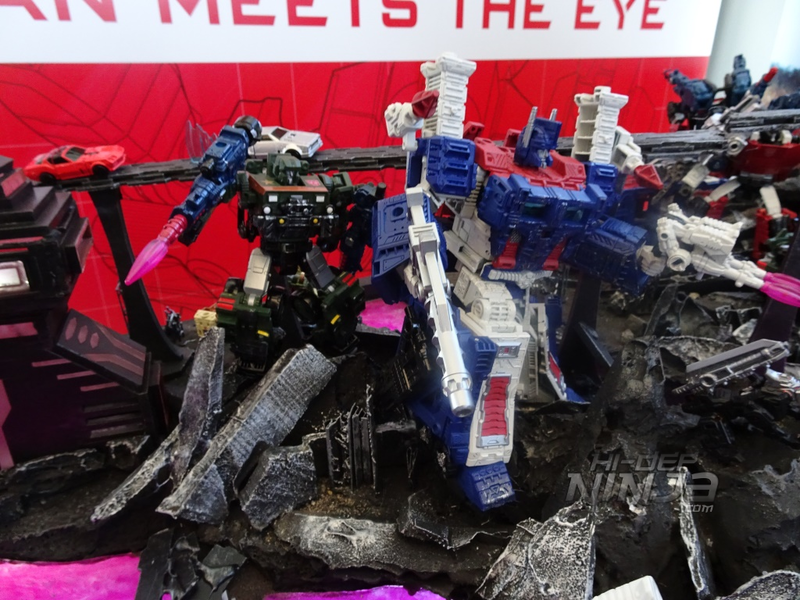 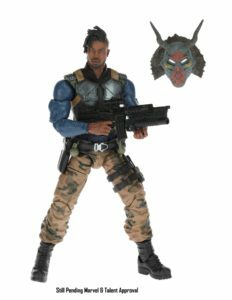 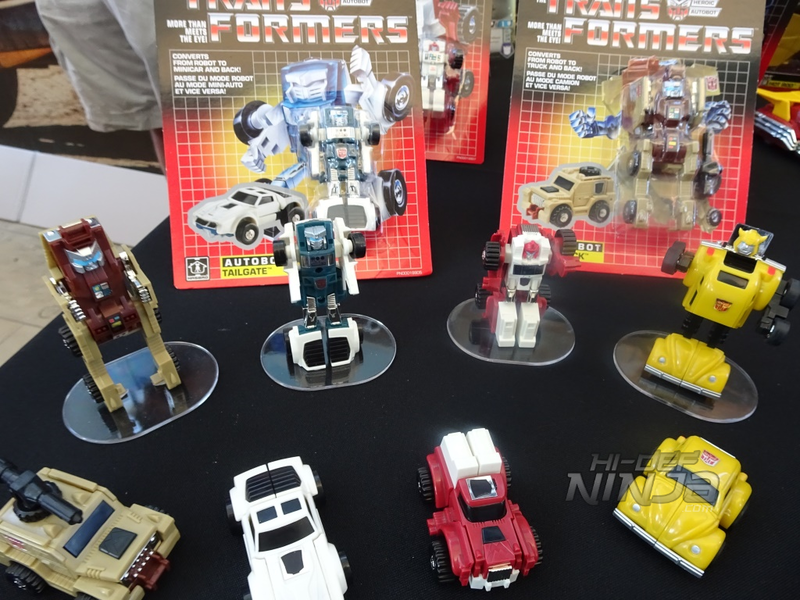 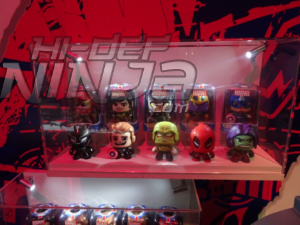 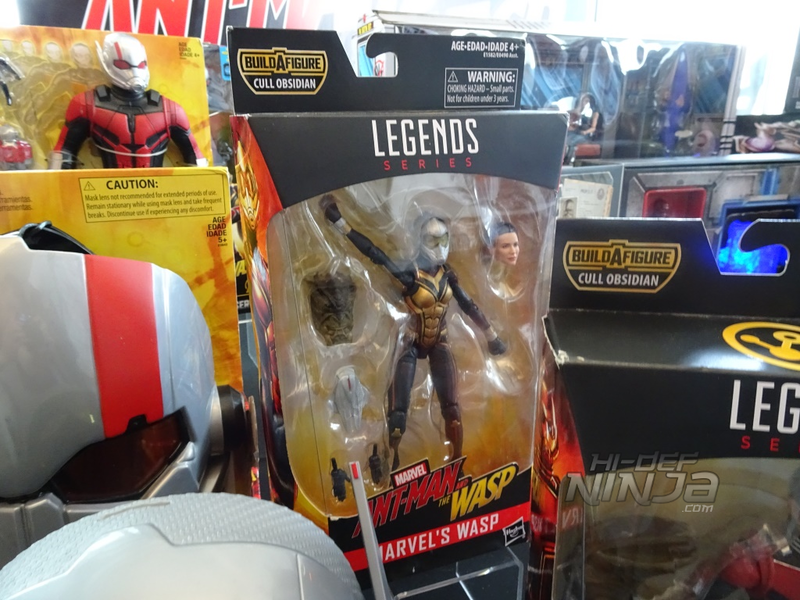 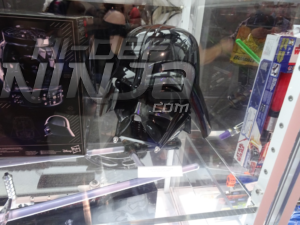 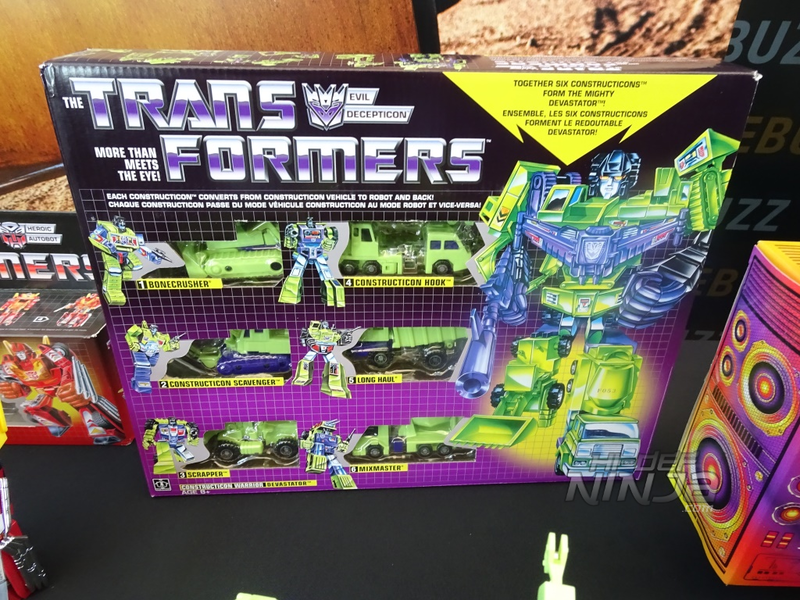 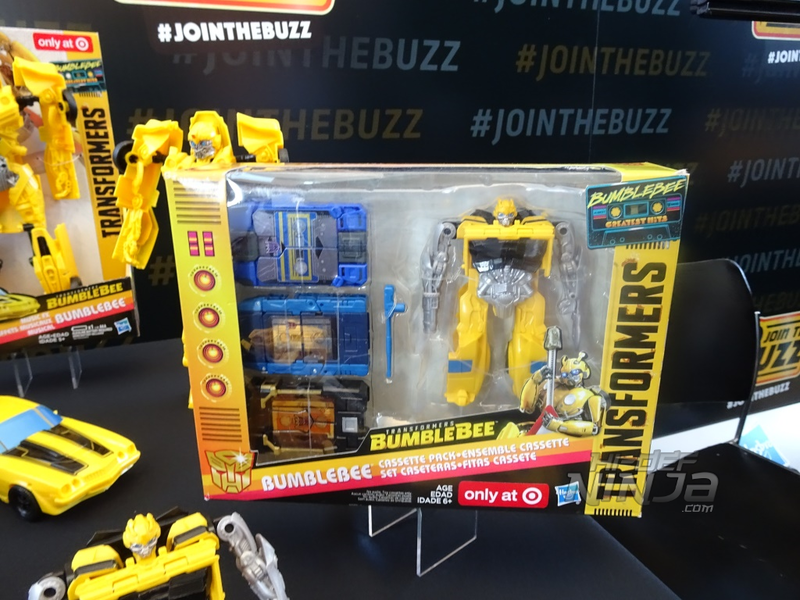 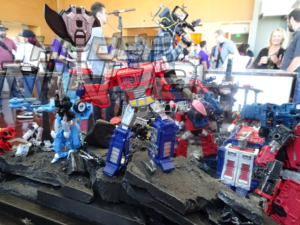 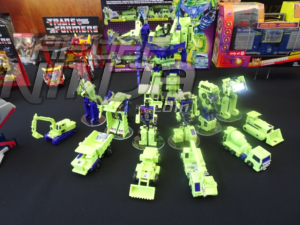 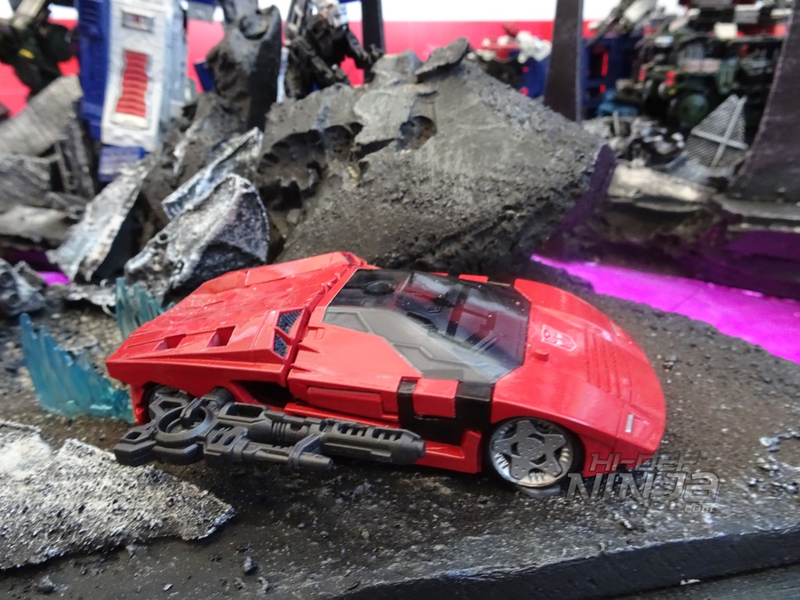 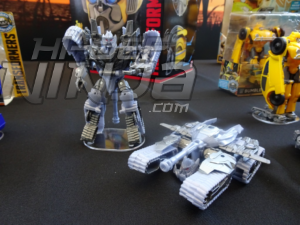 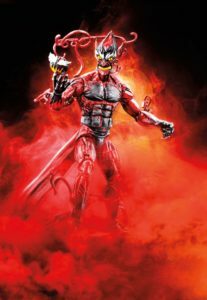 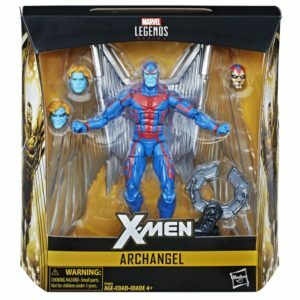 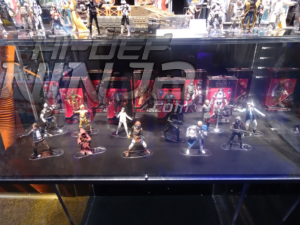 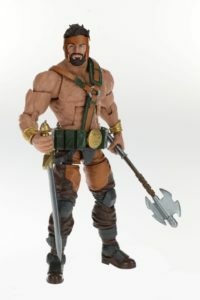 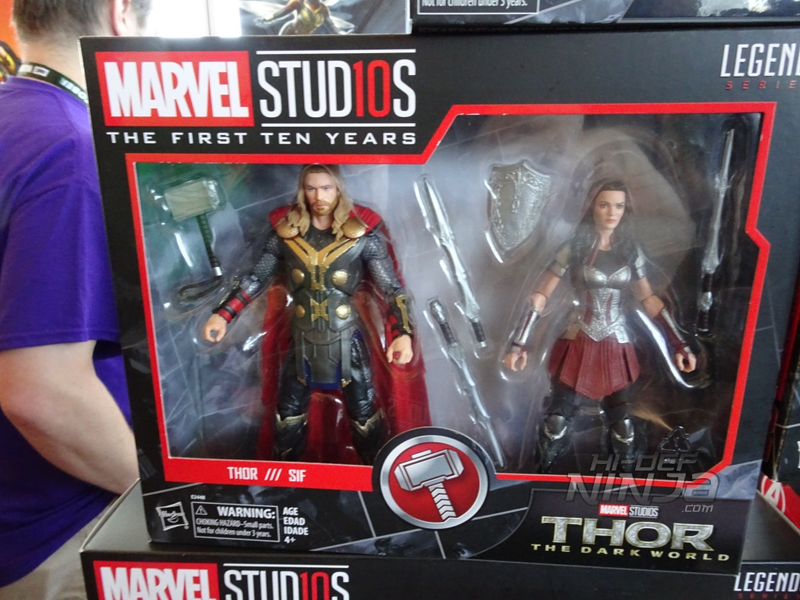 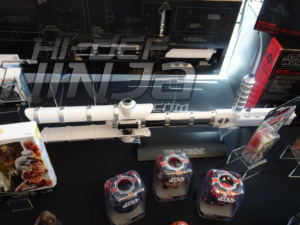 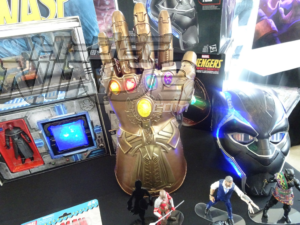 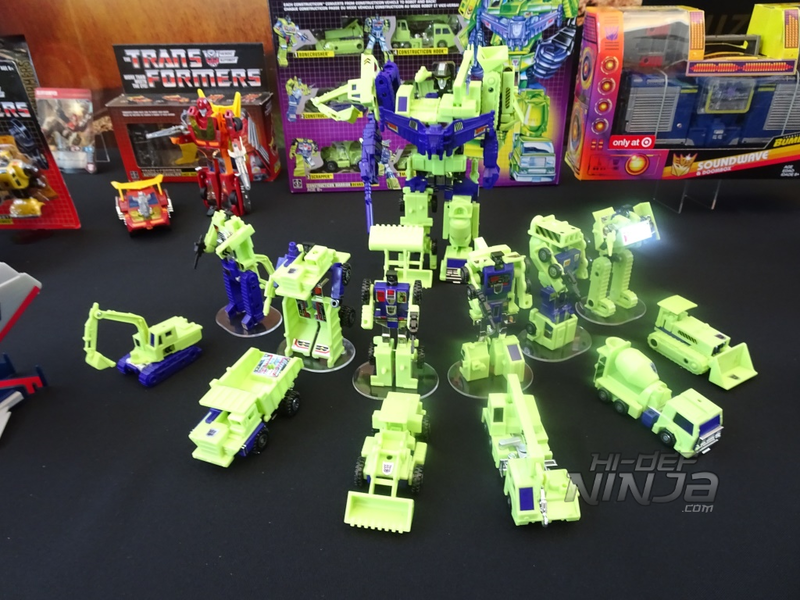 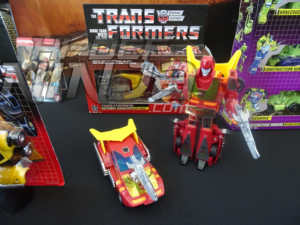 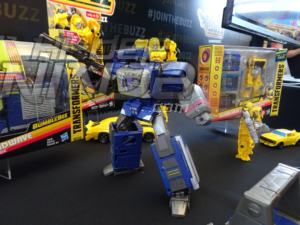 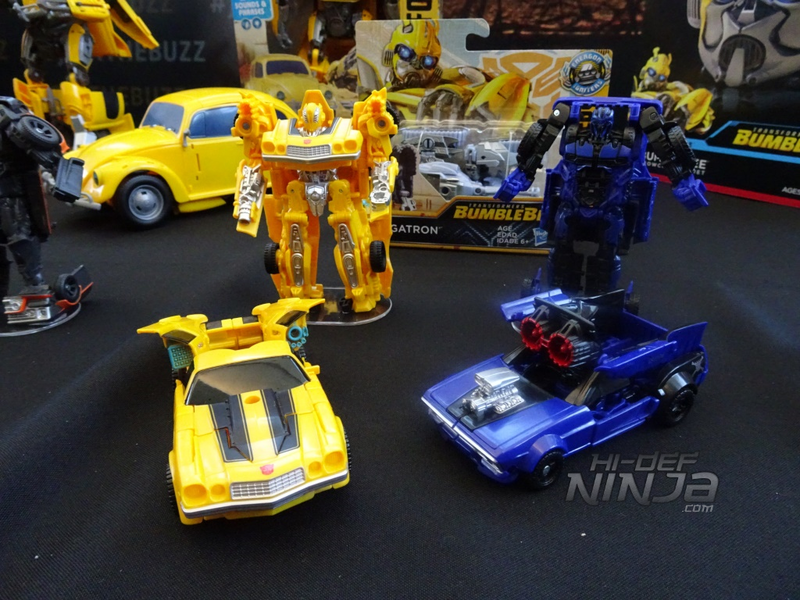 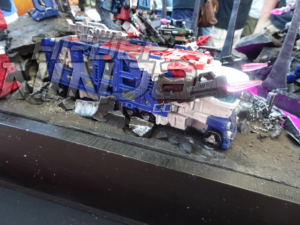 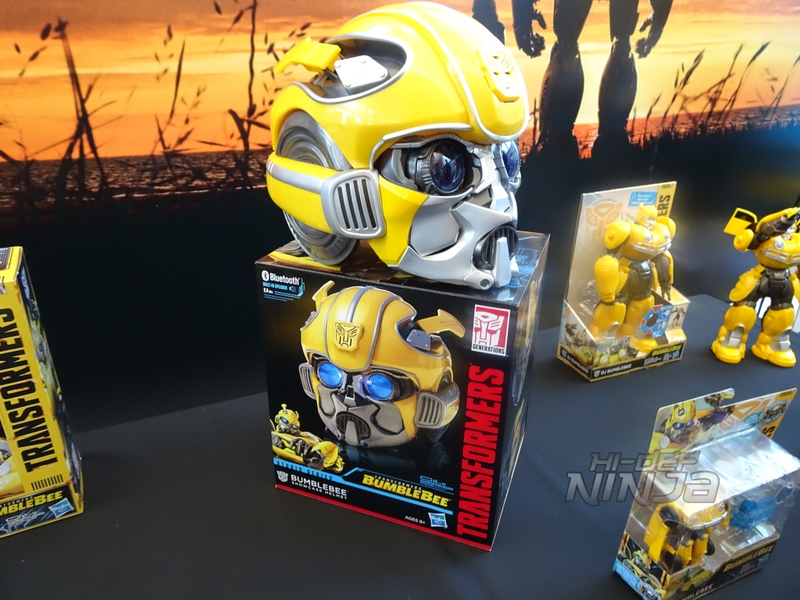 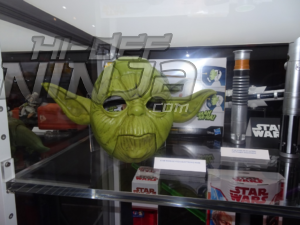 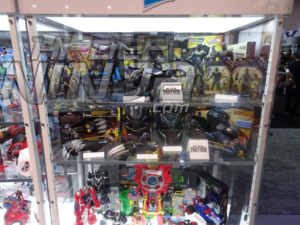 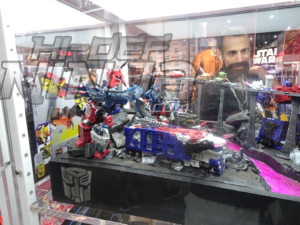 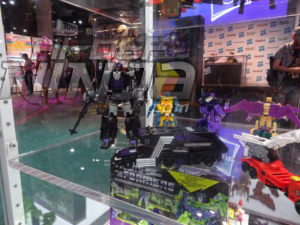 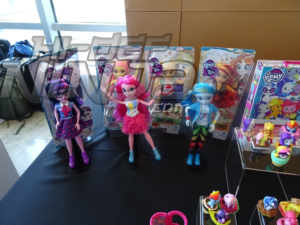 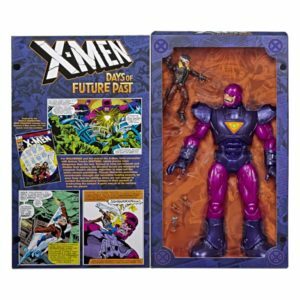 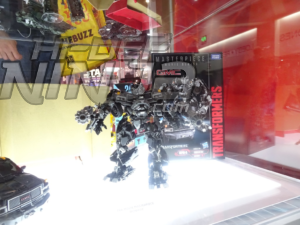 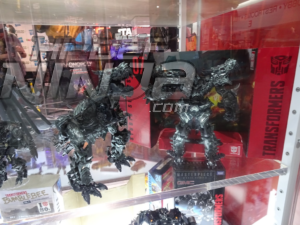 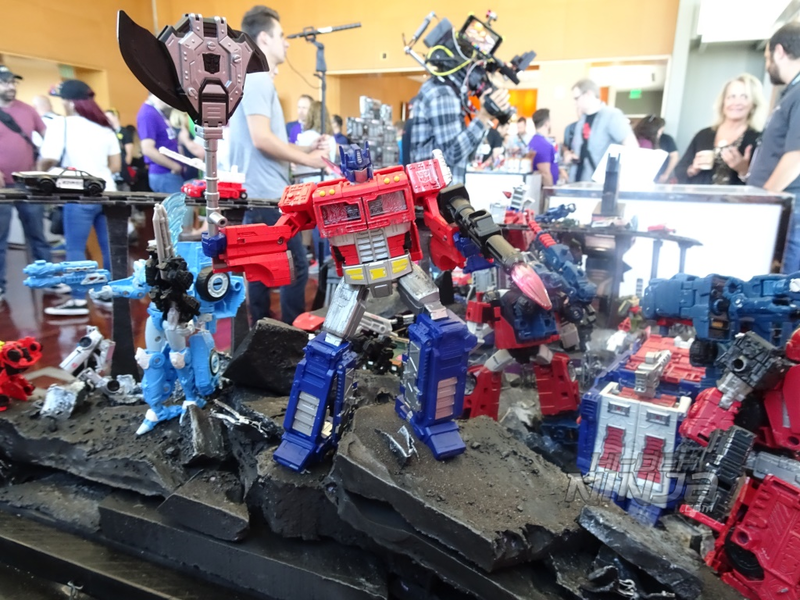 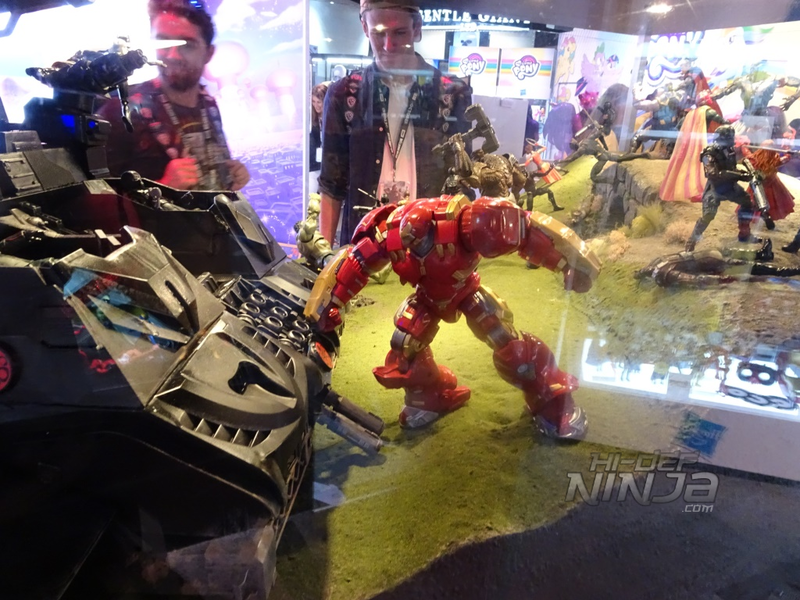 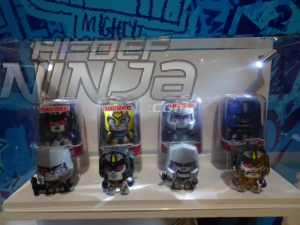 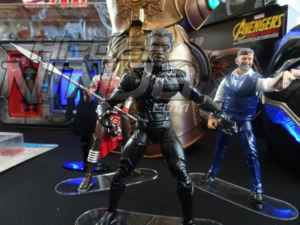 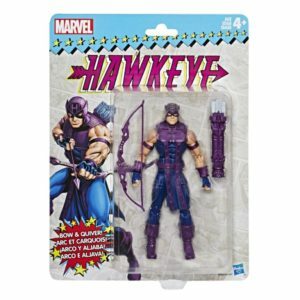 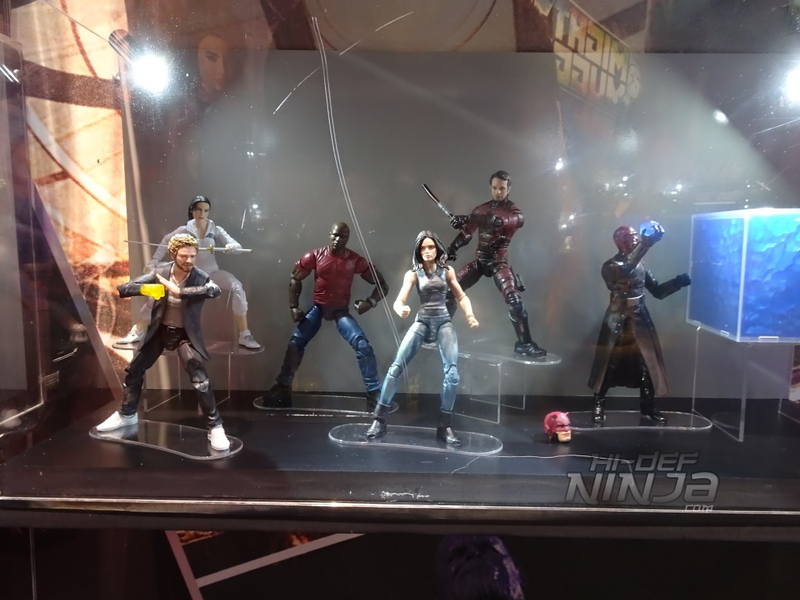 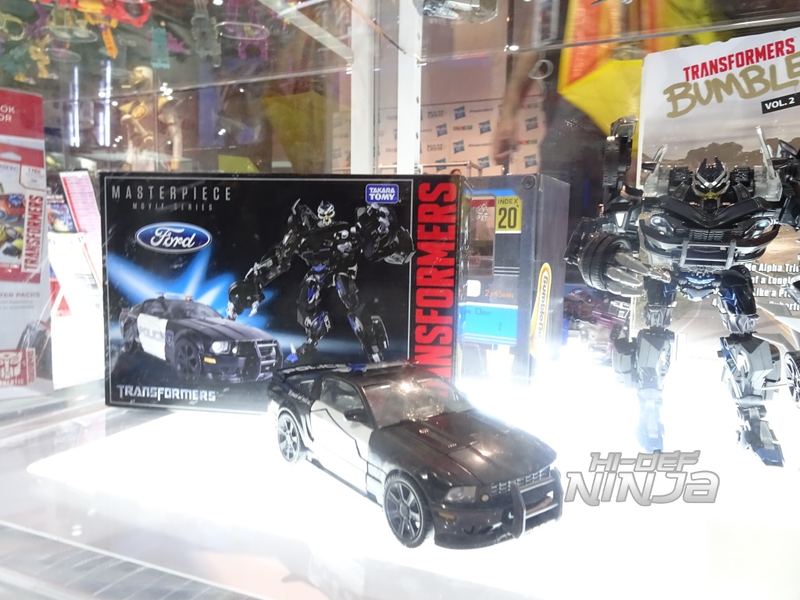 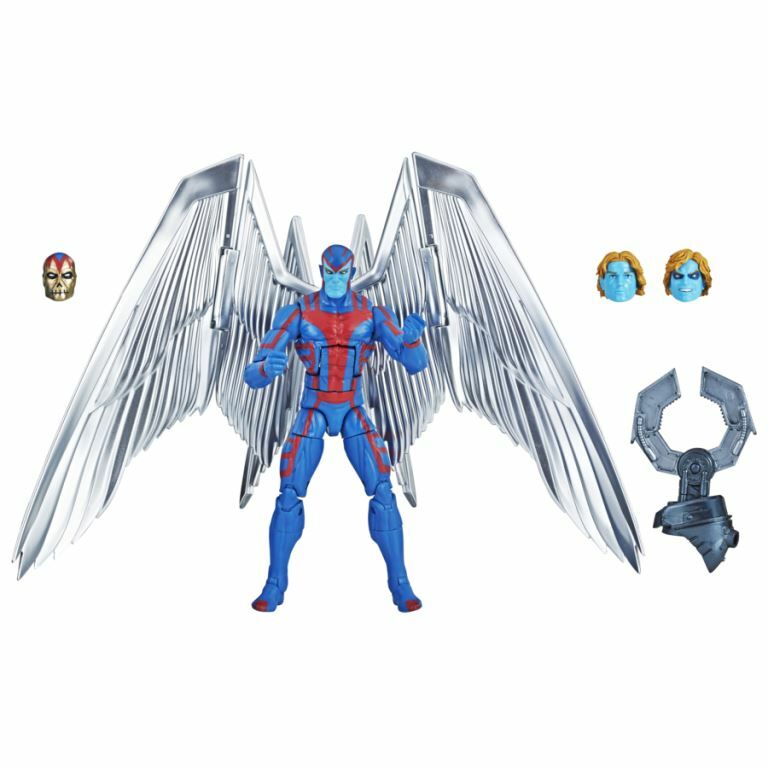 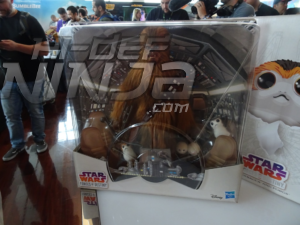 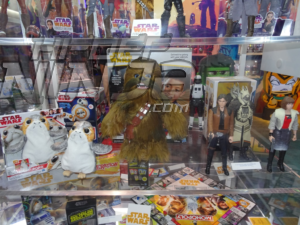 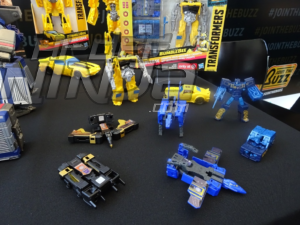 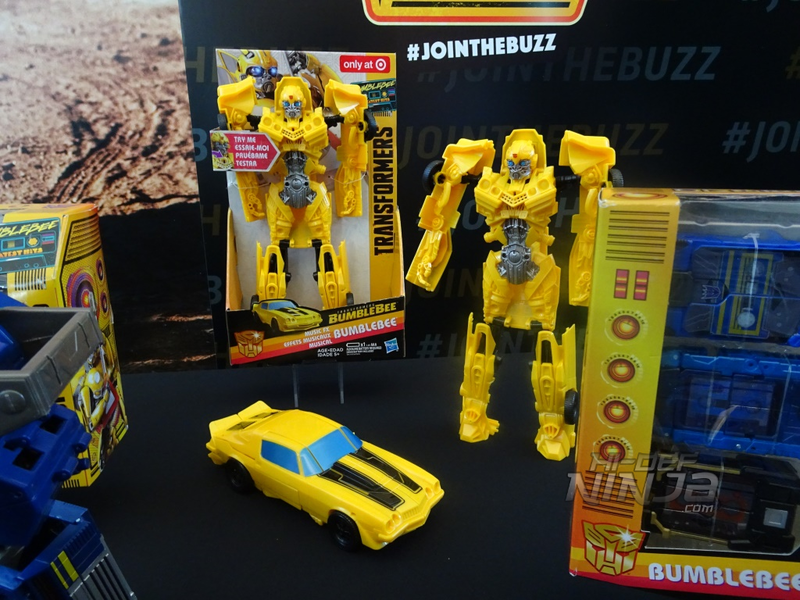 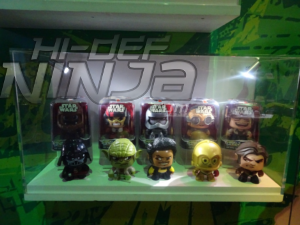 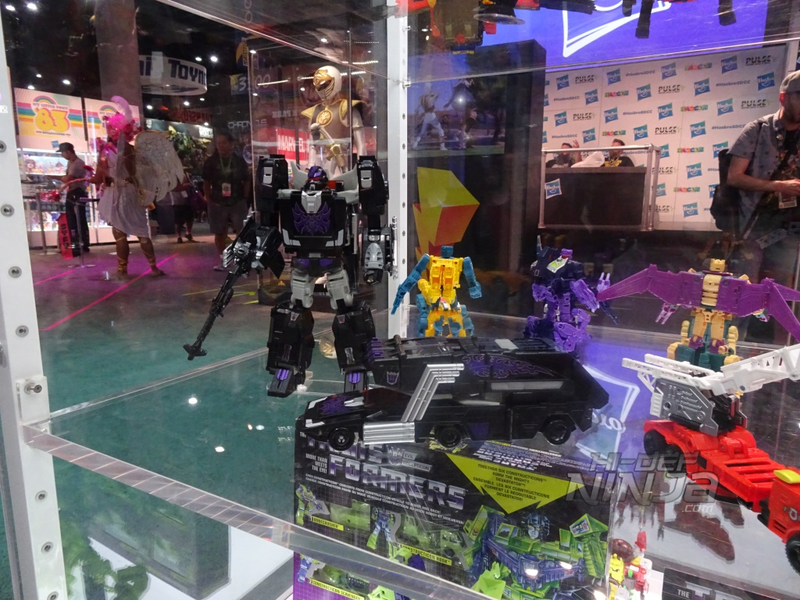 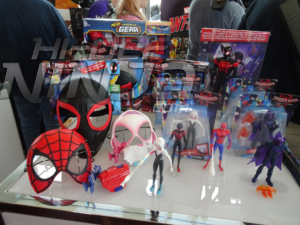 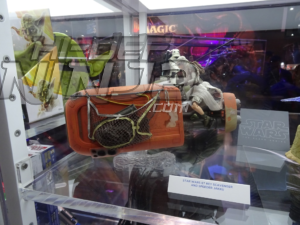 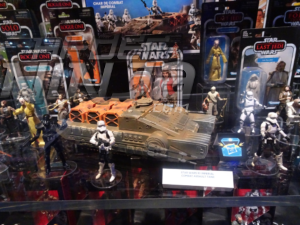 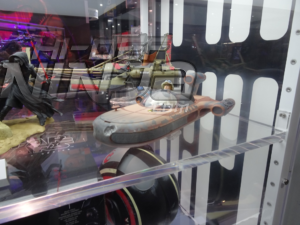 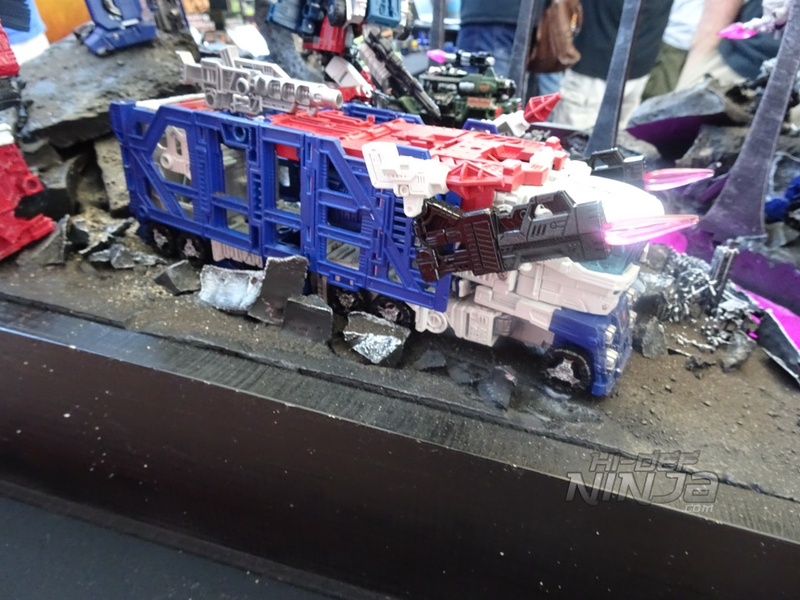 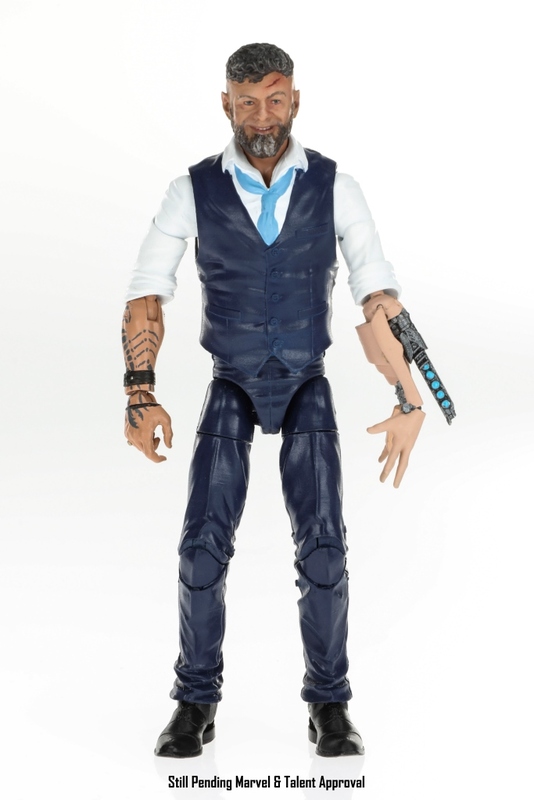 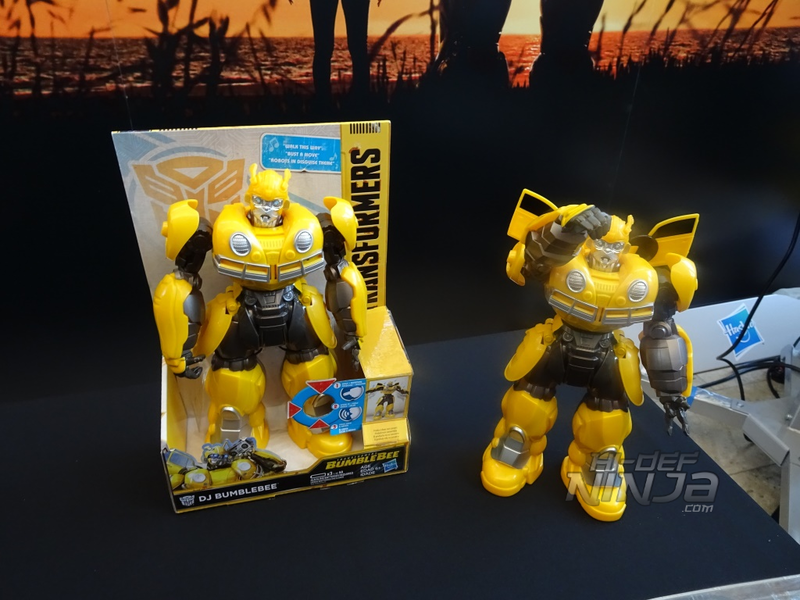 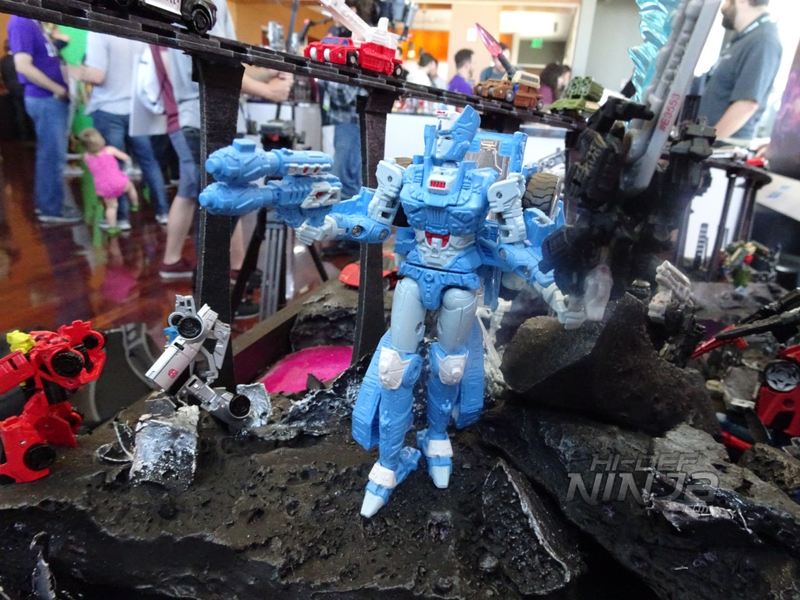 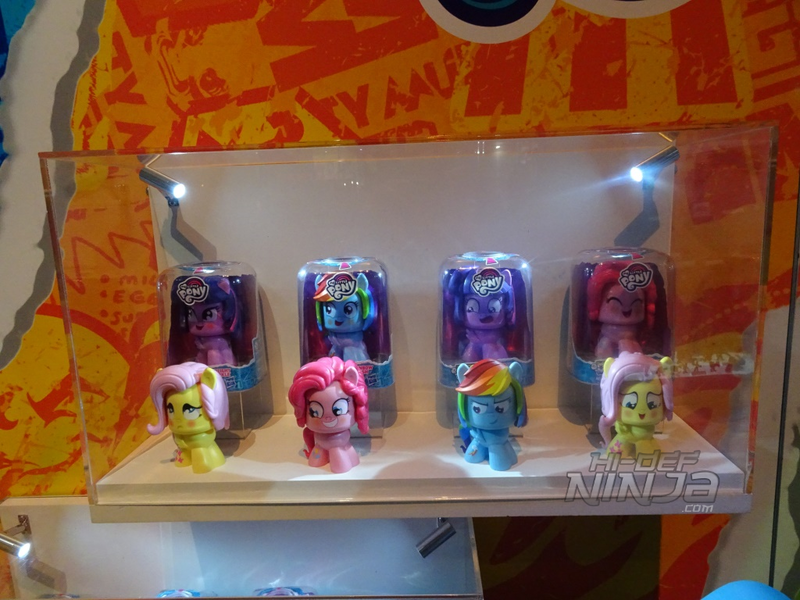 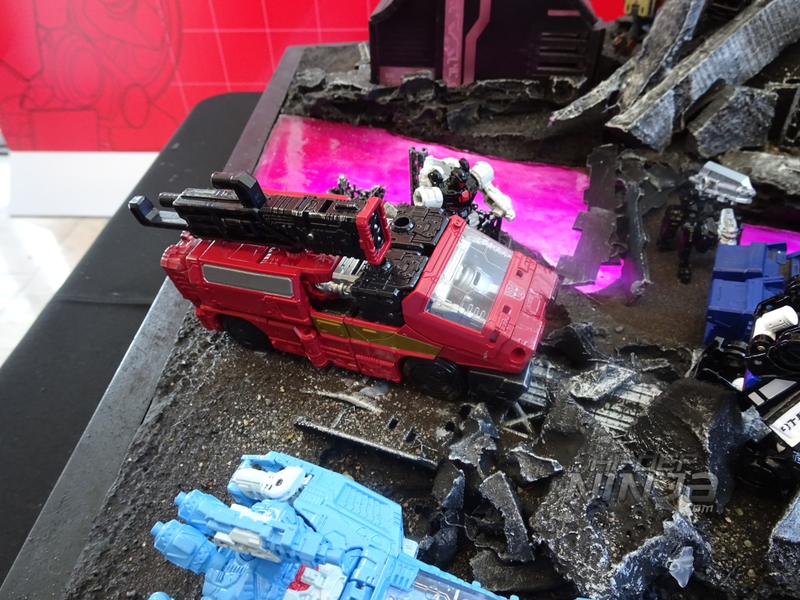 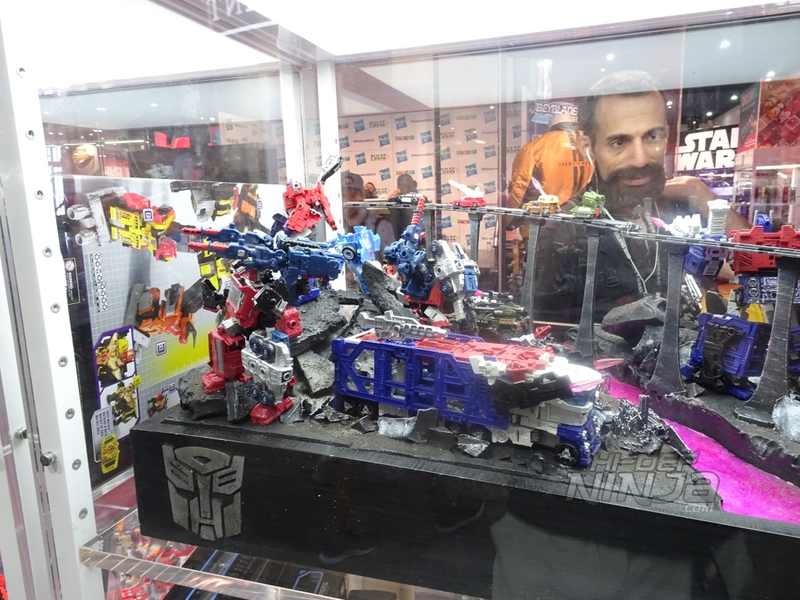 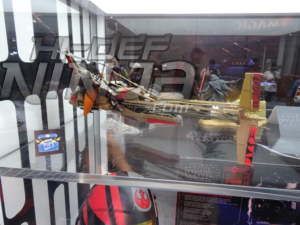 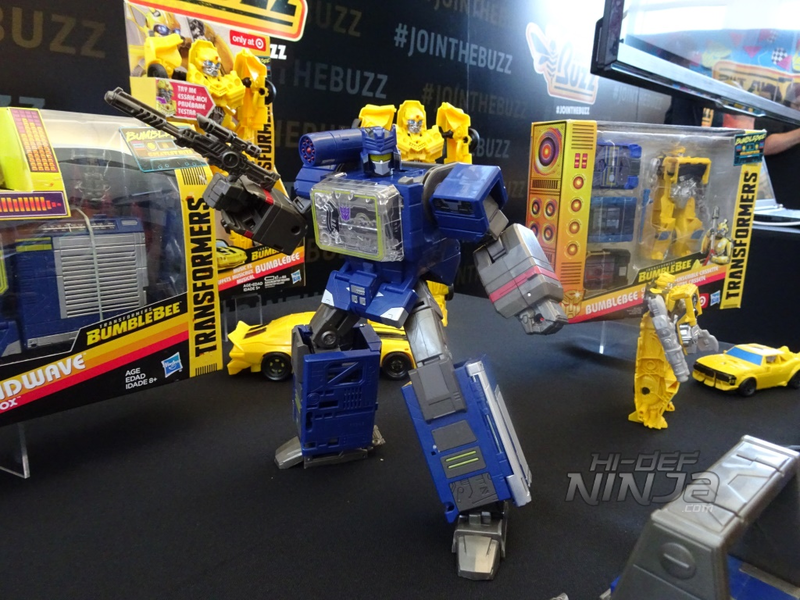 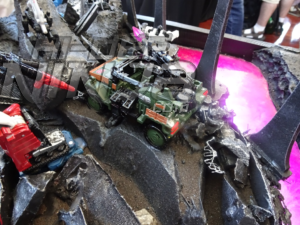 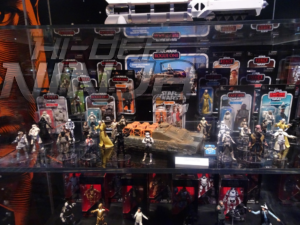 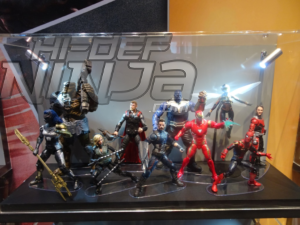 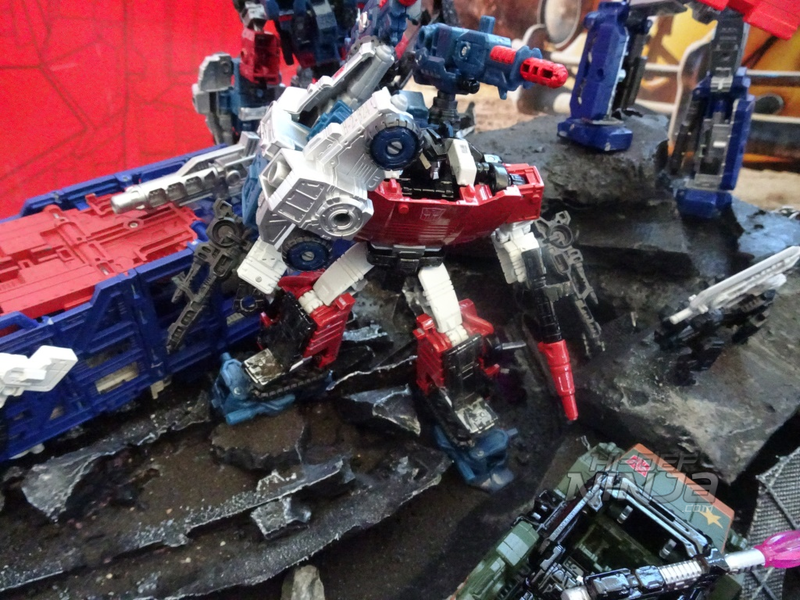 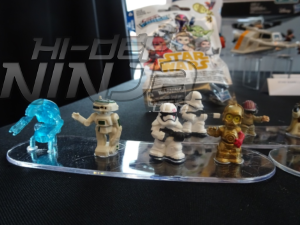 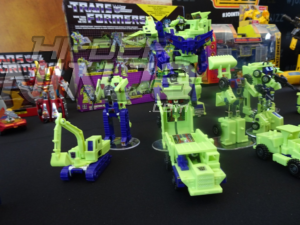 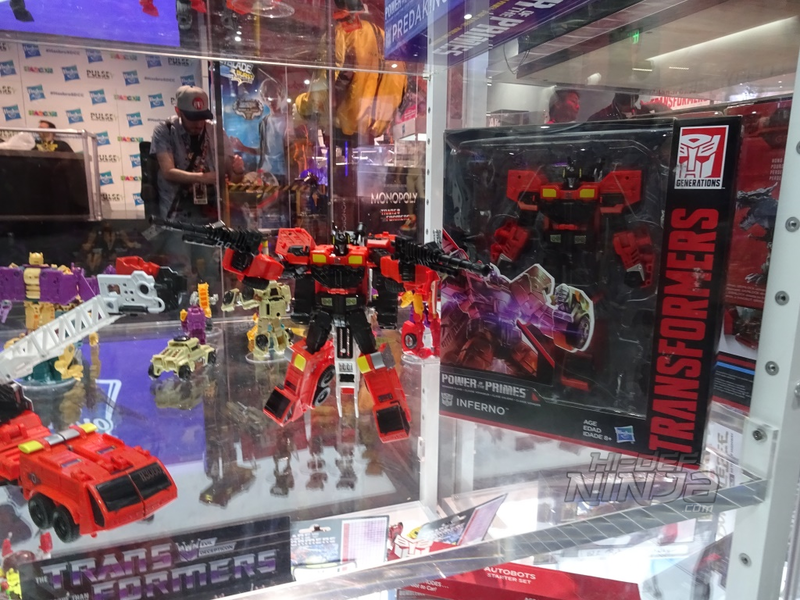 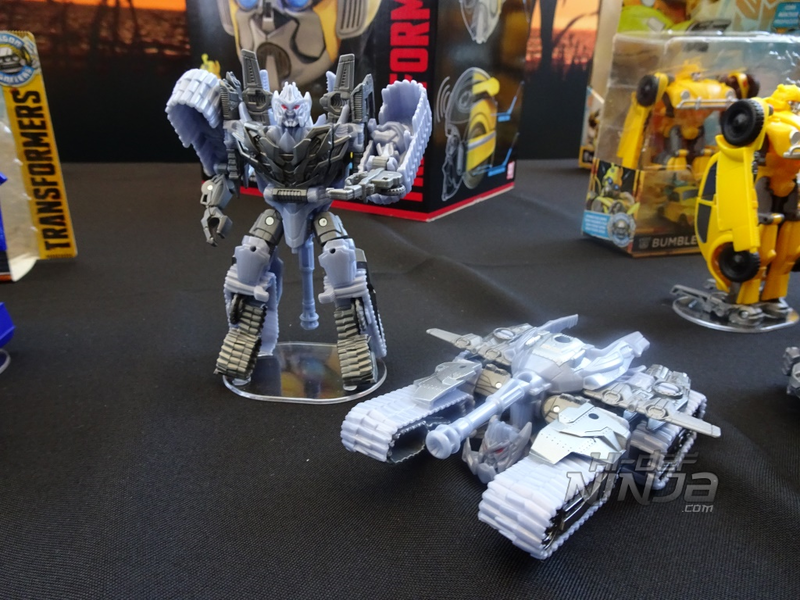 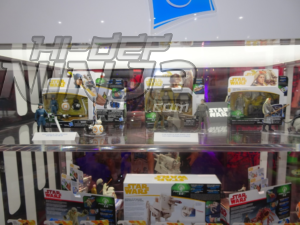 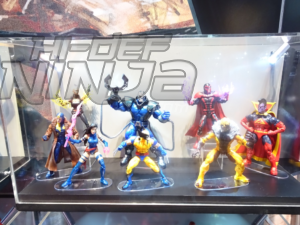 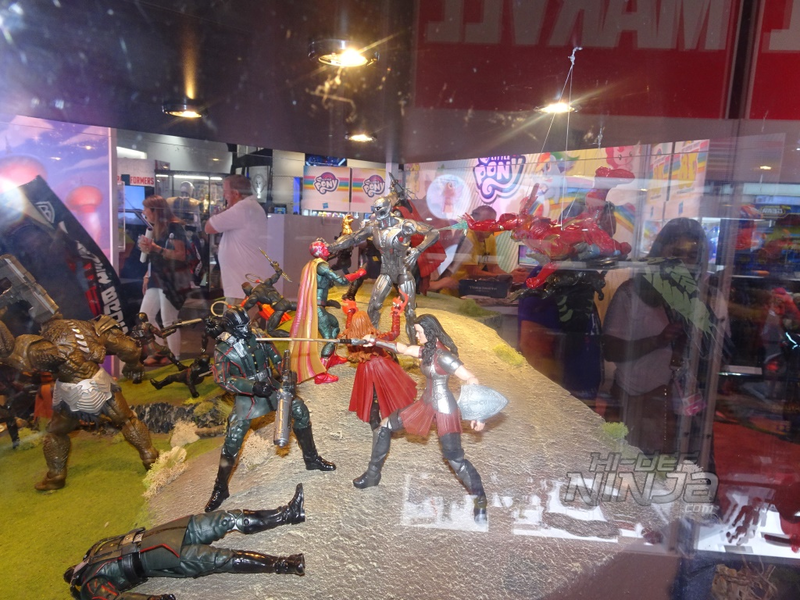 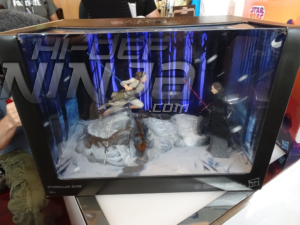 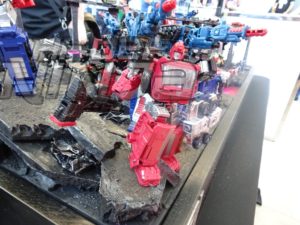 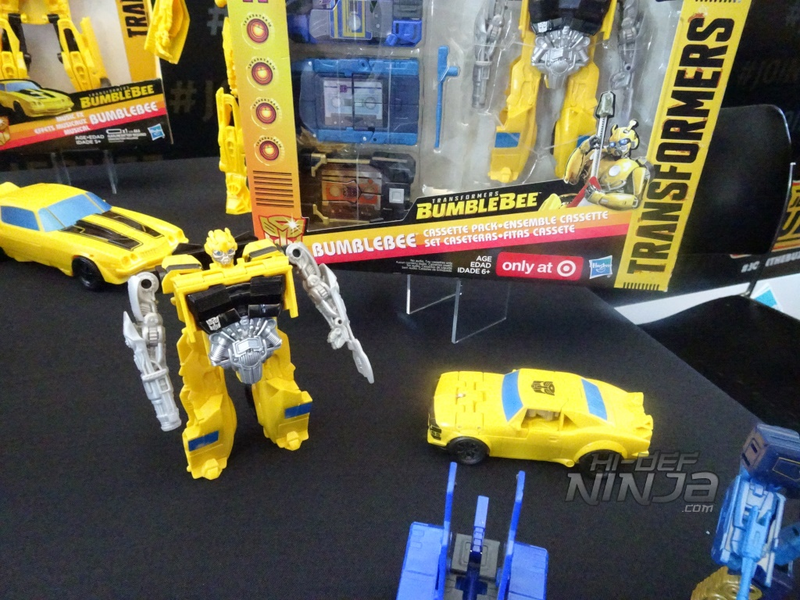 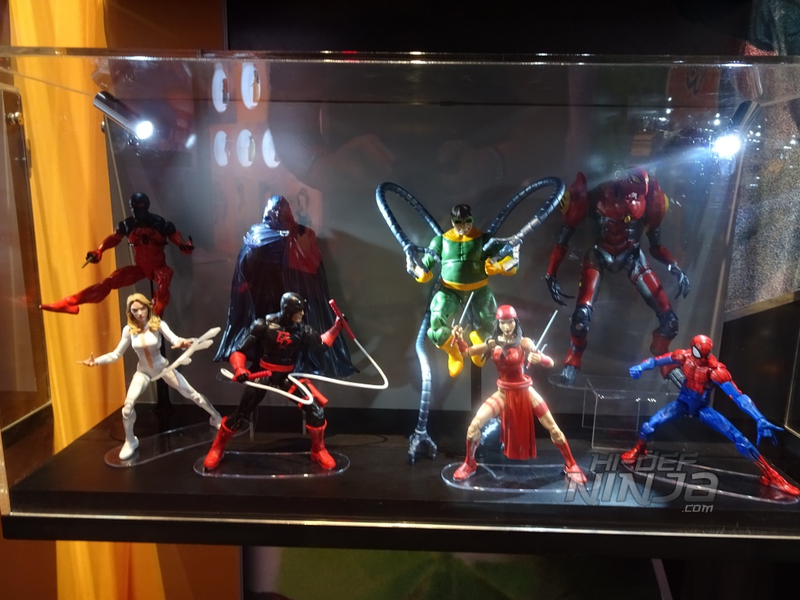 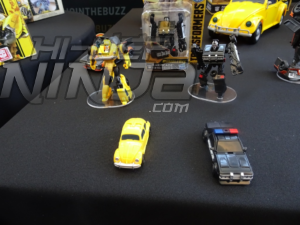 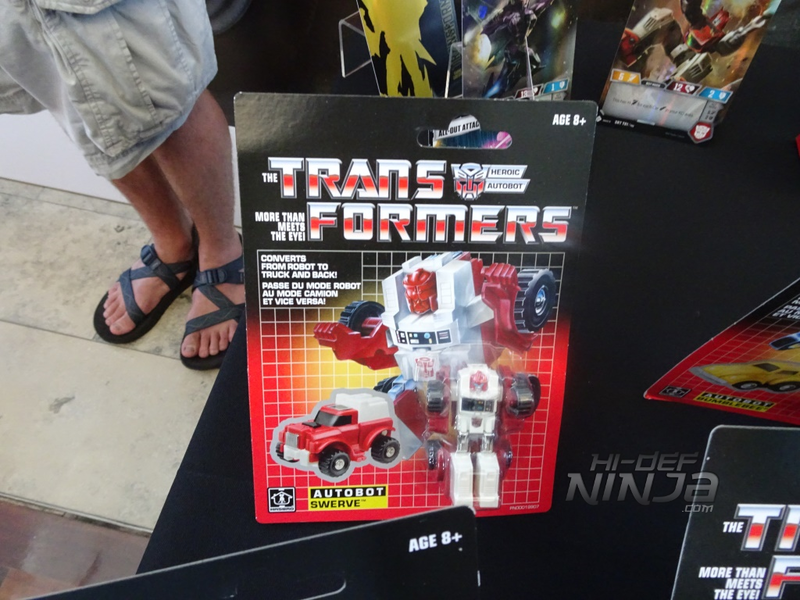 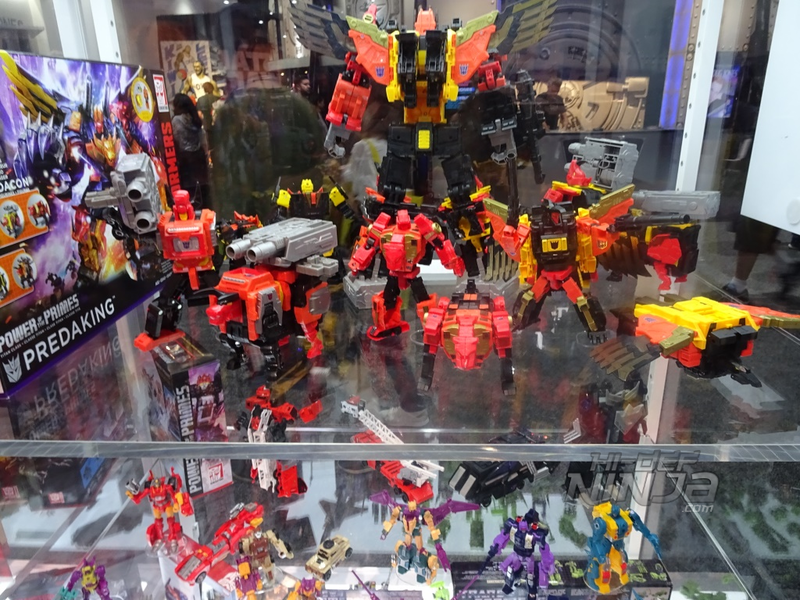 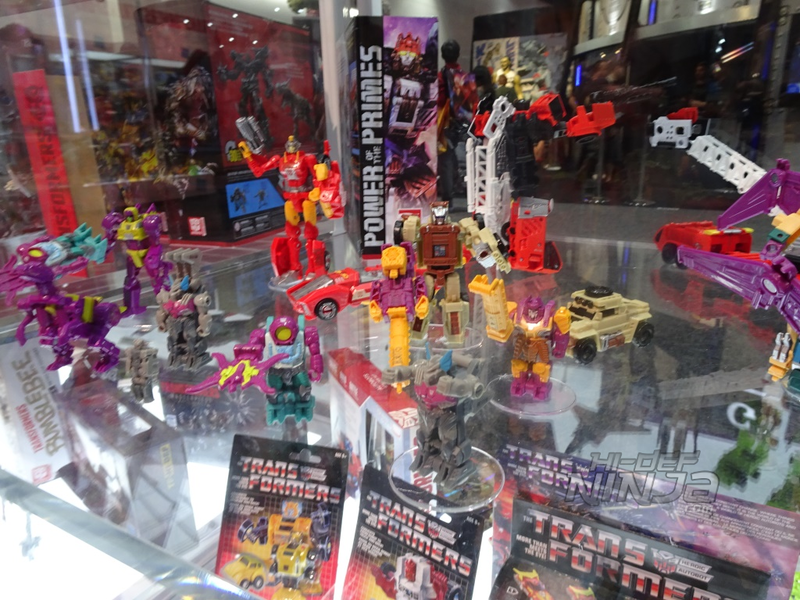 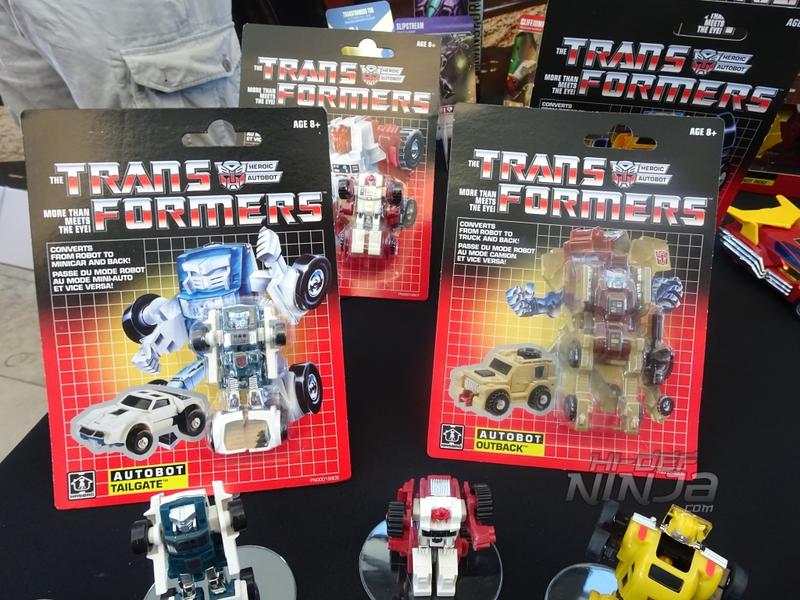 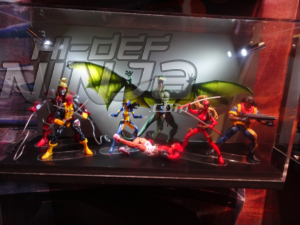 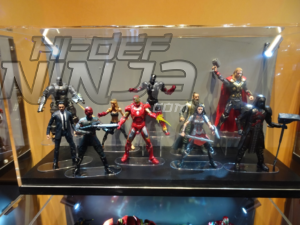 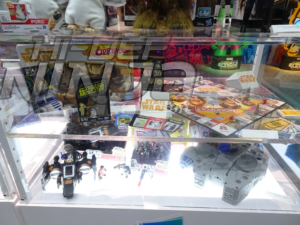 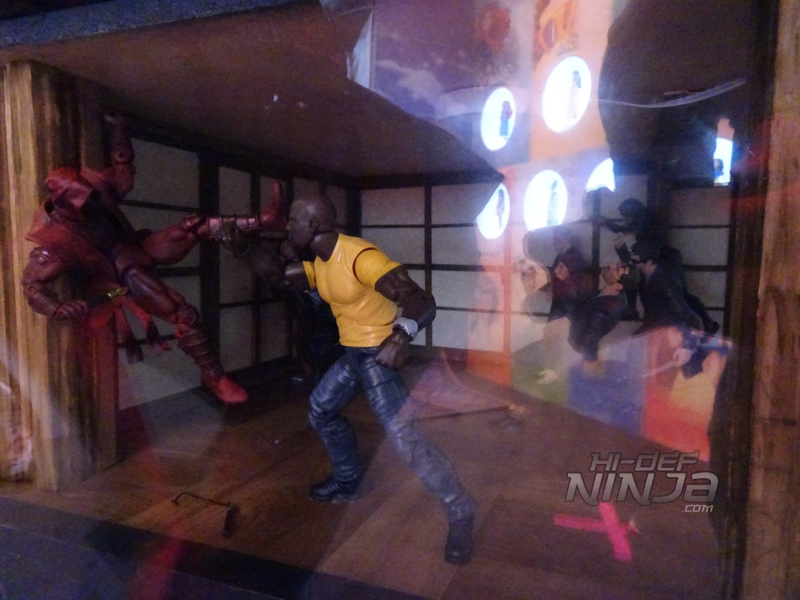 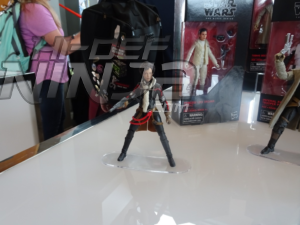 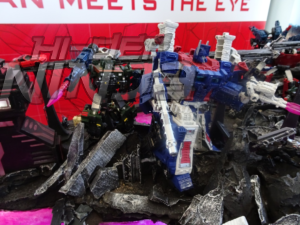 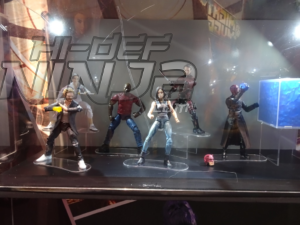 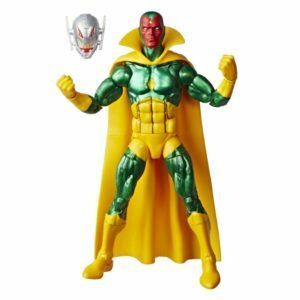 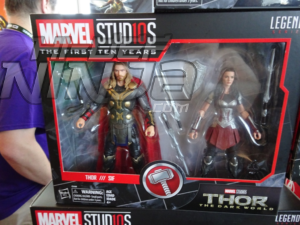 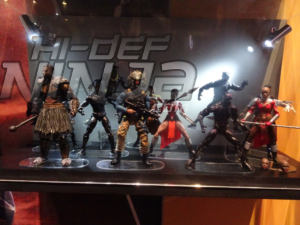 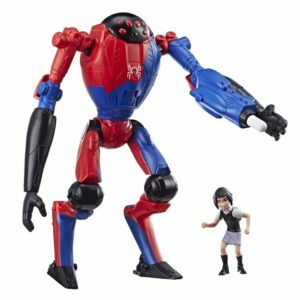 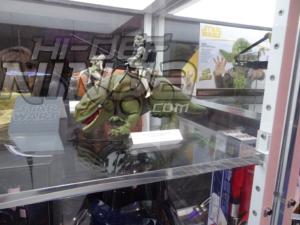 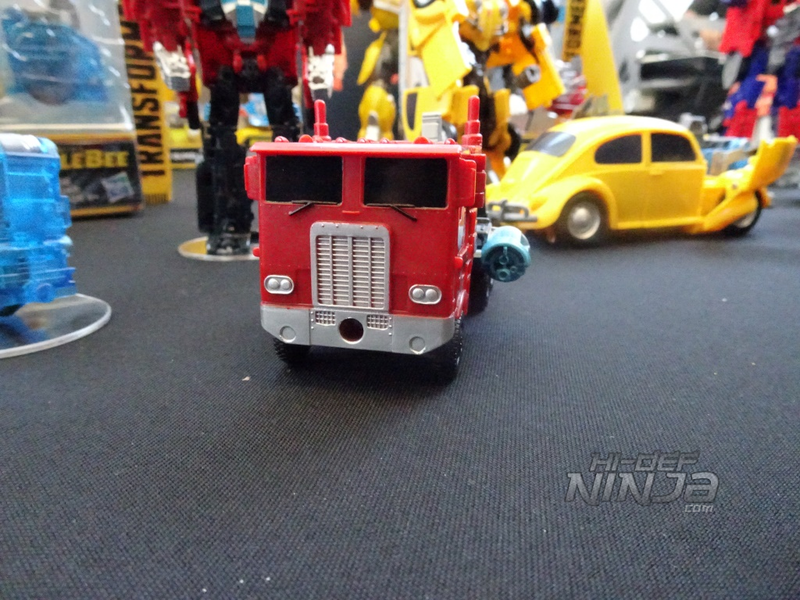 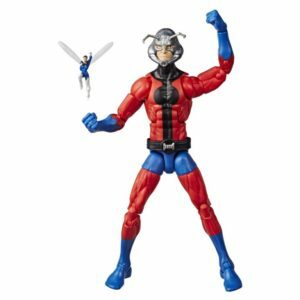 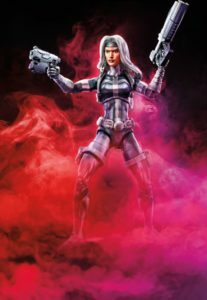 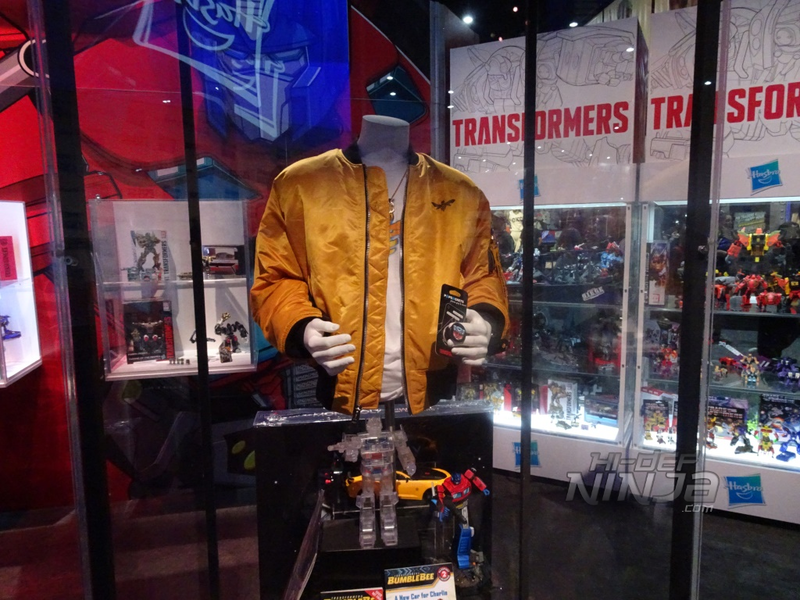 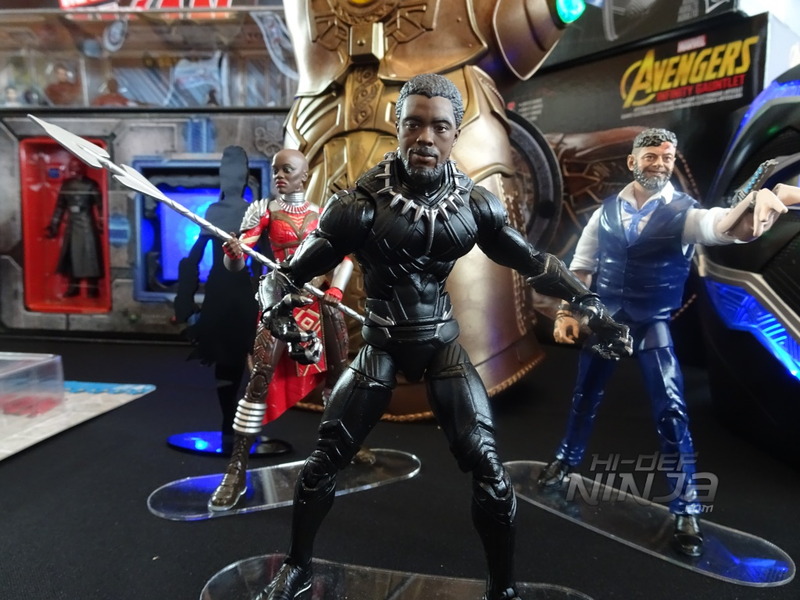 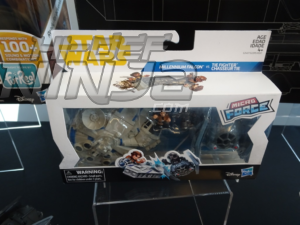 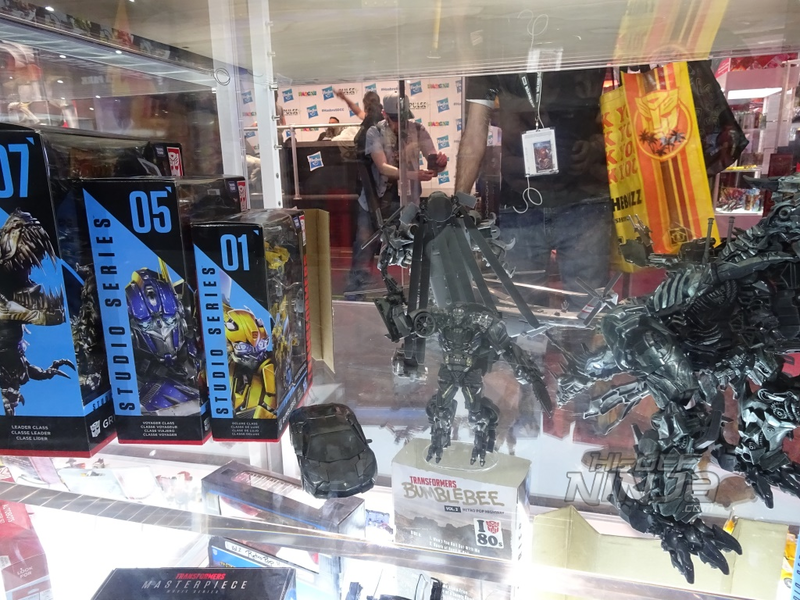 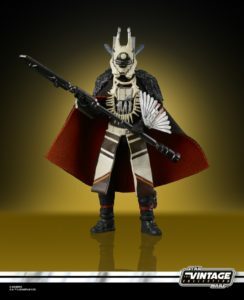 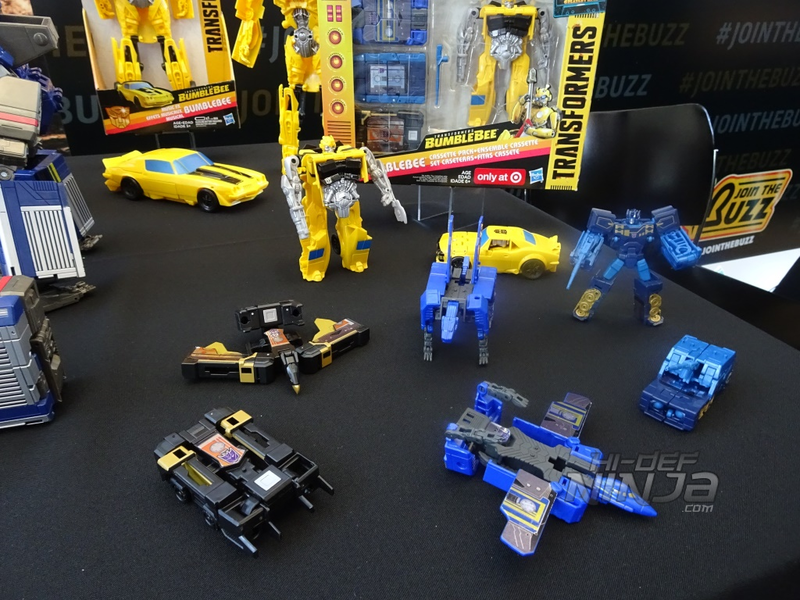 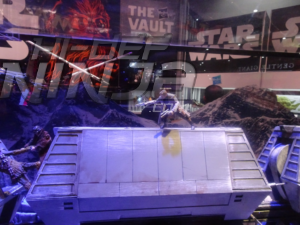 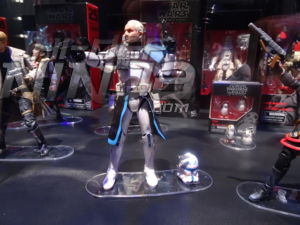 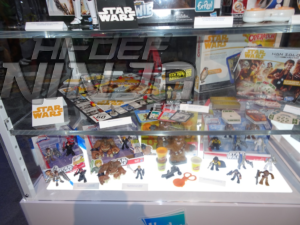 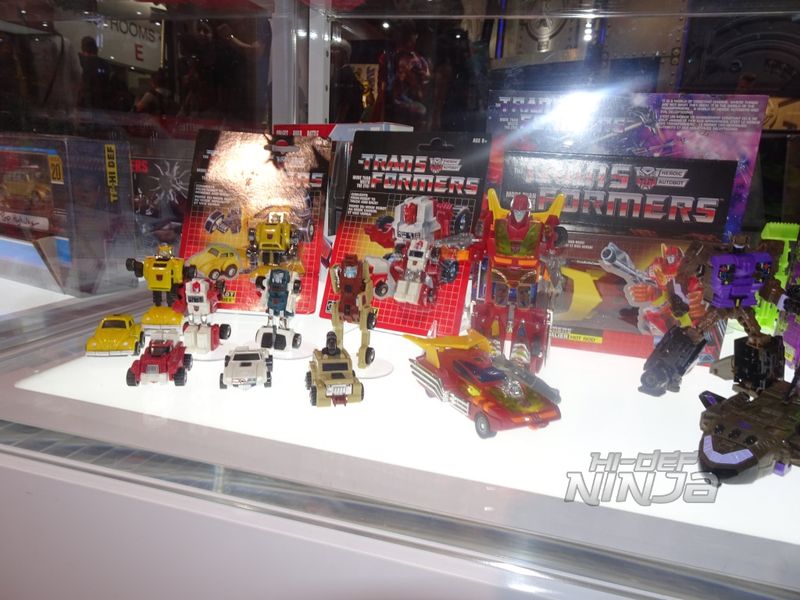 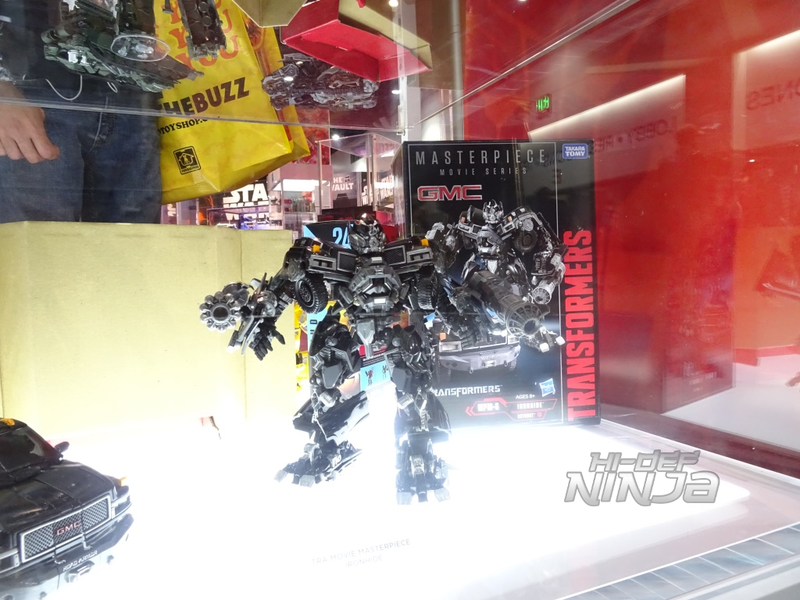 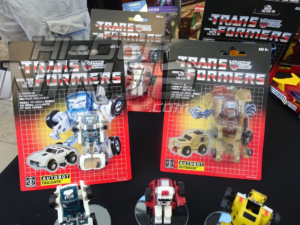 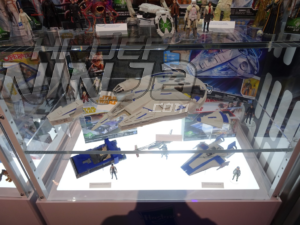 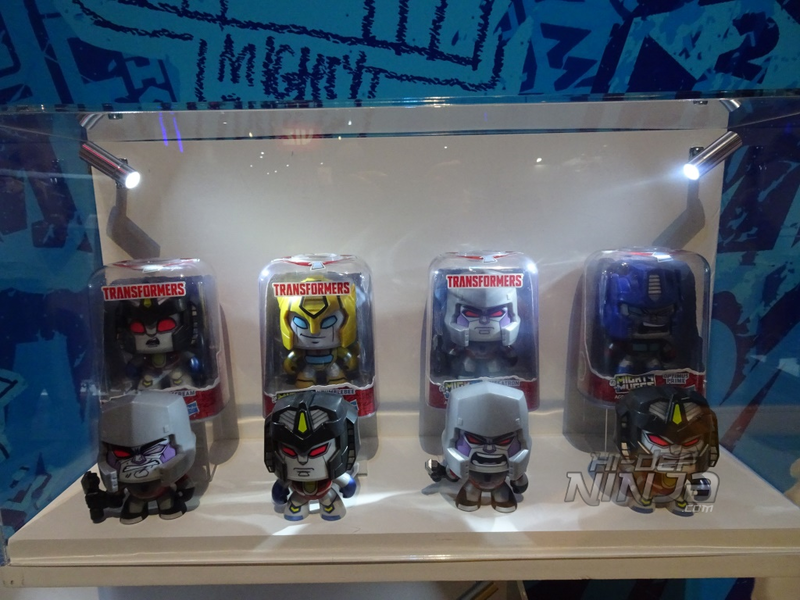 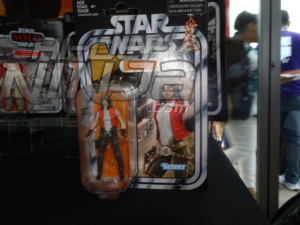 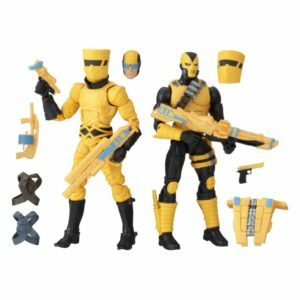 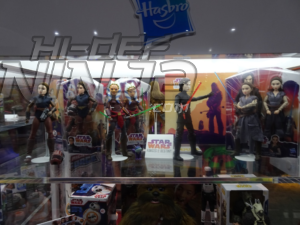 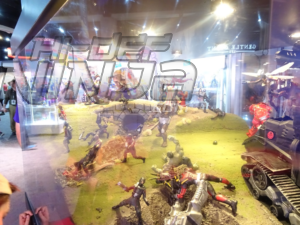 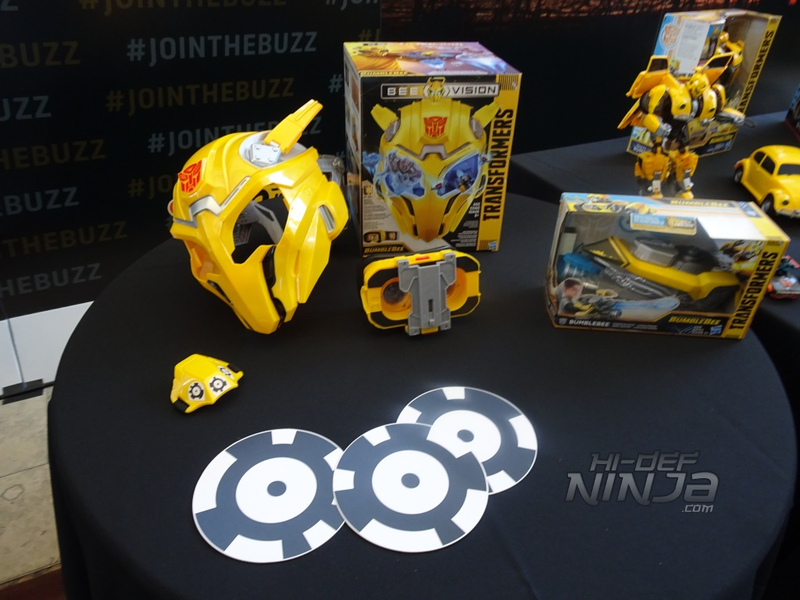 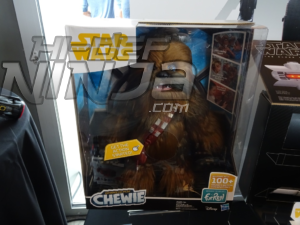 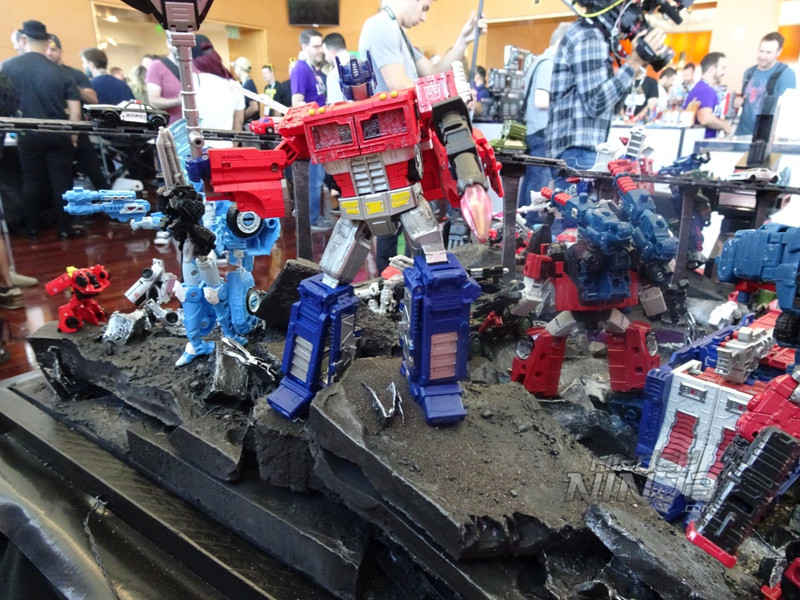 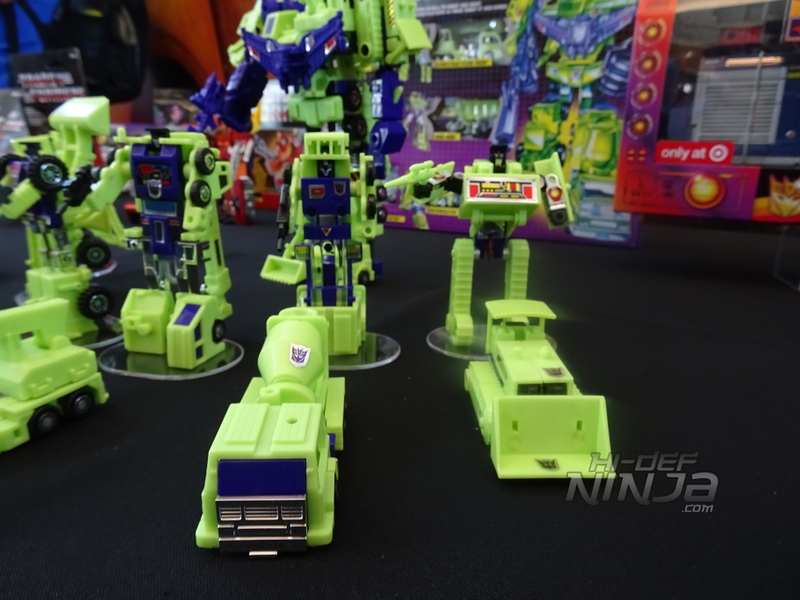 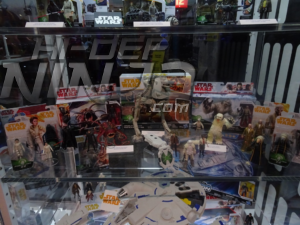 Another regular at San Diego Comic-Con – Hasbro – continued to show off why they are a premier mainstay on the show floor and at the convention. 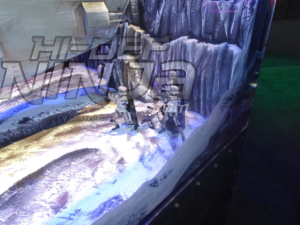 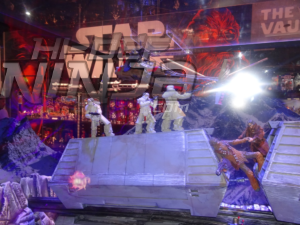 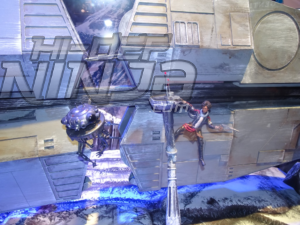 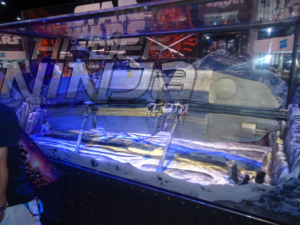 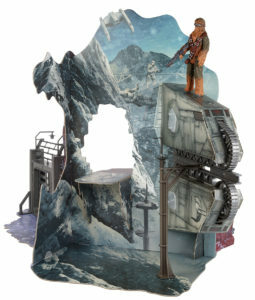 Hasbro actually occupies two locations right in the center of the show floor one dedicated to showing off their products including two diorama’s one for Star Wars this year featuring Solo: A Star Wars Story and the other showing off a massive Marvel battle. 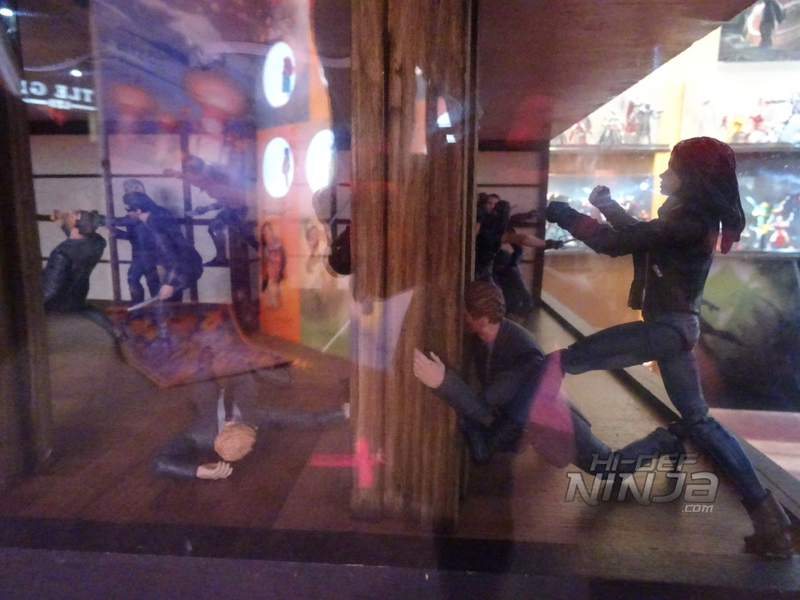 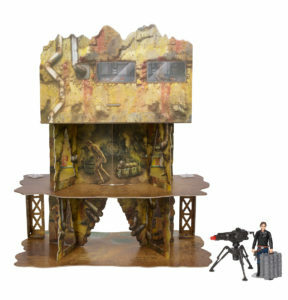 The second location is where all the Hasbro show exclusives can be bought. 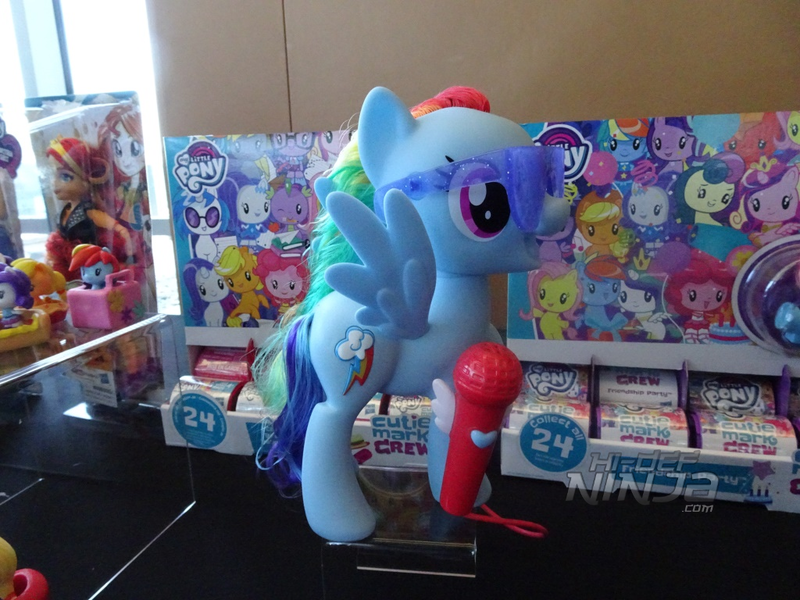 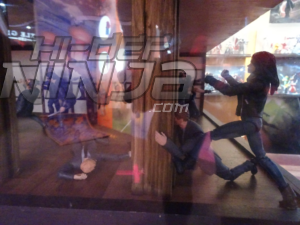 To kick the show off Hasbro holds their annual Entertainment Brand Preview Breakfast to which Hi-Def Ninja was again invited. 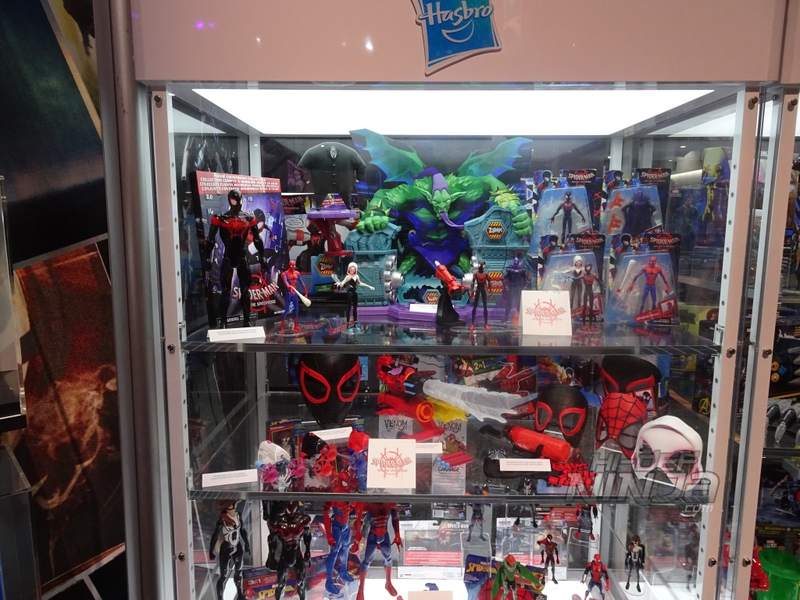 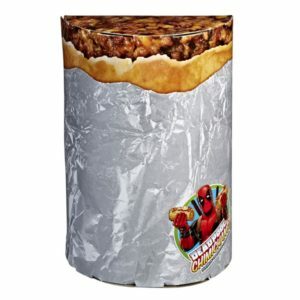 The breakfast is a good place to get some much needed pre-convention food while getting an up close look at the convention exclusives as well as some upcoming products without having to fight the masses at their booth. 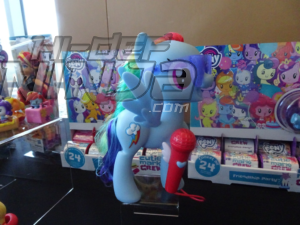 It’s also always a great place to chat with both other media contacts and Hasbro employees you may not have seen for a year. 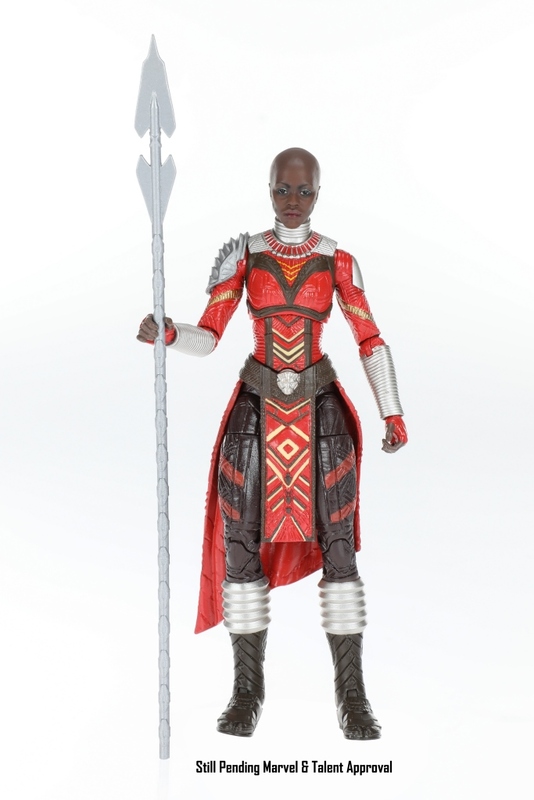 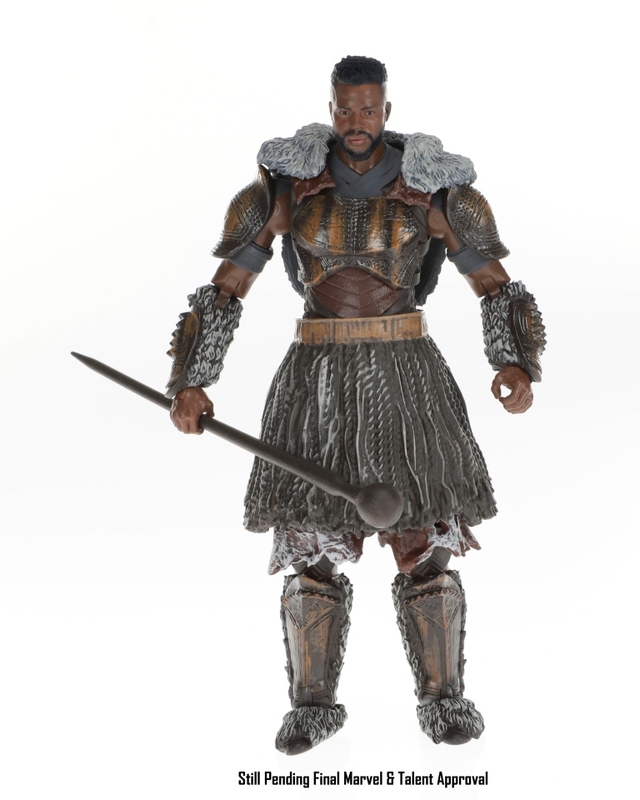 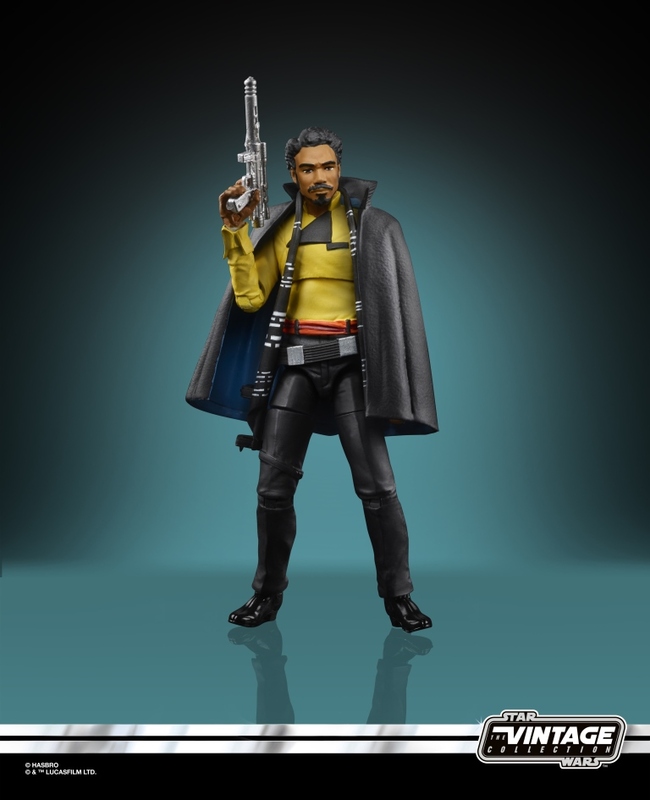 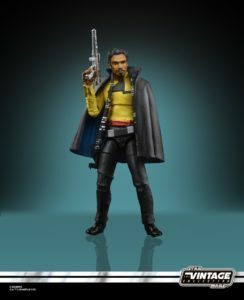 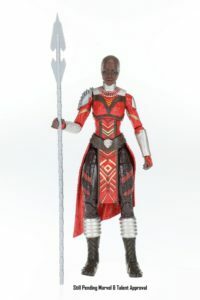 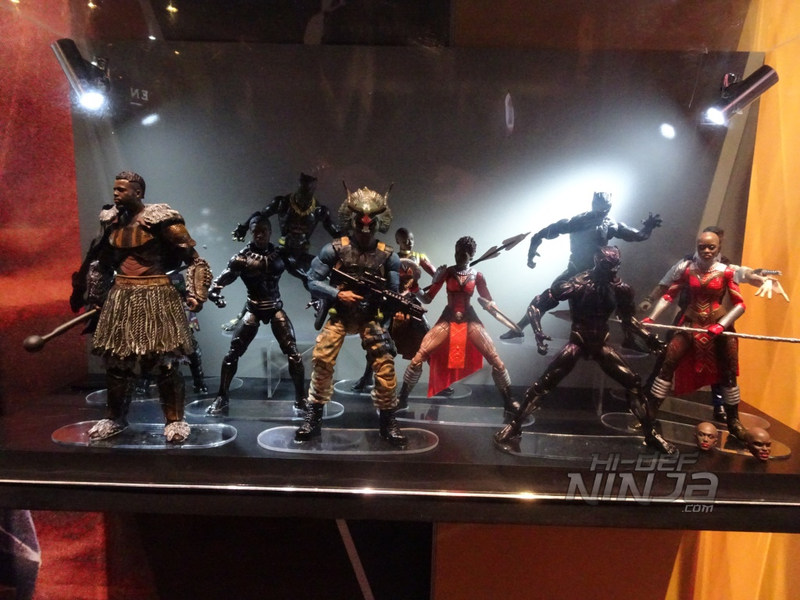 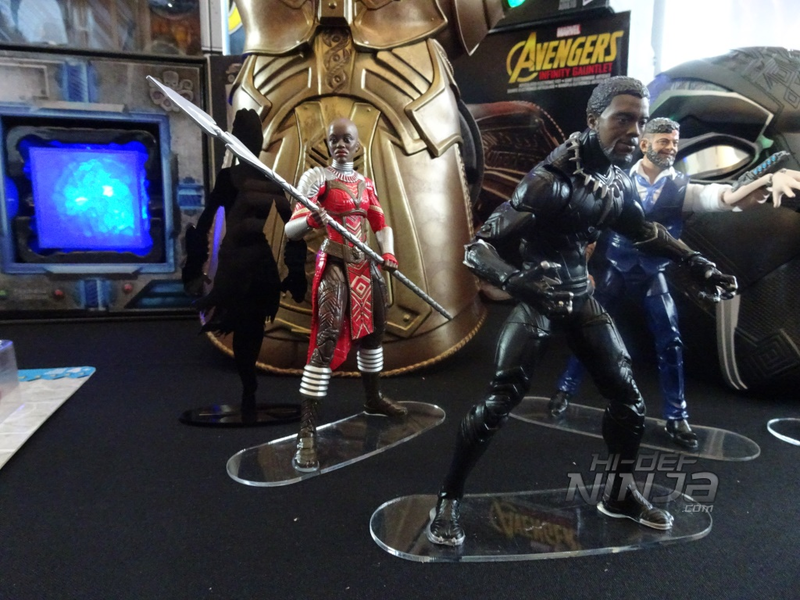 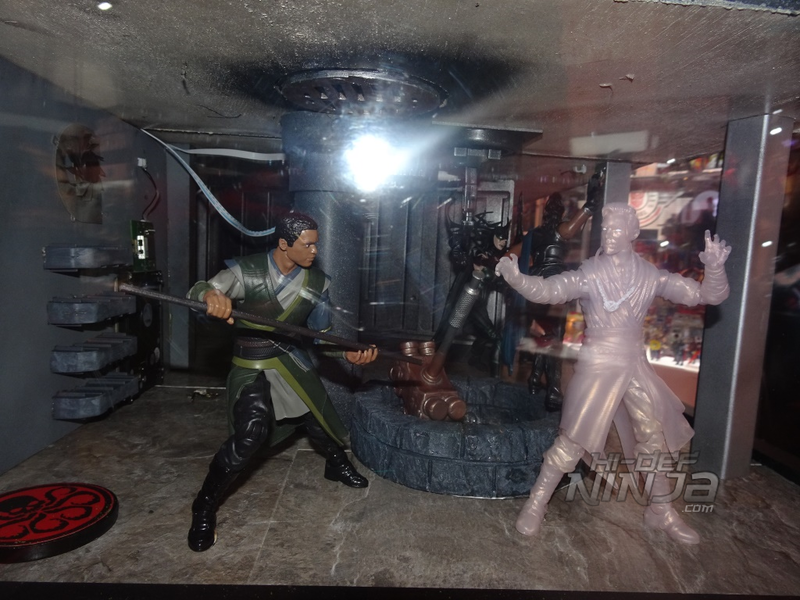 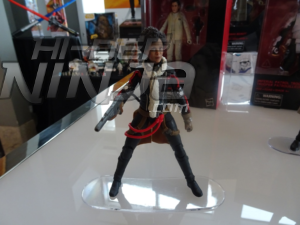 The Star Wars brand had a nice showing of the Black Series figures including some new Solo characters while the Marvel brand was quick to show off some new Legends figures including Wave 2 from Black Panther. 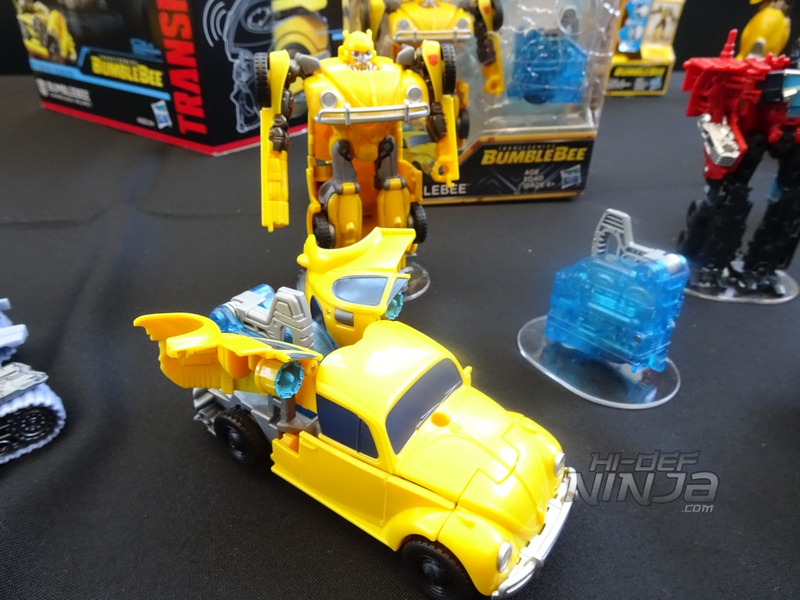 Transformers were full on Bumblebee mode with the new movie coming out at the end of the year. 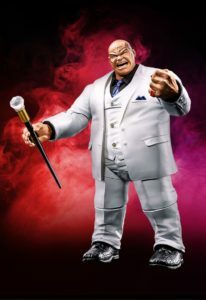 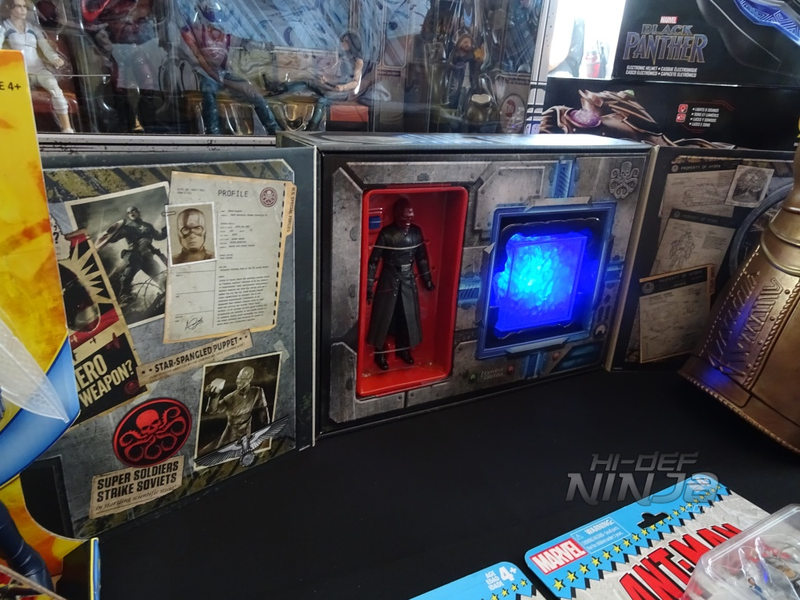 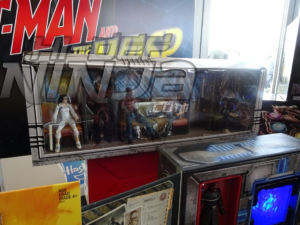 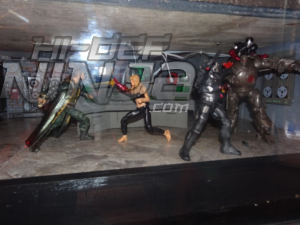 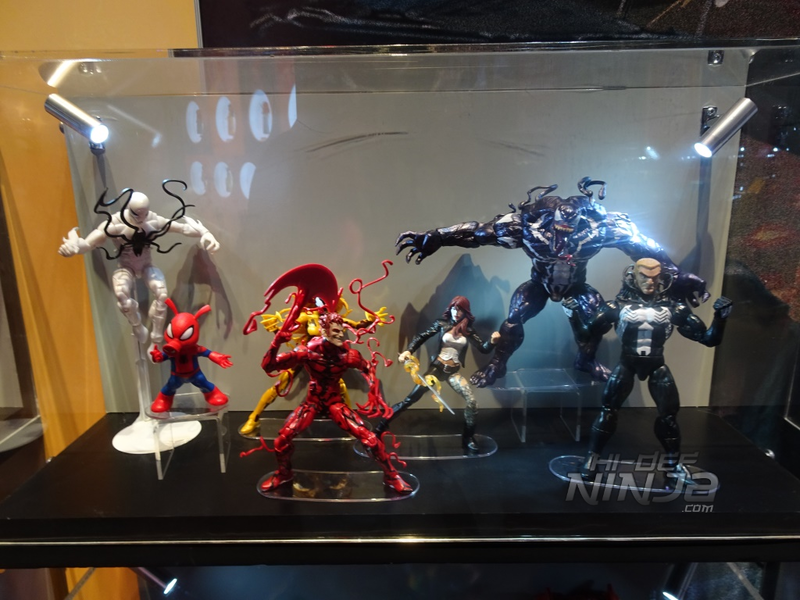 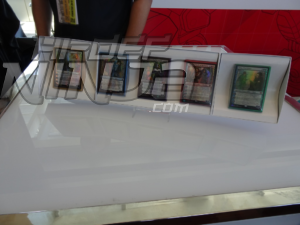 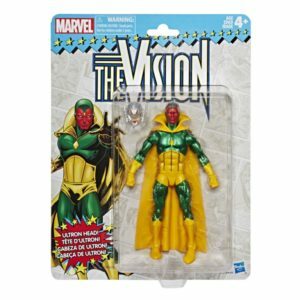 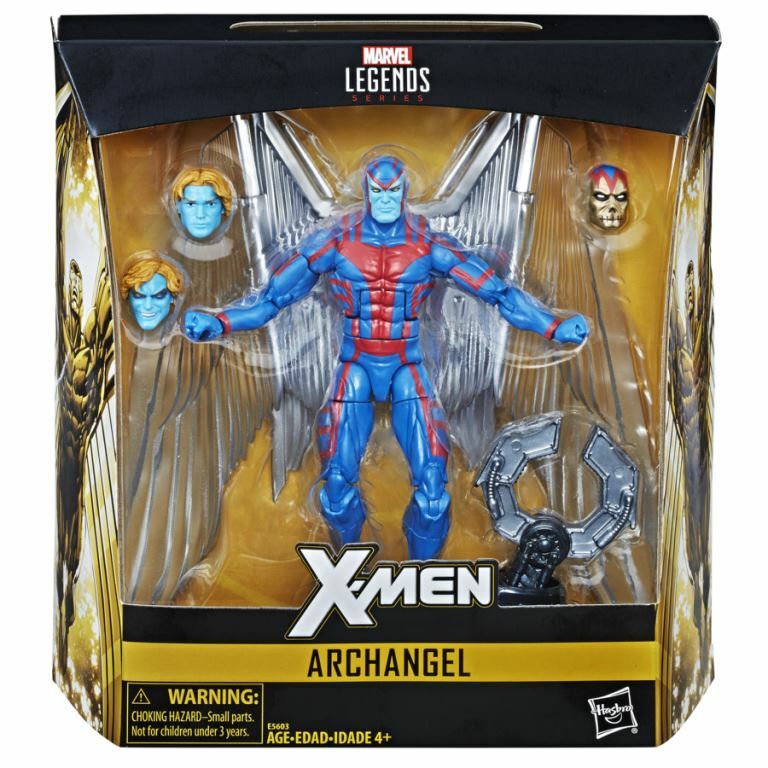 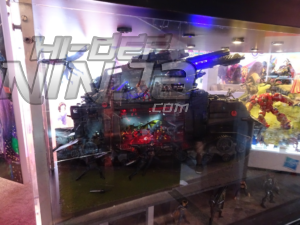 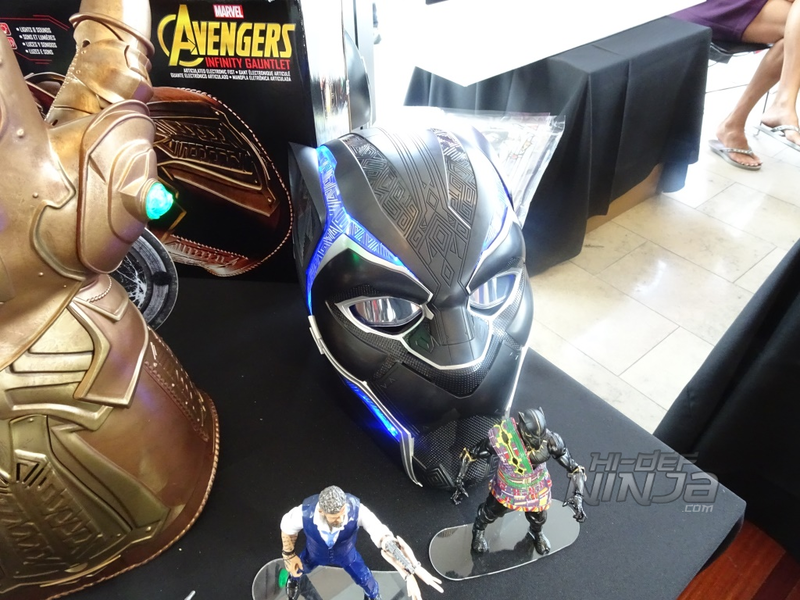 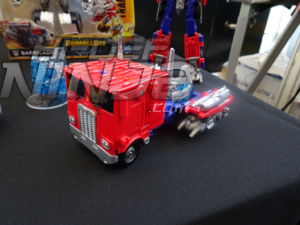 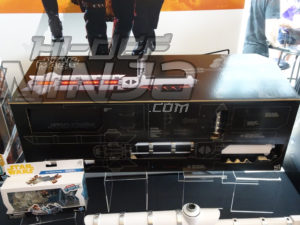 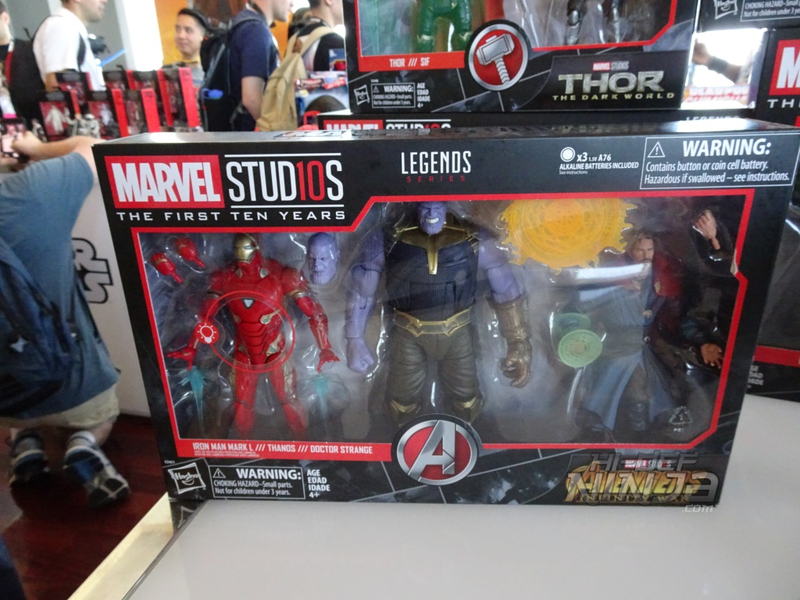 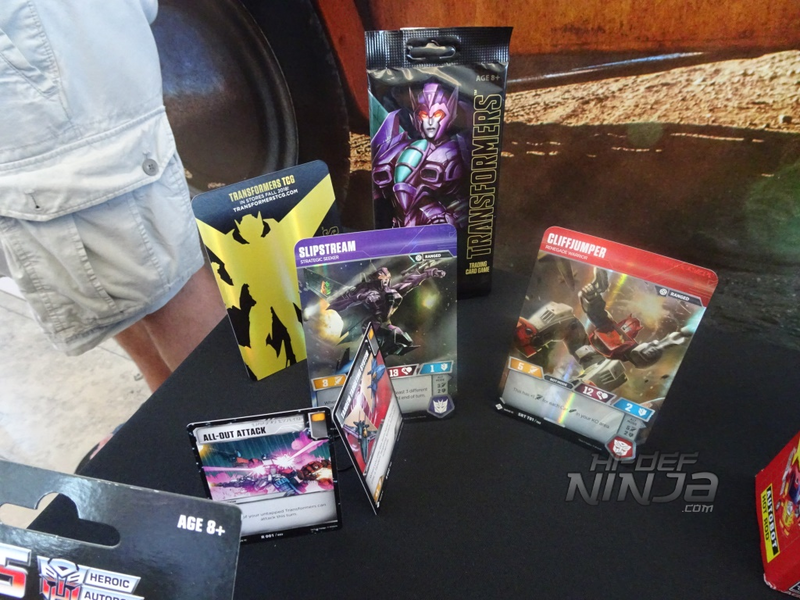 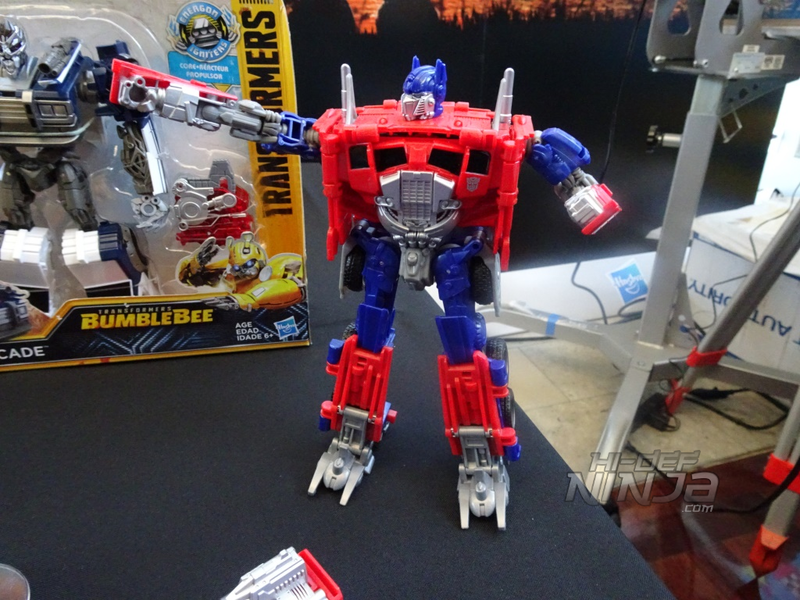 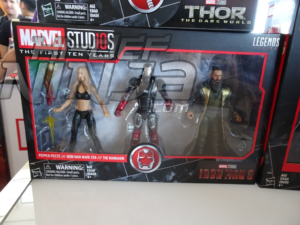 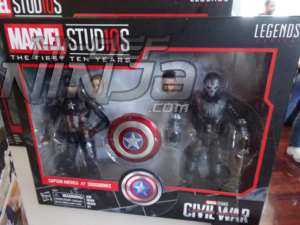 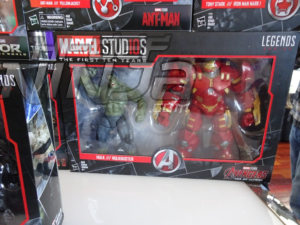 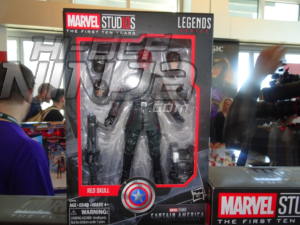 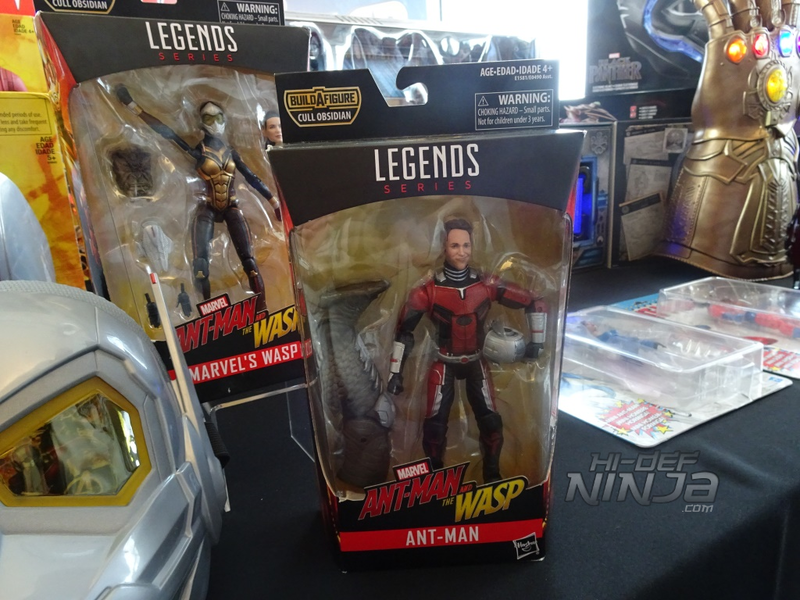 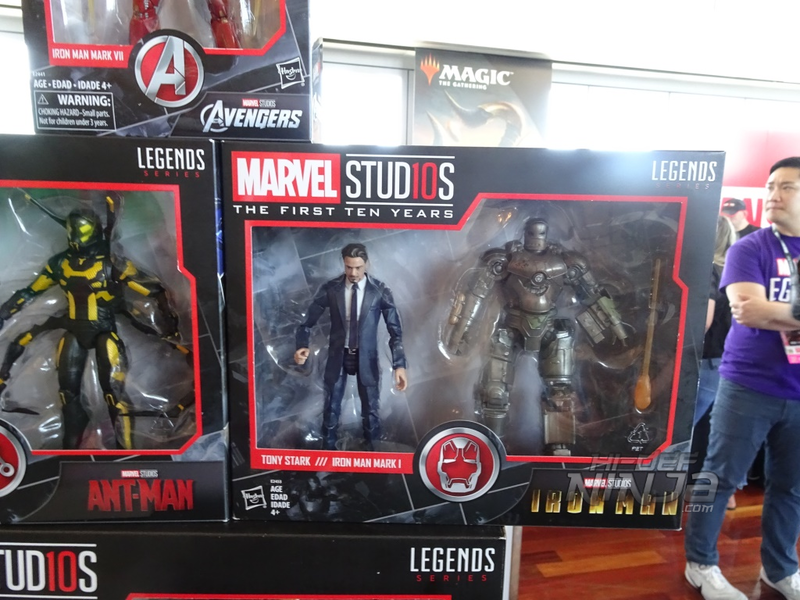 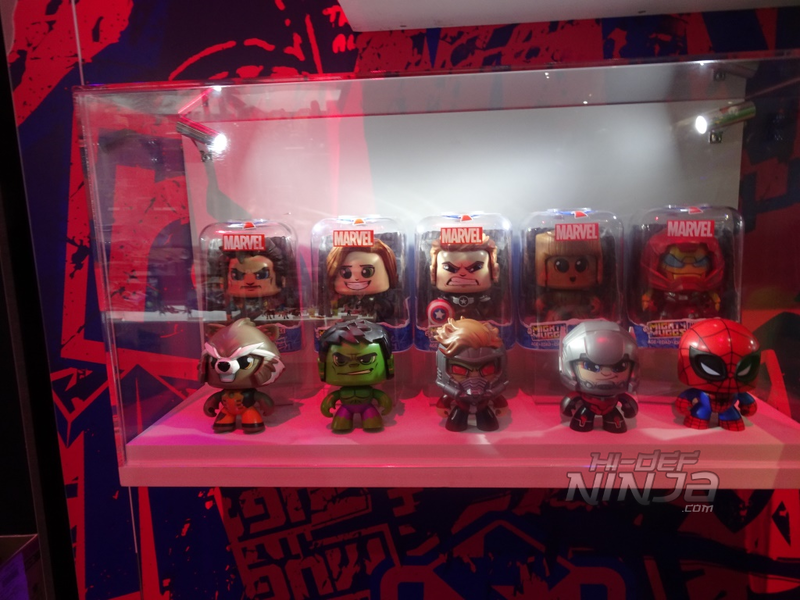 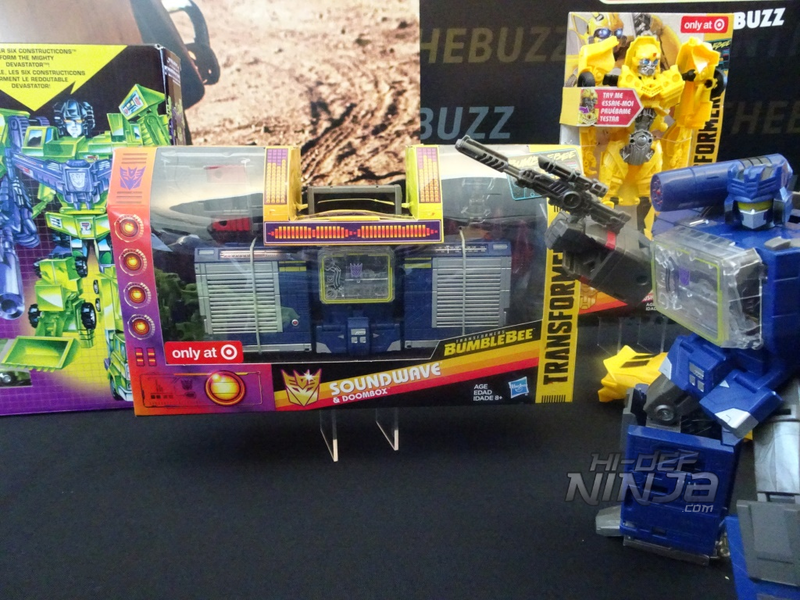 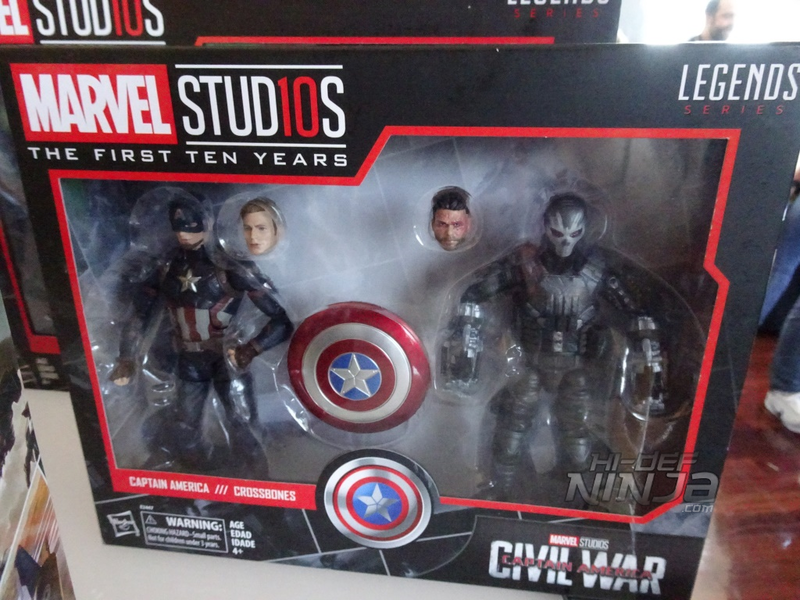 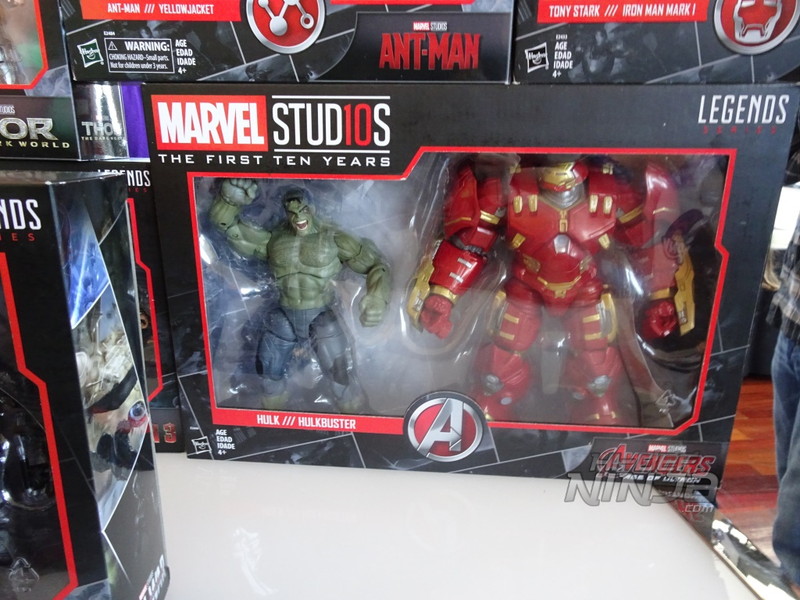 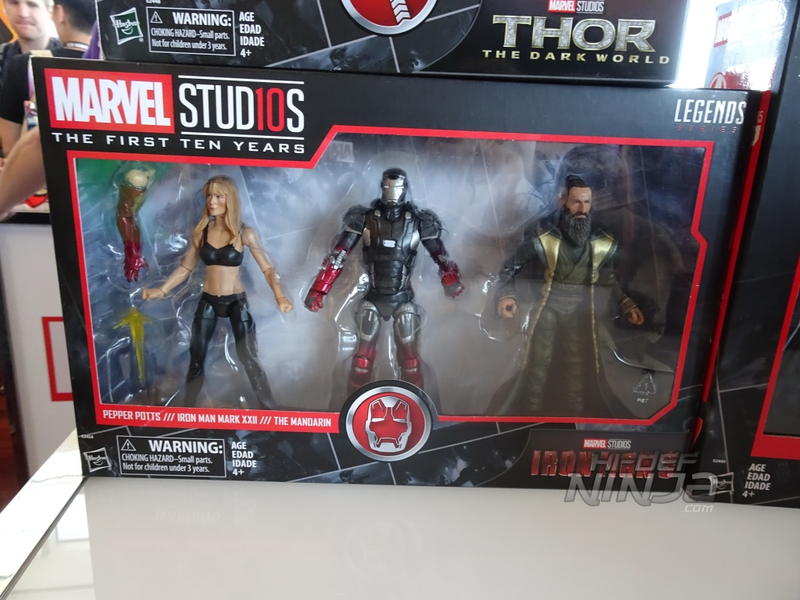 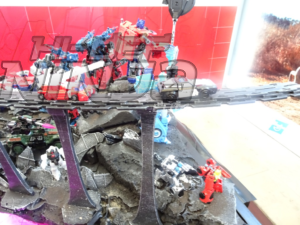 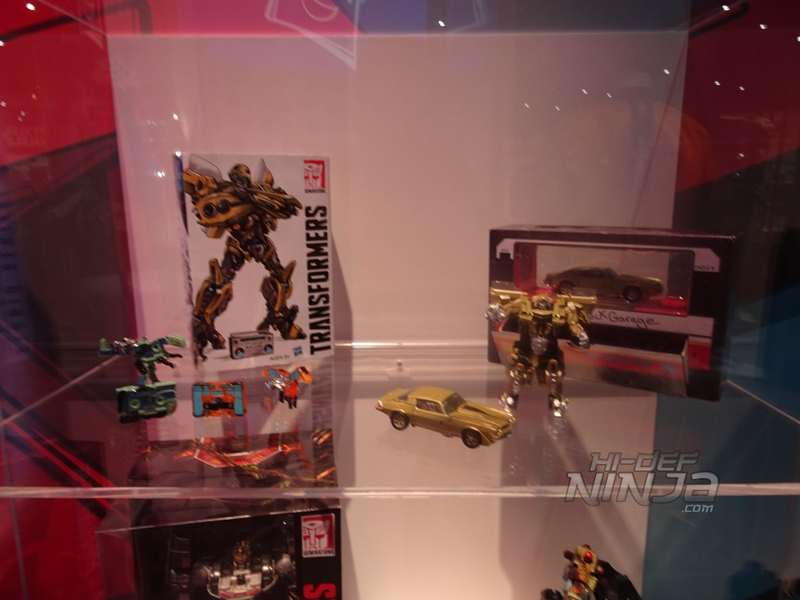 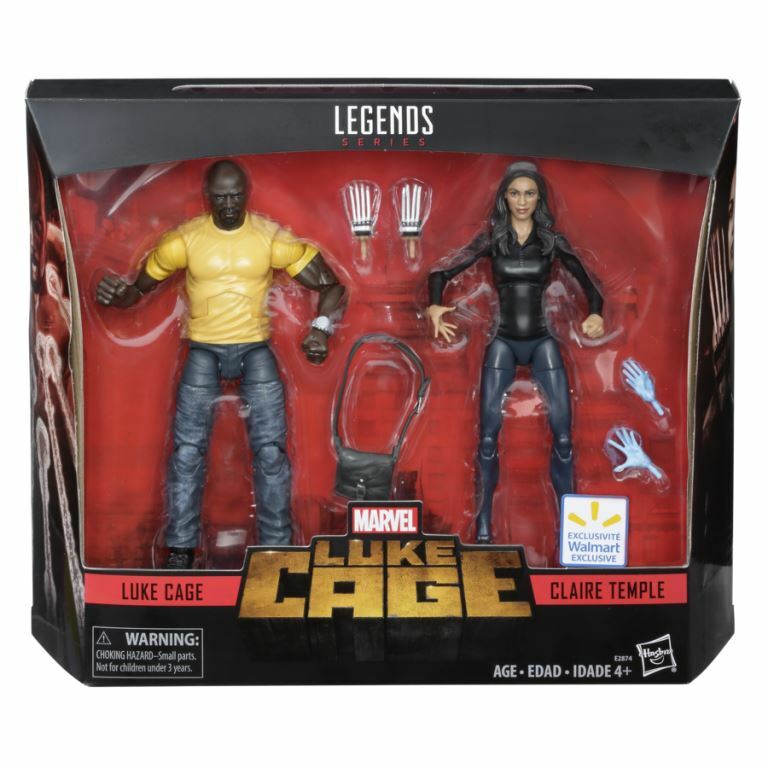 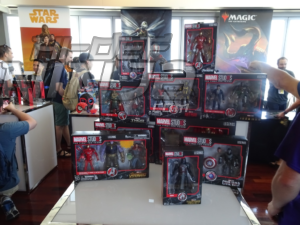 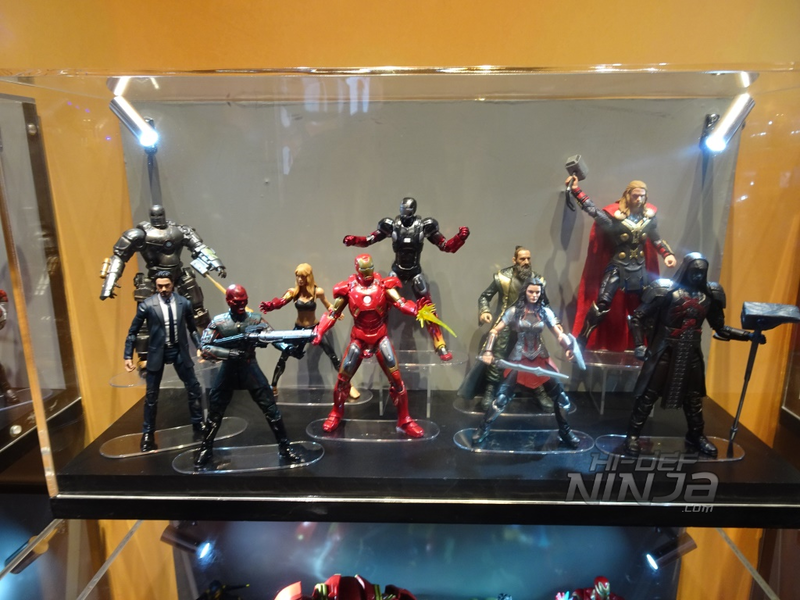 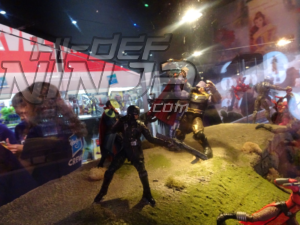 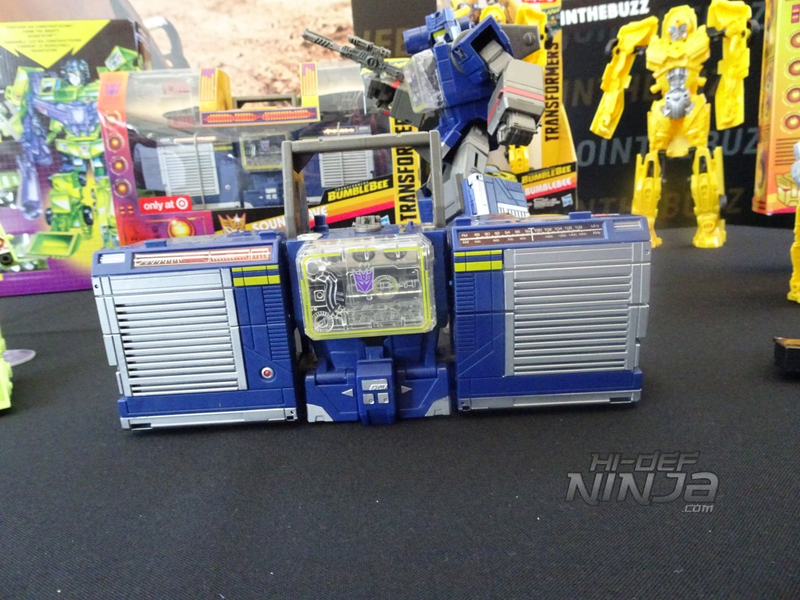 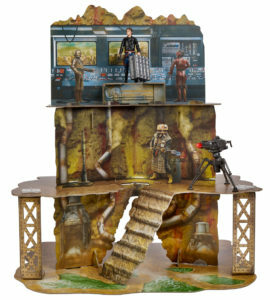 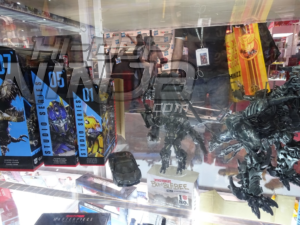 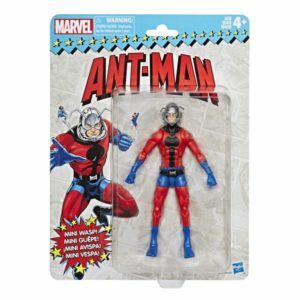 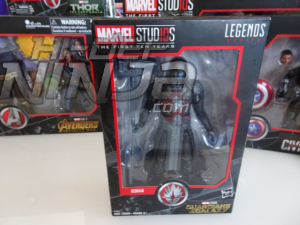 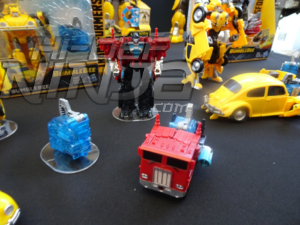 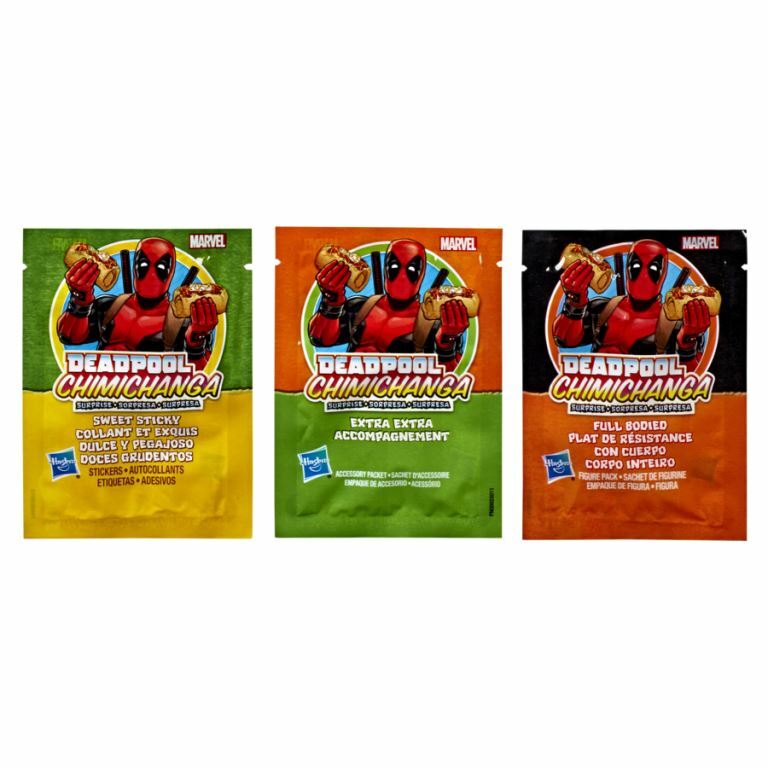 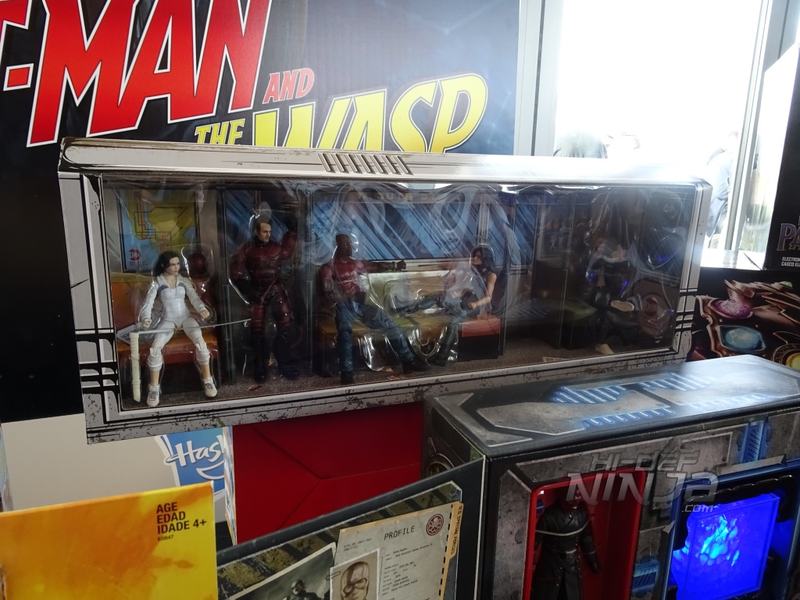 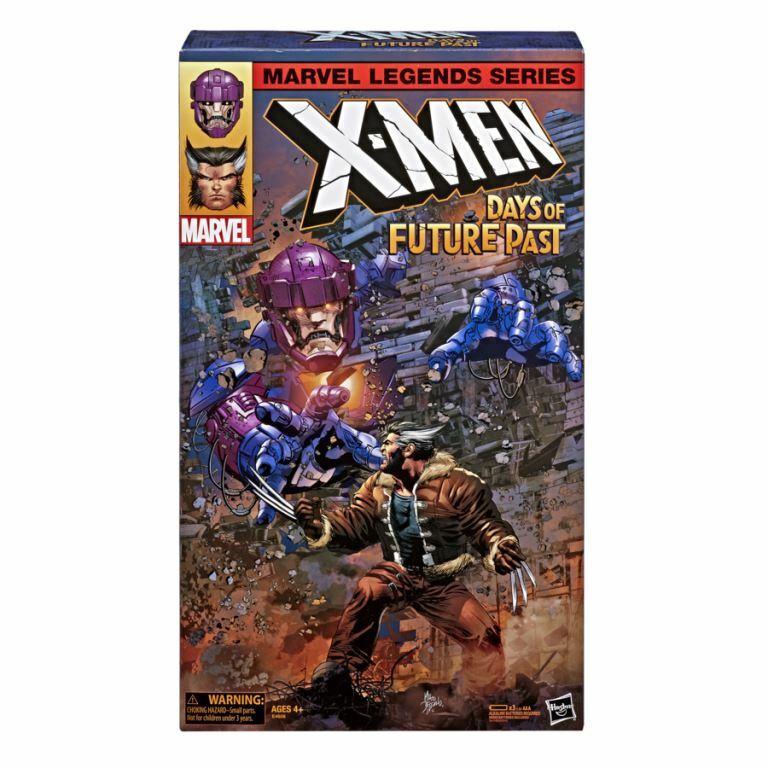 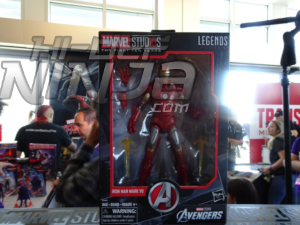 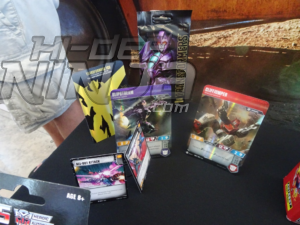 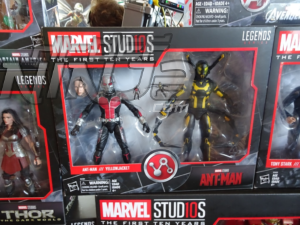 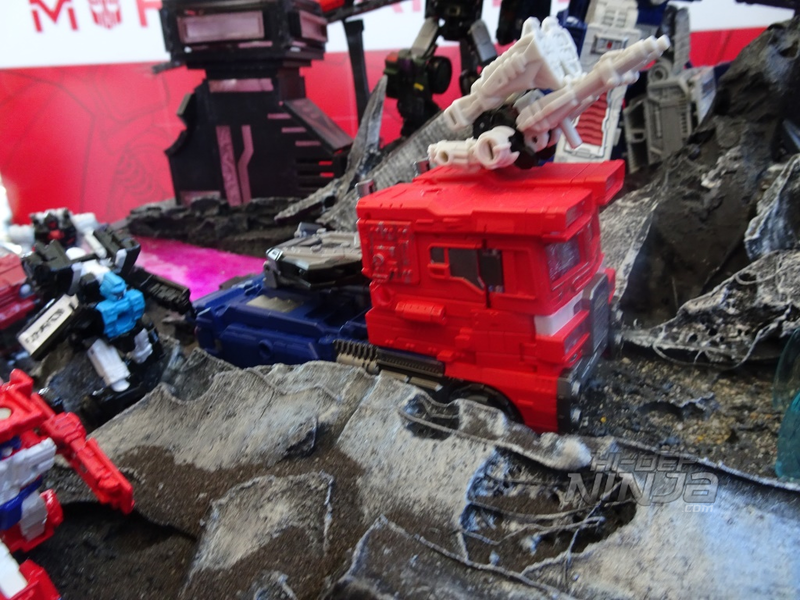 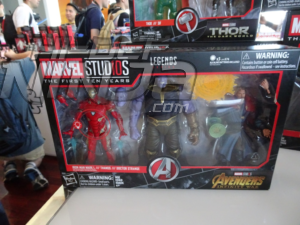 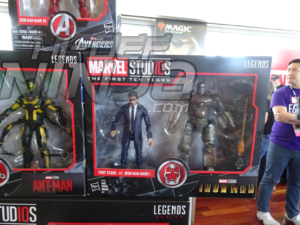 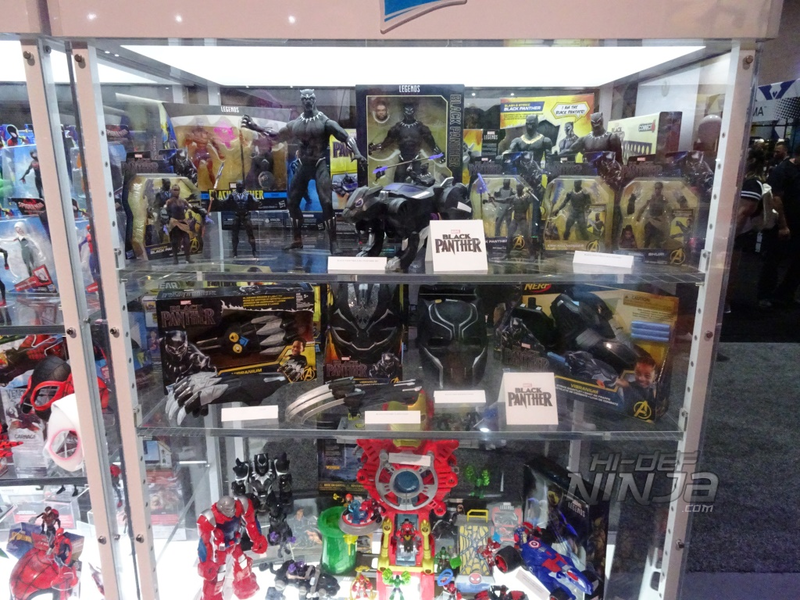 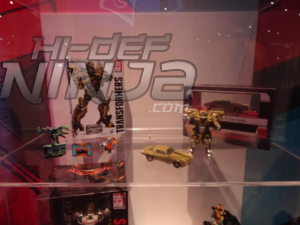 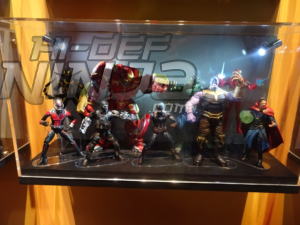 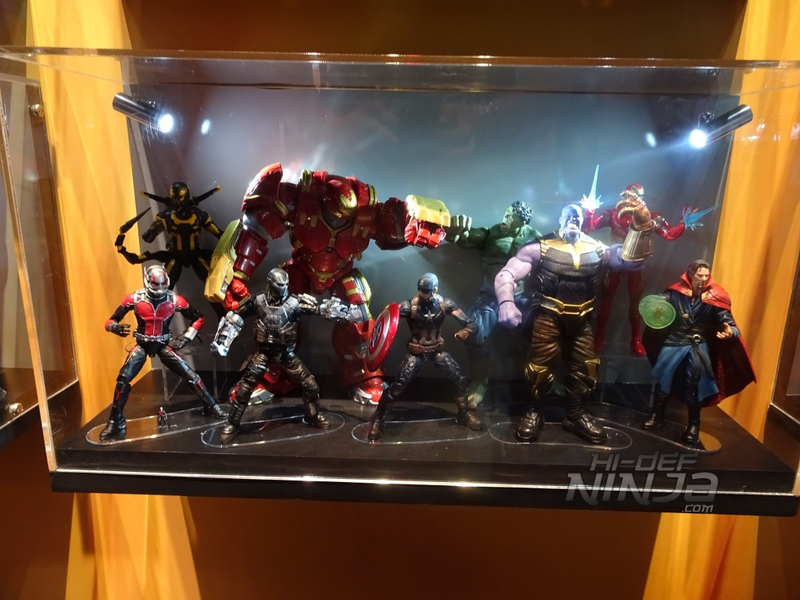 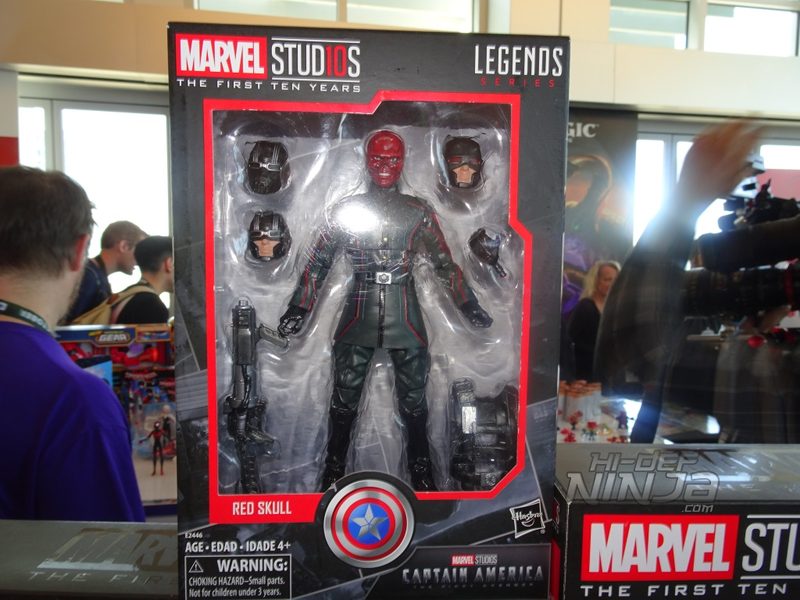 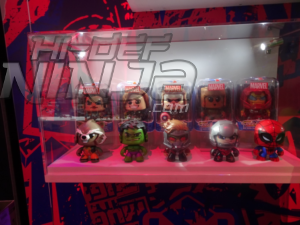 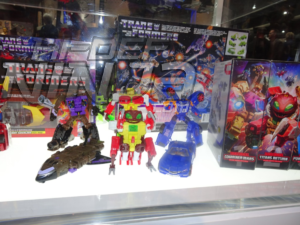 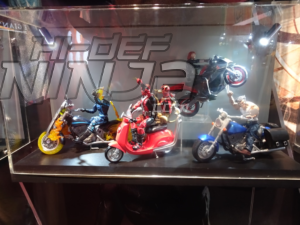 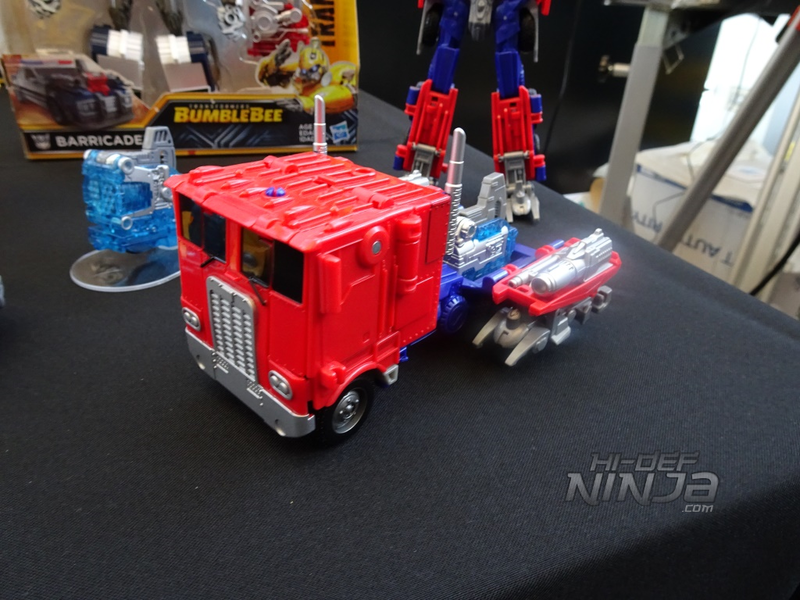 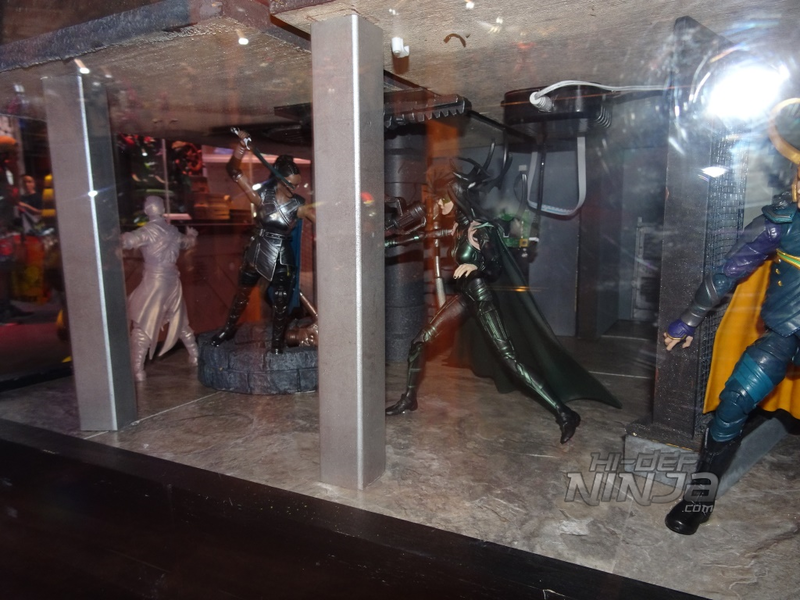 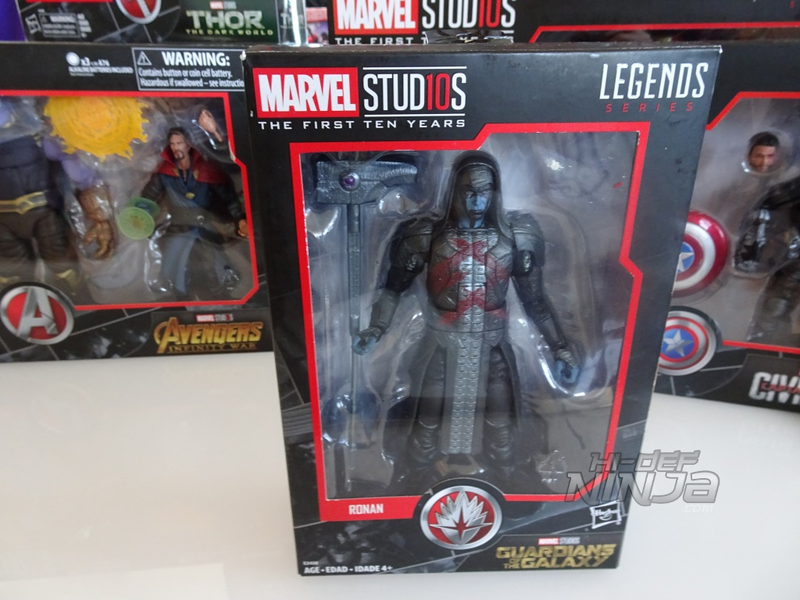 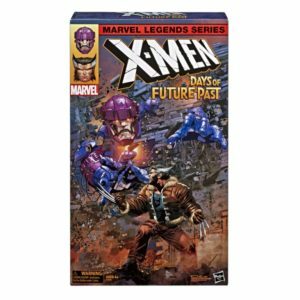 For exclusives there were a wide area from all the brands including a Marvel Defenders set and Red Skull with Teseract; Transformers Optimus Optimal with Throne and a Bumblebee figure and the launch of a trading card game. 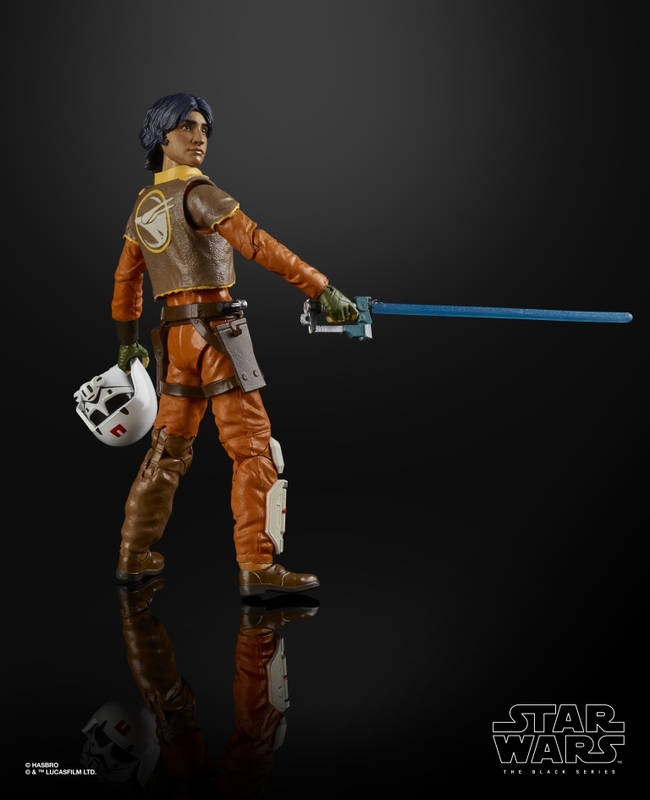 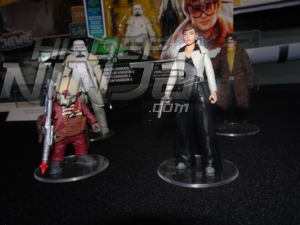 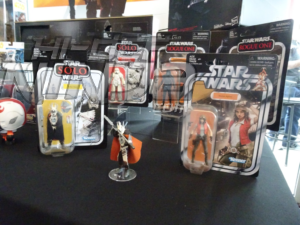 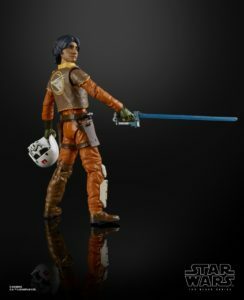 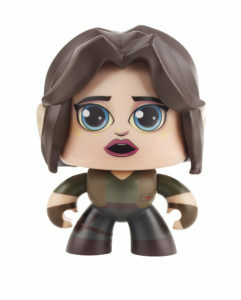 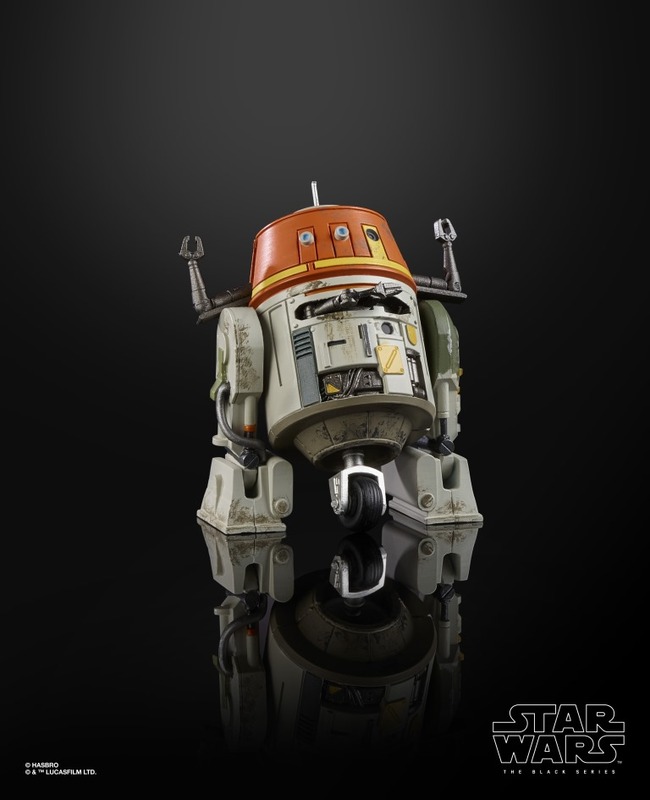 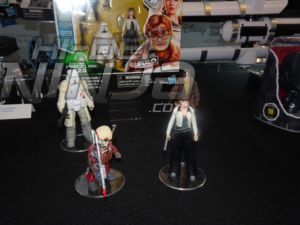 Star Wars had 3 exclusives a Vintage Line Doctor Aphra, a Han Solo with Mynok, and a Centerpiece Series Rey vs. Kylo. 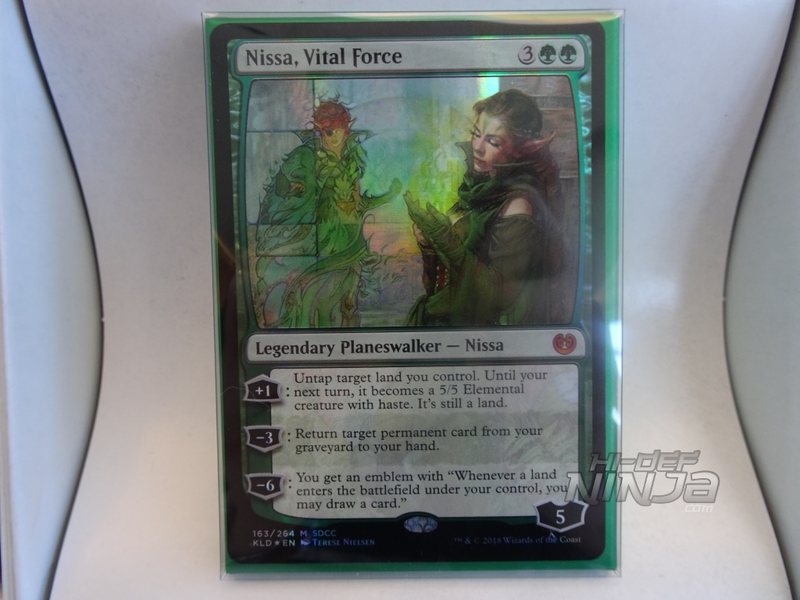 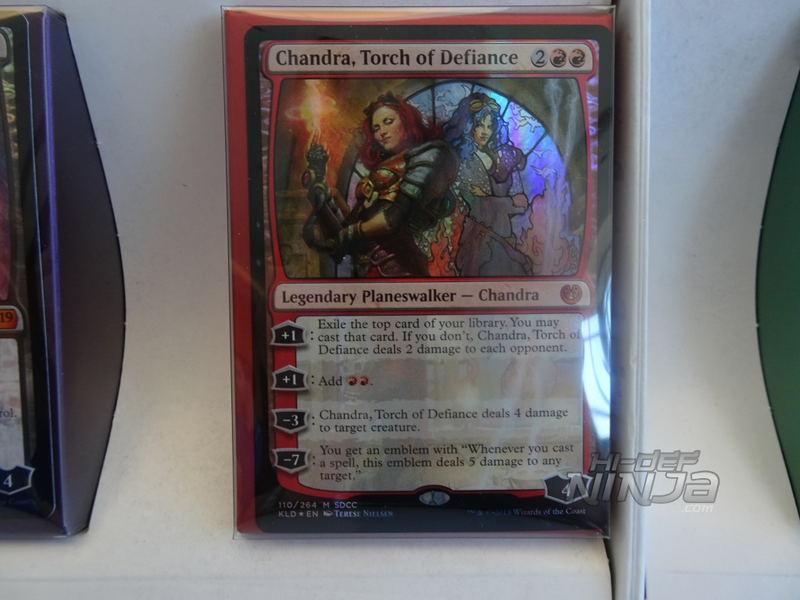 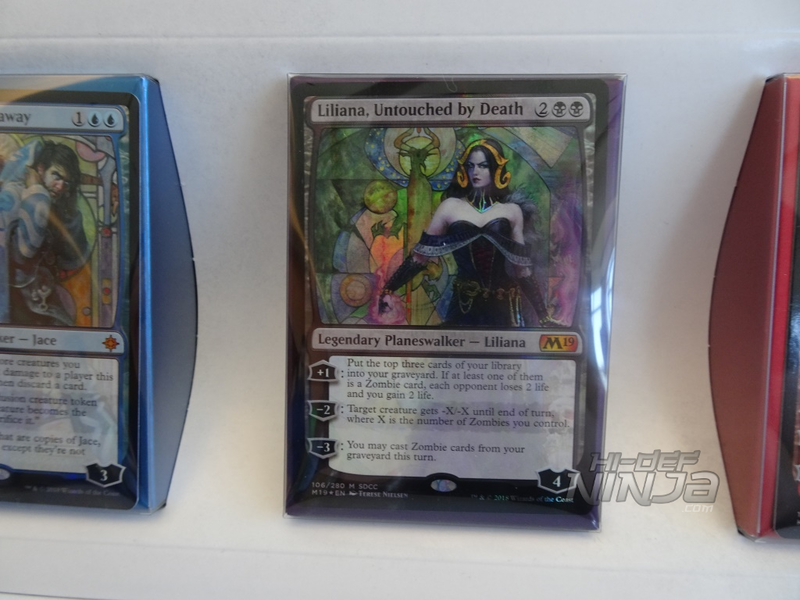 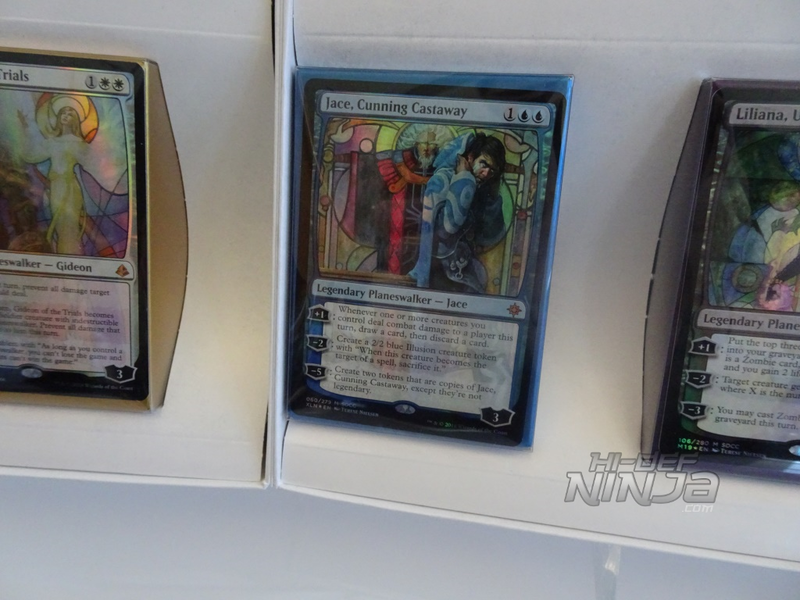 Other exclusives included a My Little Pony set and the annual Magic the Gather Planeswalkers set this year with art by Terese Nielsen. 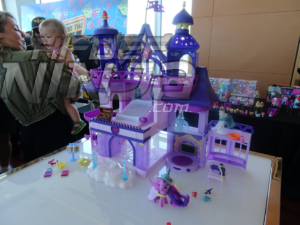 Below, sorted by property, are a mix of photos from the booth and breakfast. 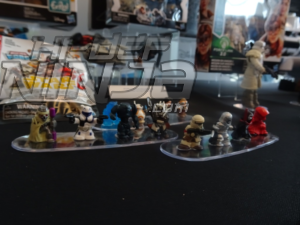 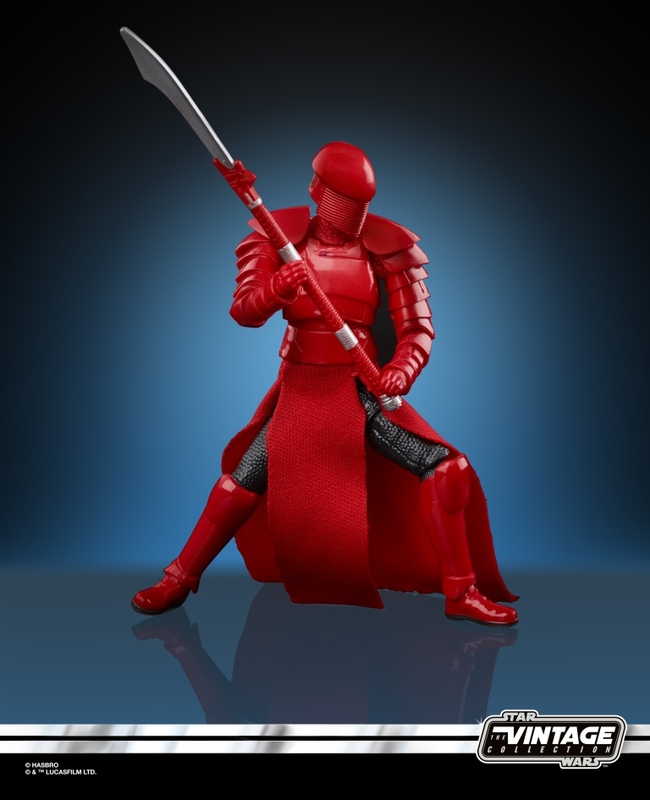 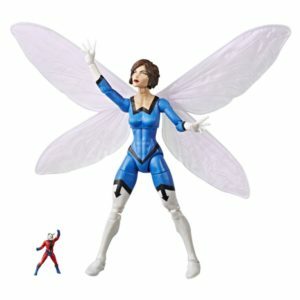 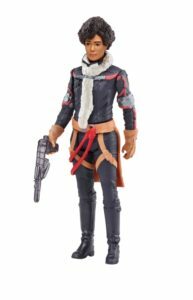 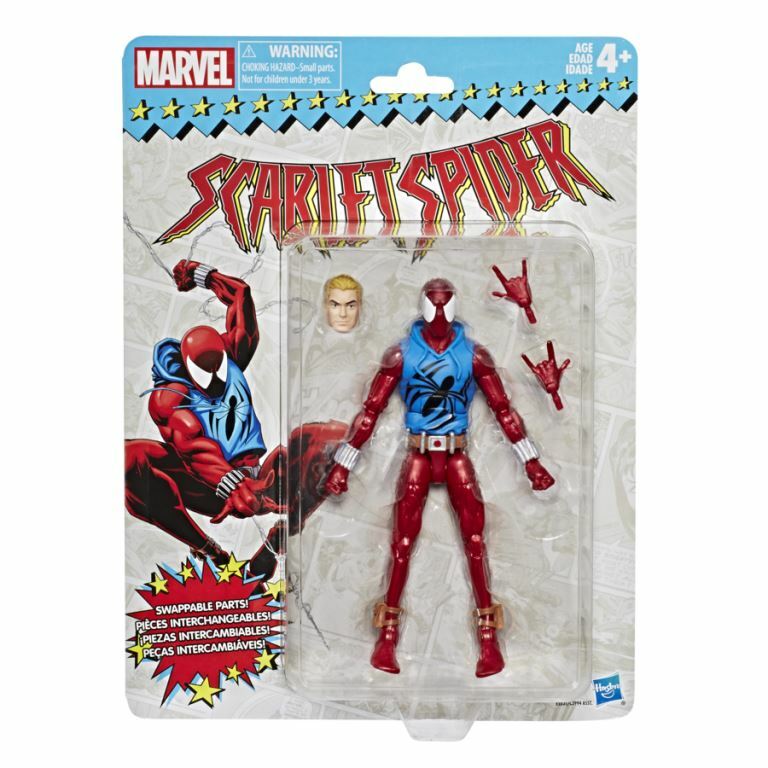 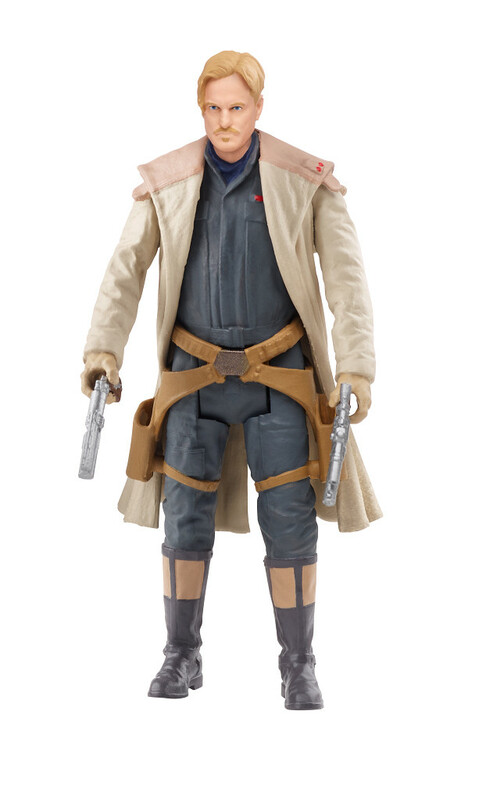 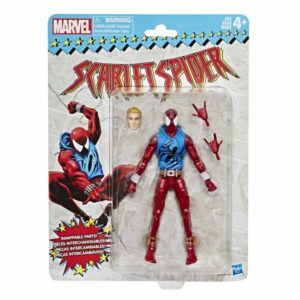 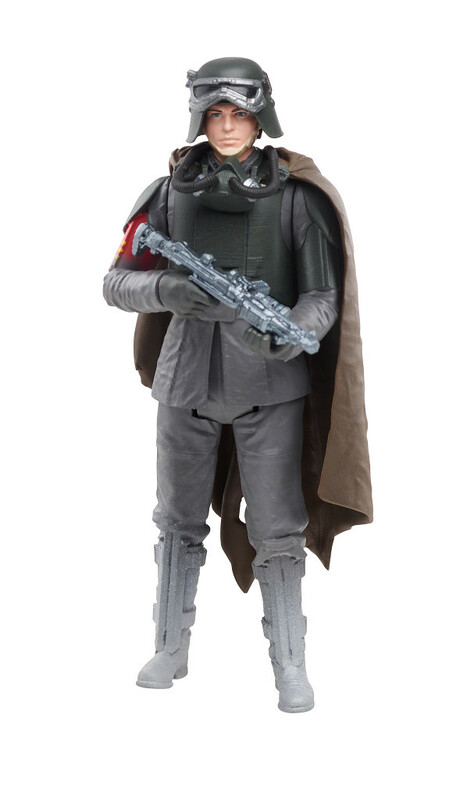 Also throughout the show Hasbro did reveal upcoming figures from their Marvel and Star Wars line so I’ve included the image reveals below as well. Mavel had an impressive display of figures and roleplay from many properties. 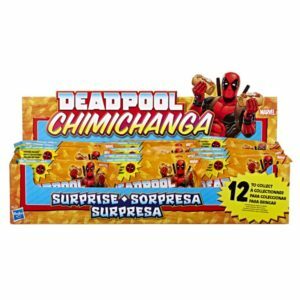 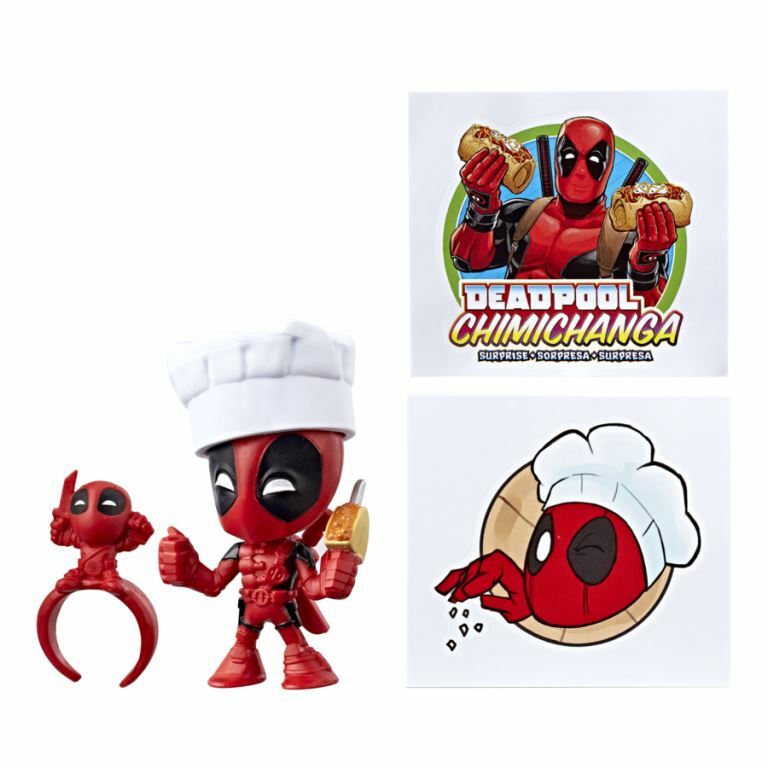 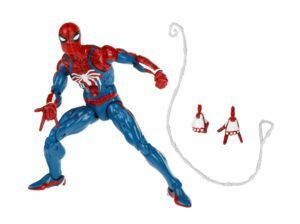 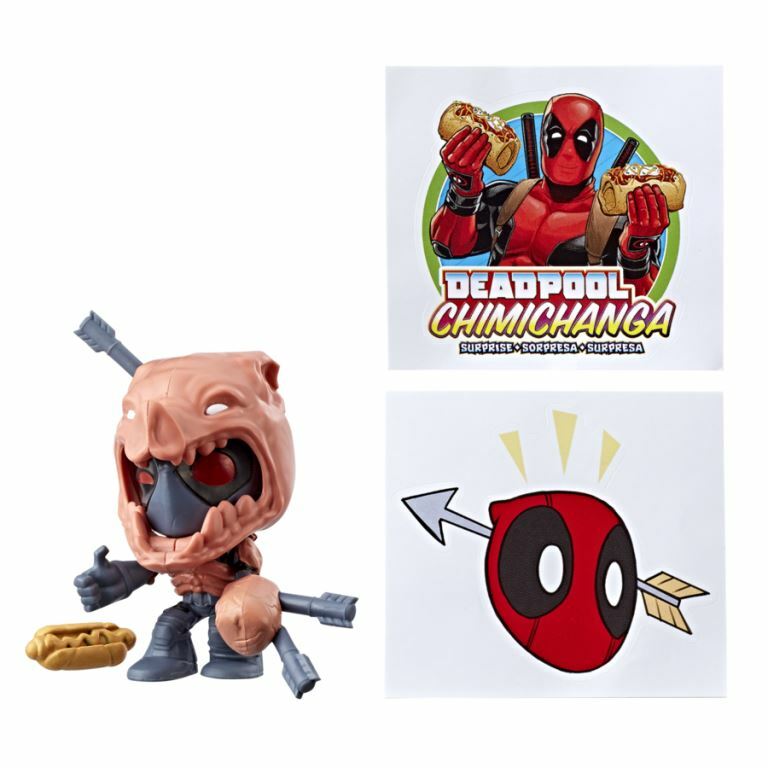 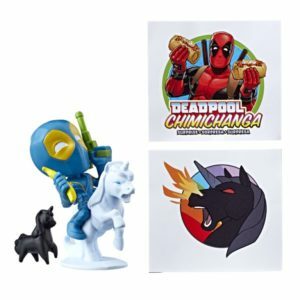 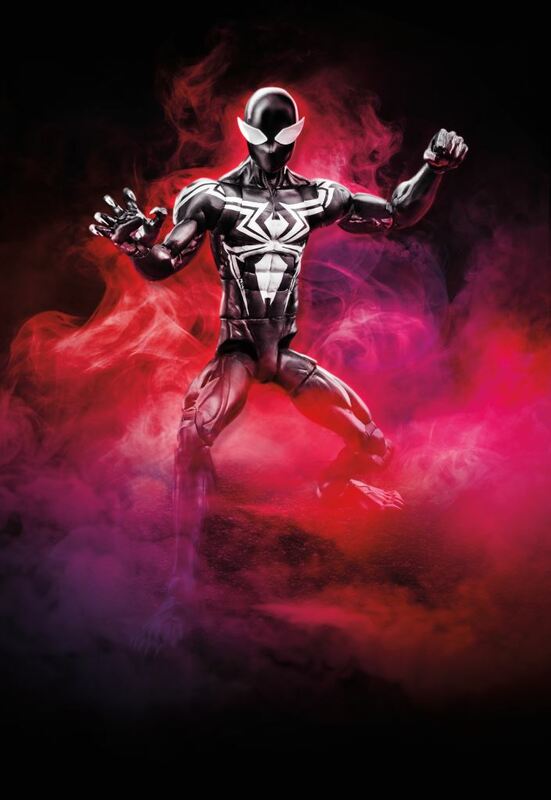 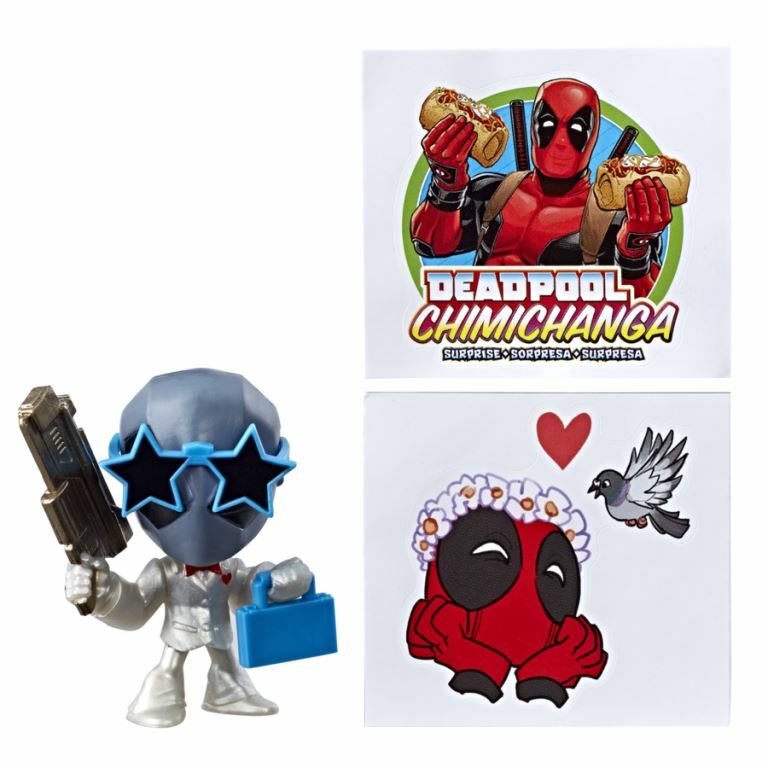 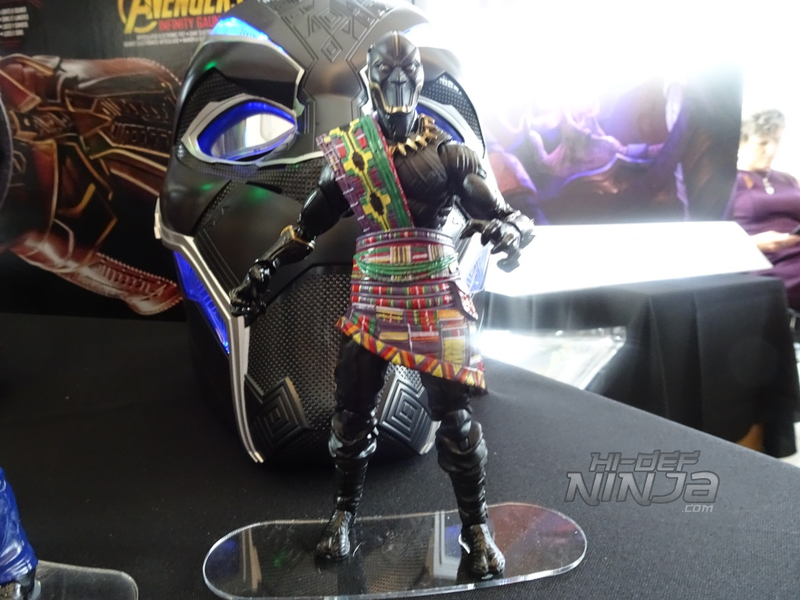 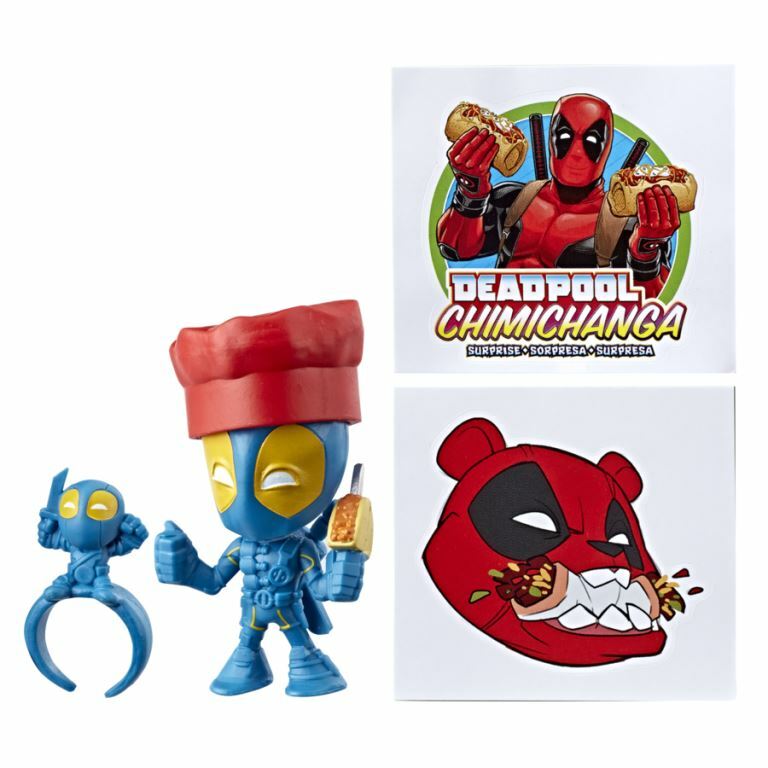 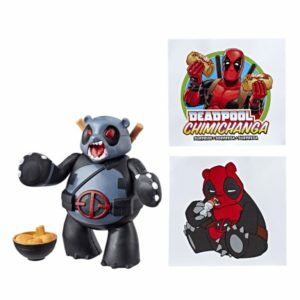 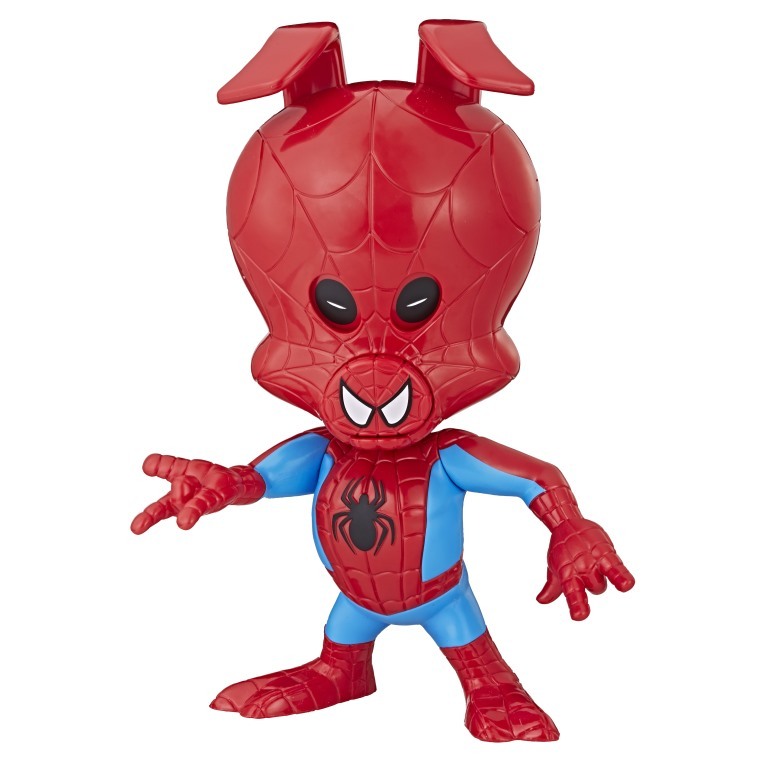 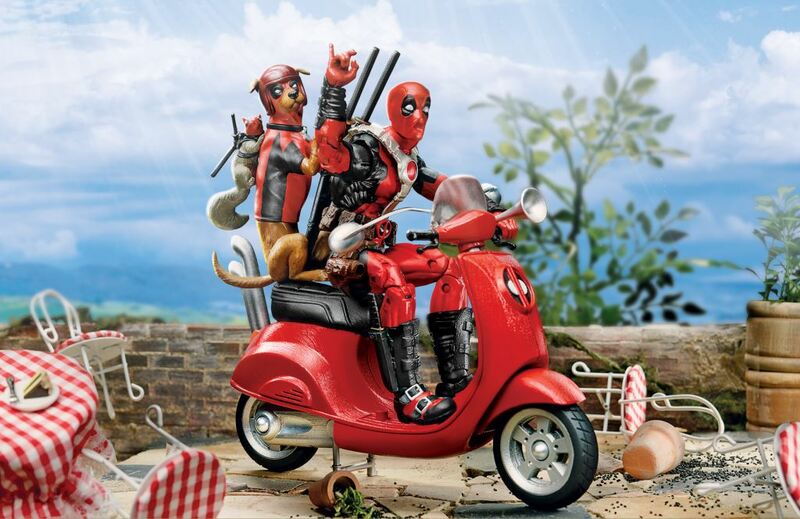 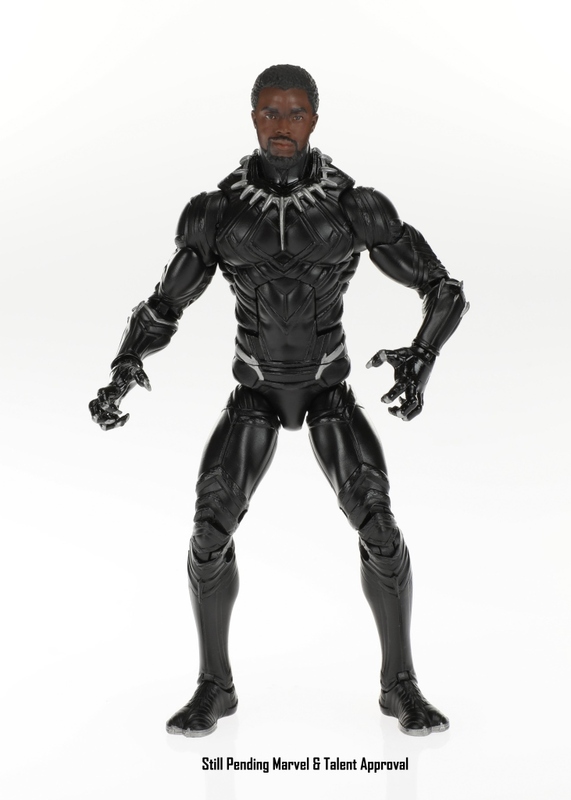 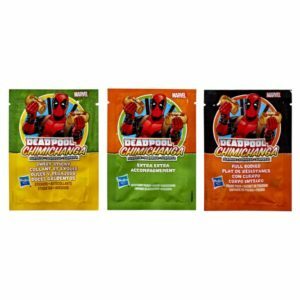 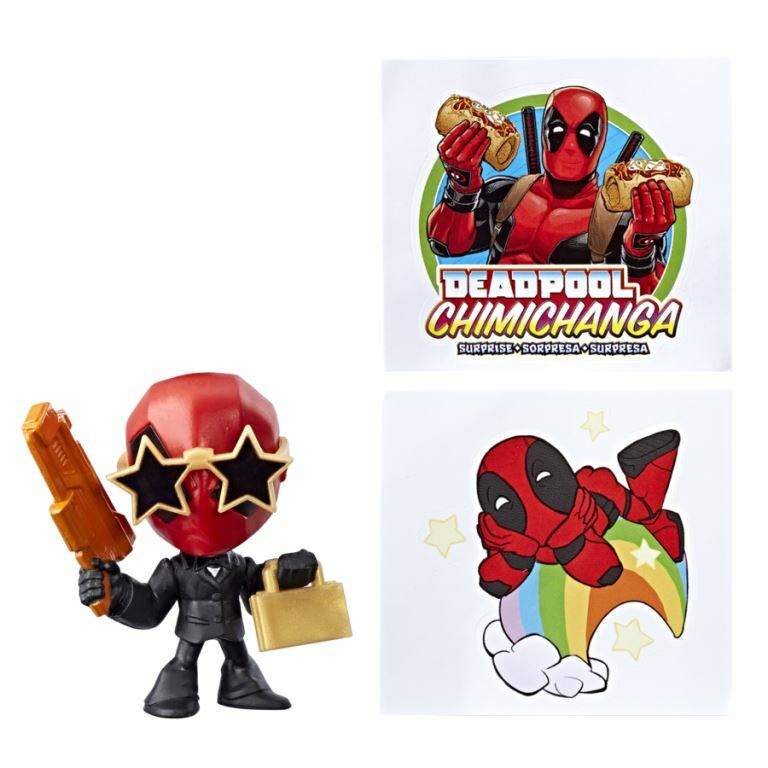 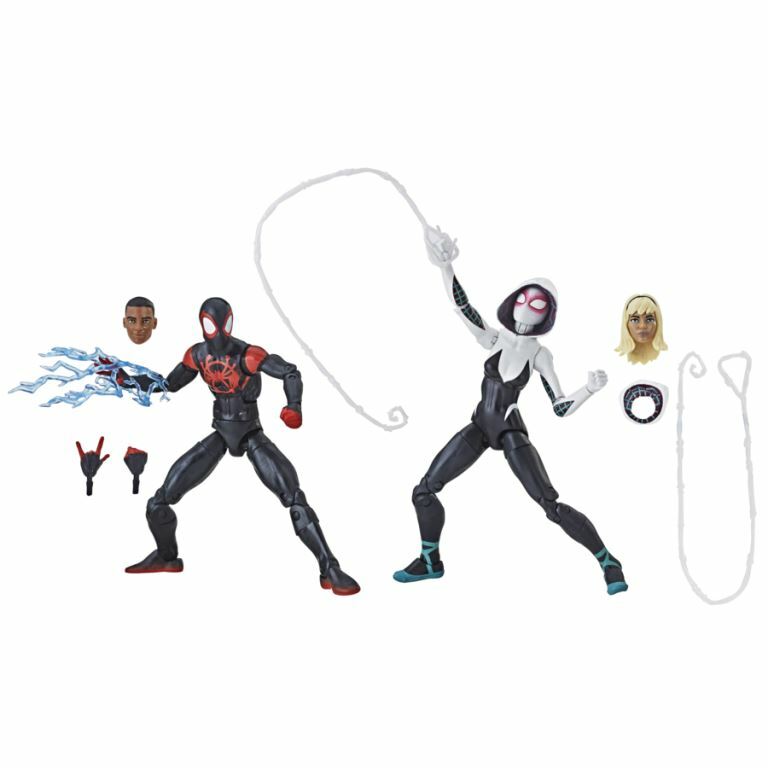 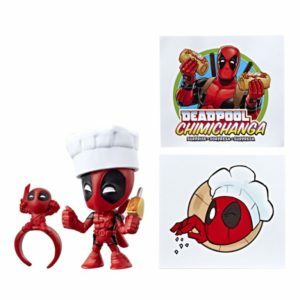 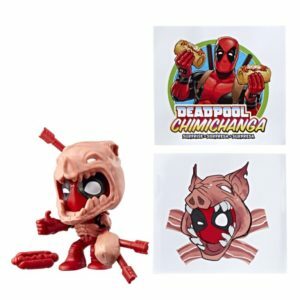 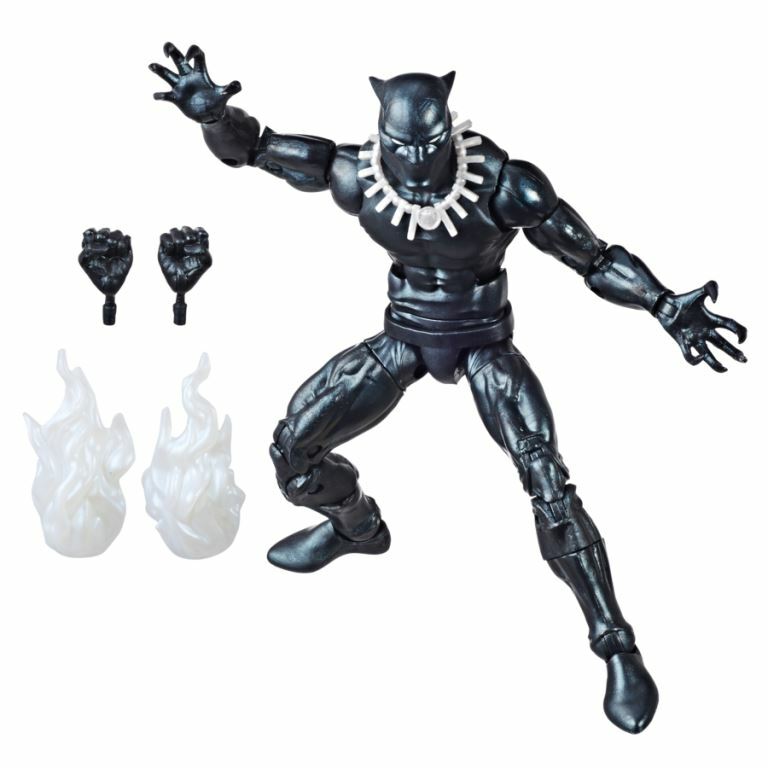 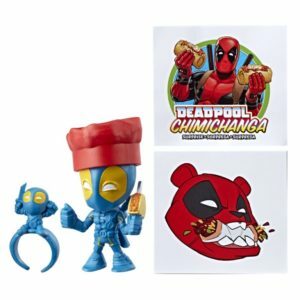 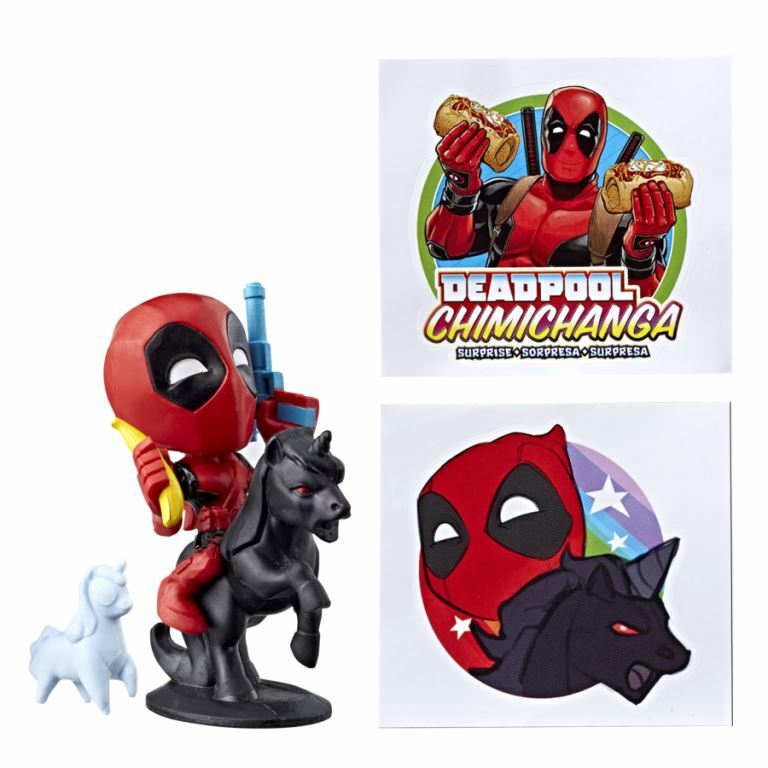 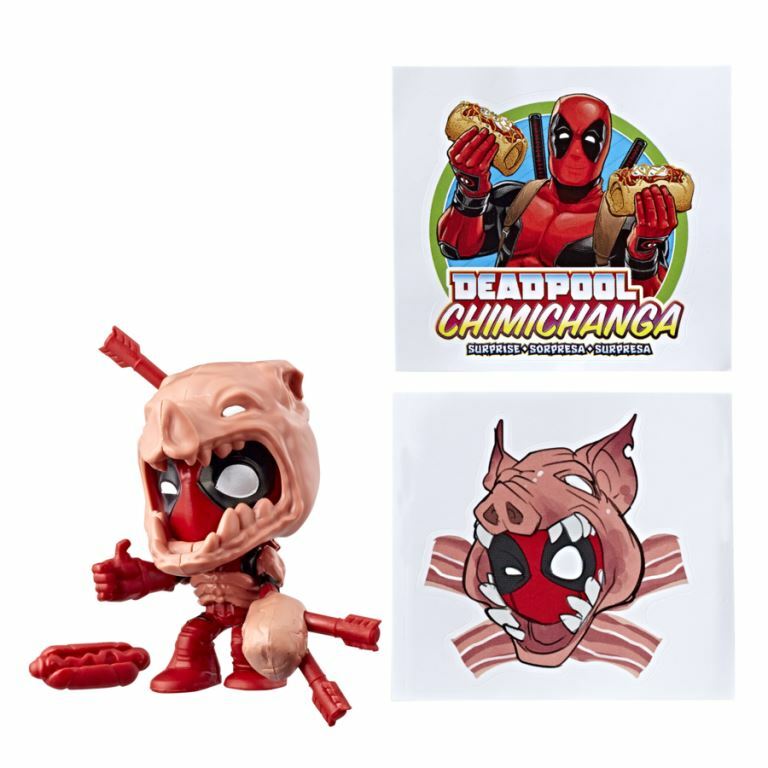 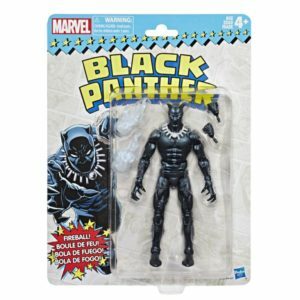 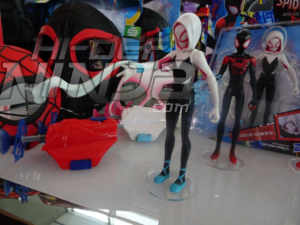 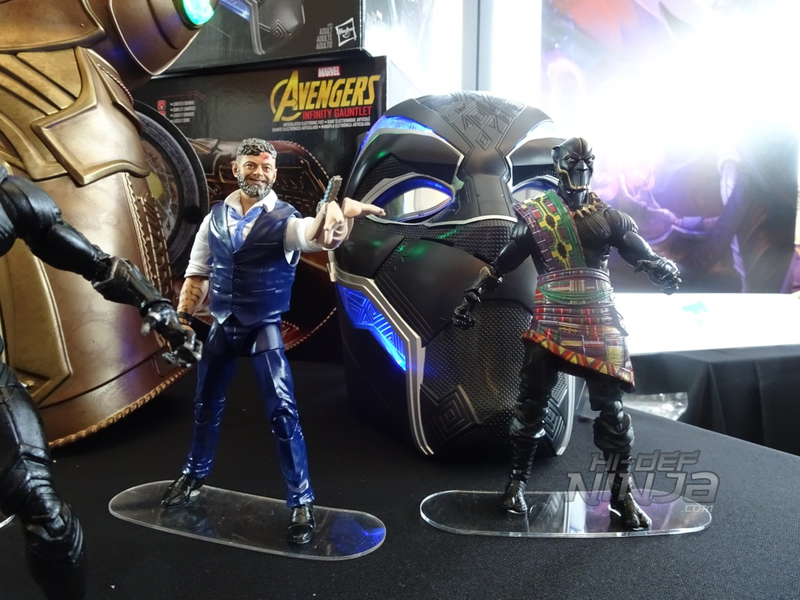 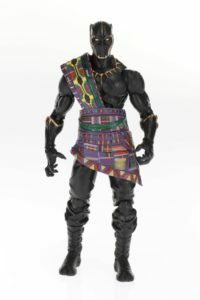 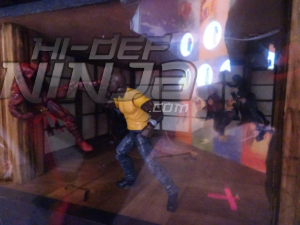 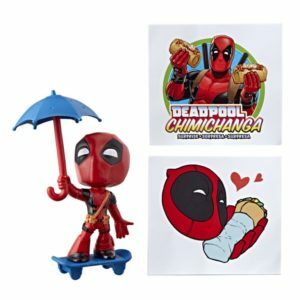 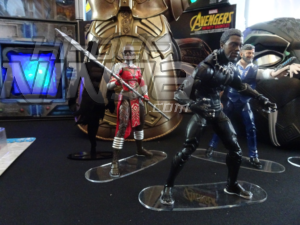 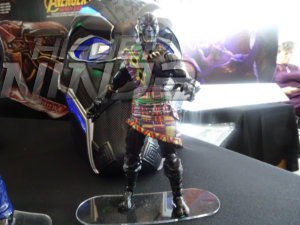 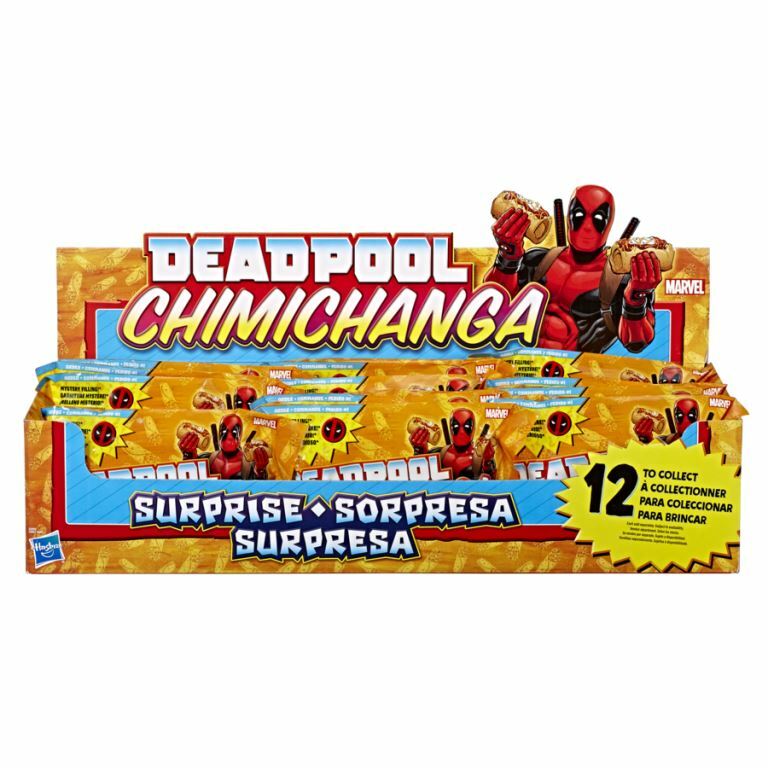 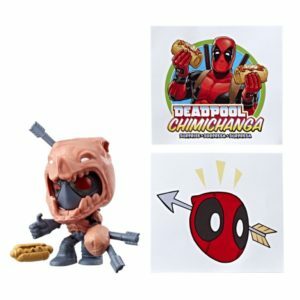 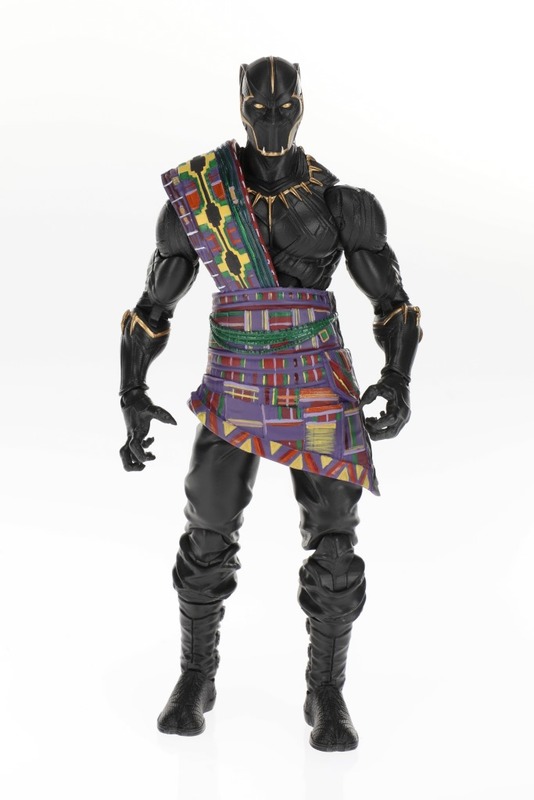 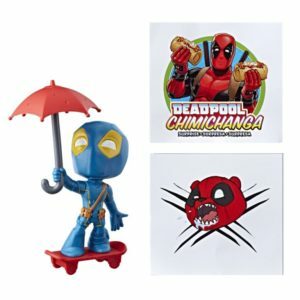 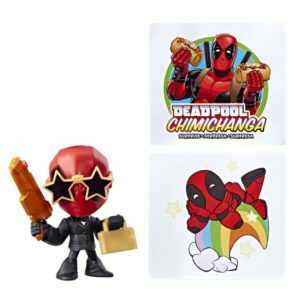 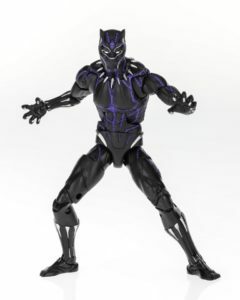 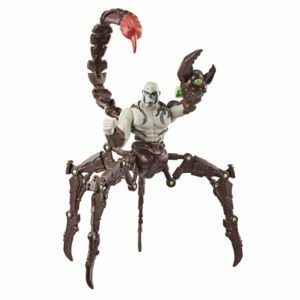 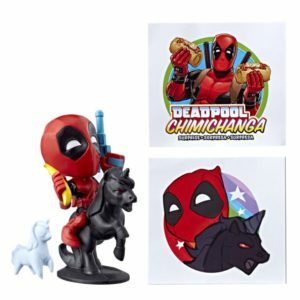 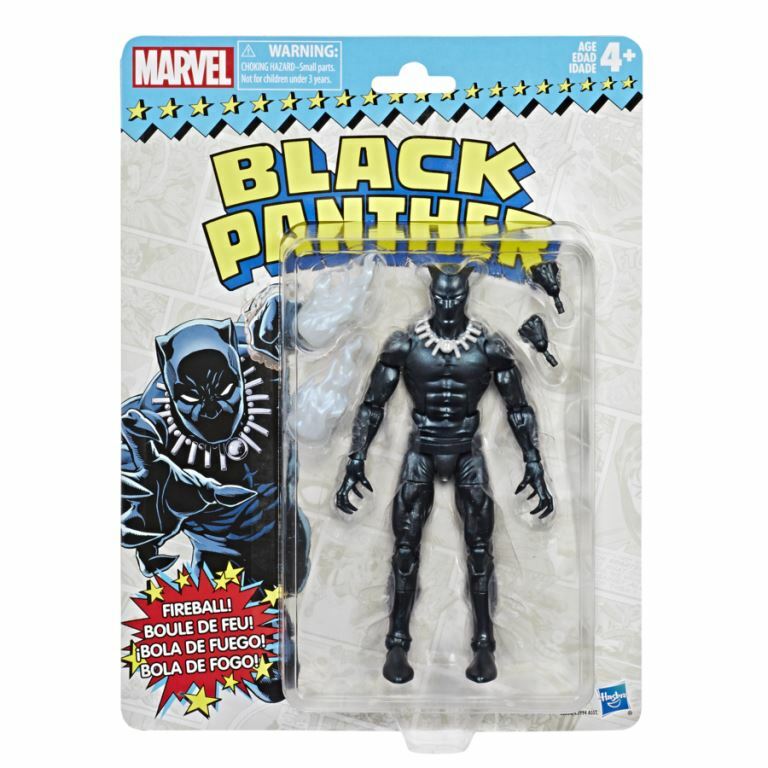 Hasbro revealed both some new Black Panther wave 2 figures, Venom, Spiderman: Into the Spider Verse and a new Deadpool Chimichnga blind box line! 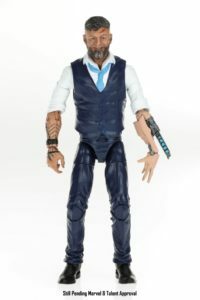 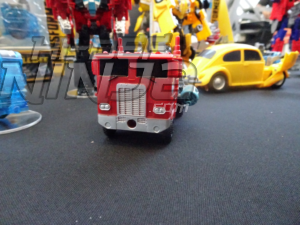 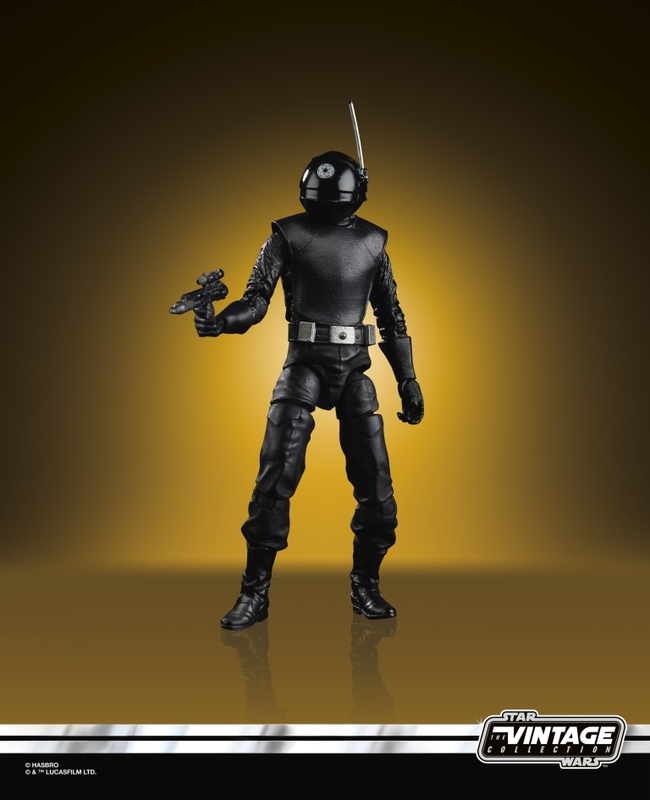 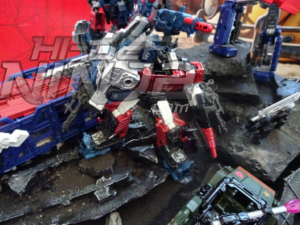 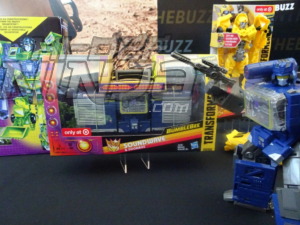 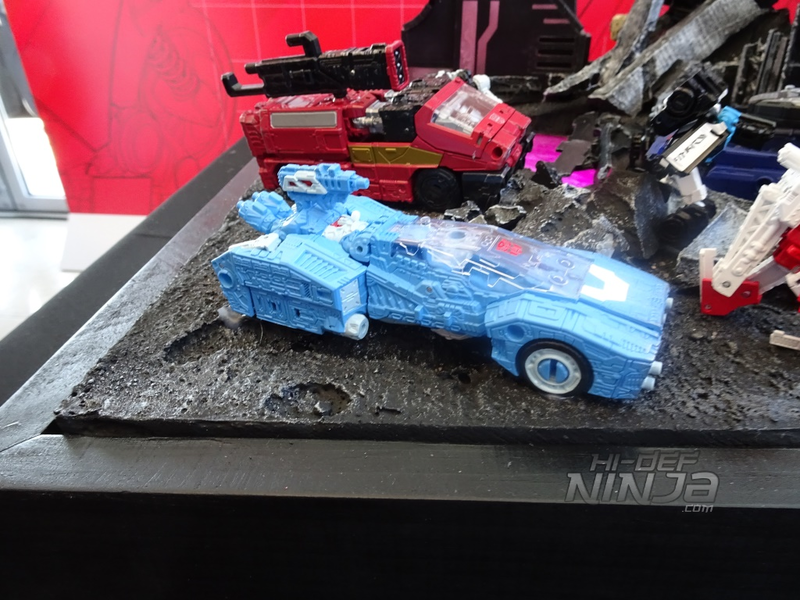 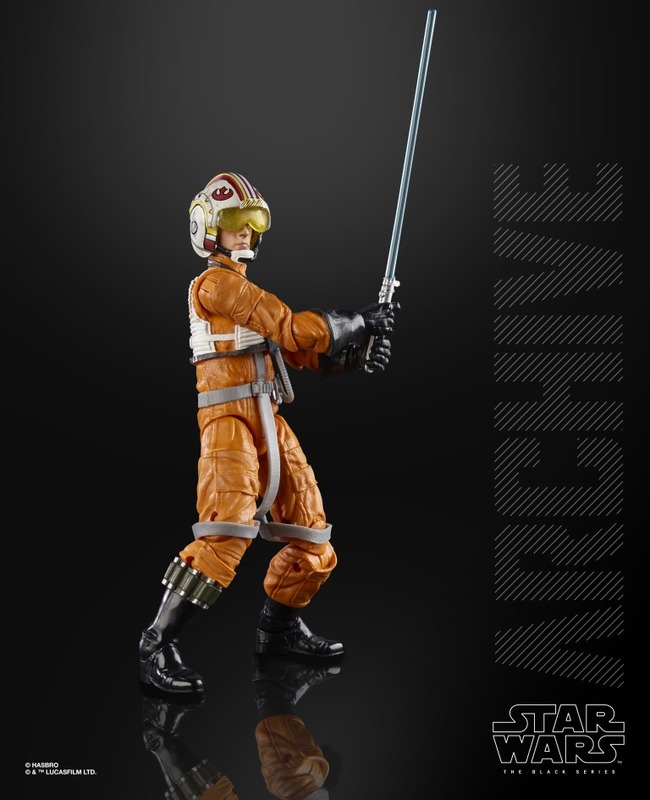 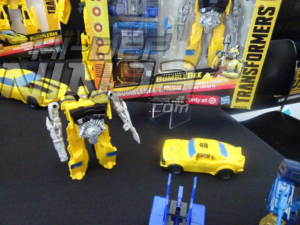 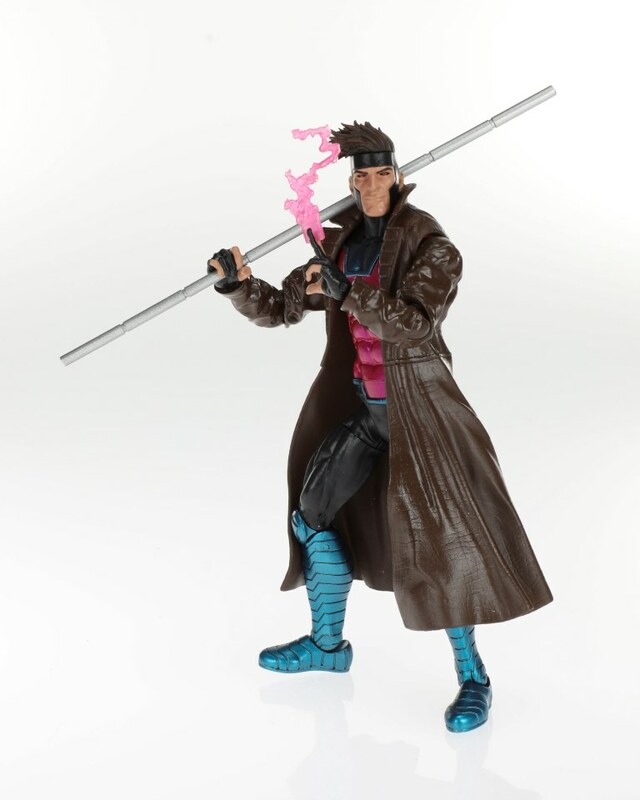 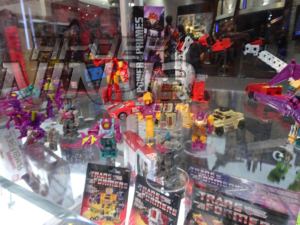 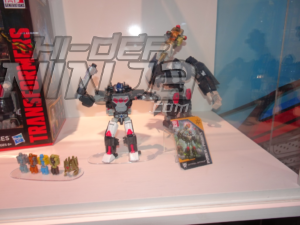 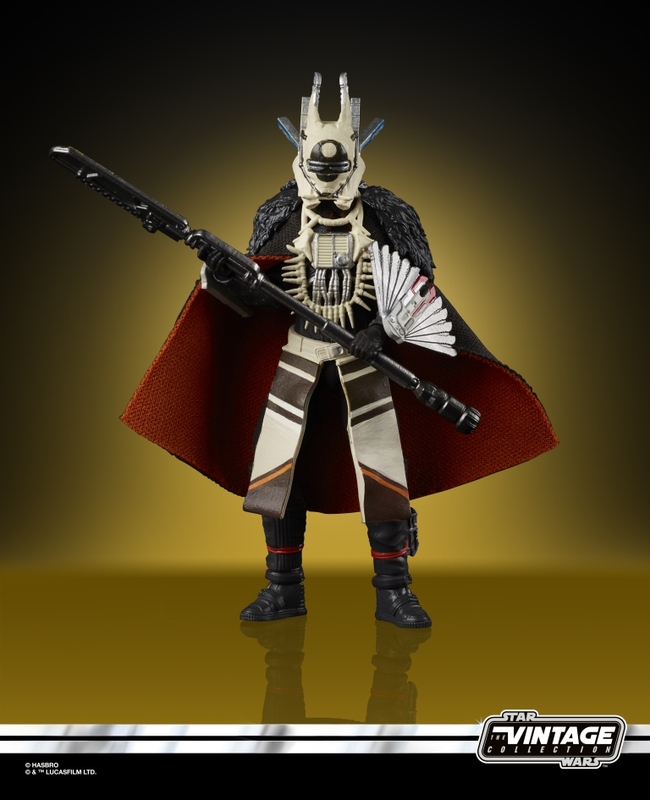 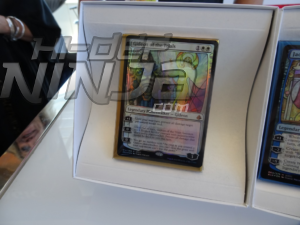 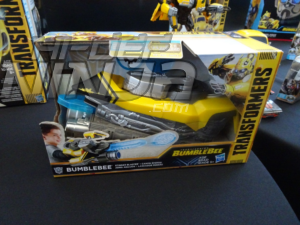 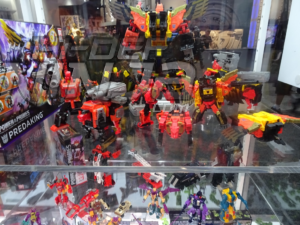 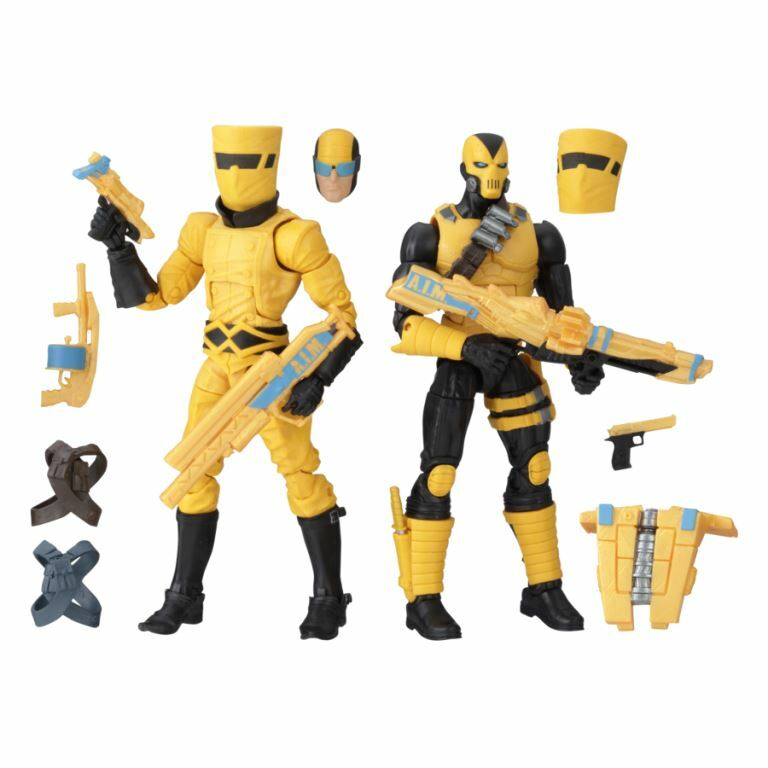 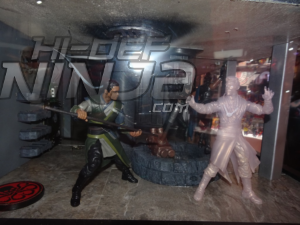 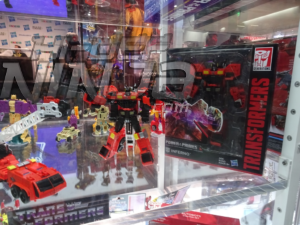 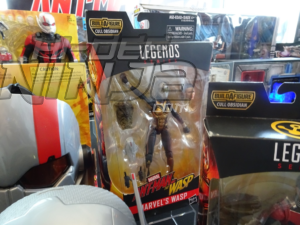 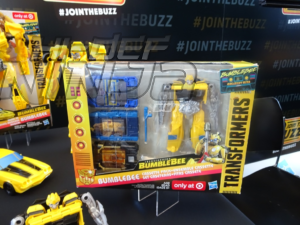 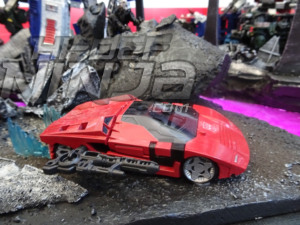 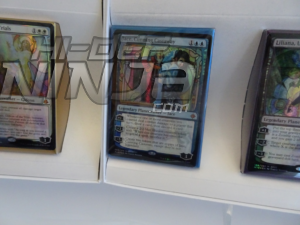 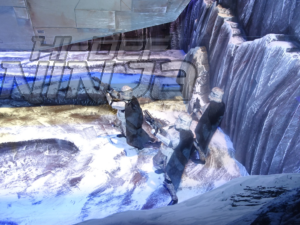 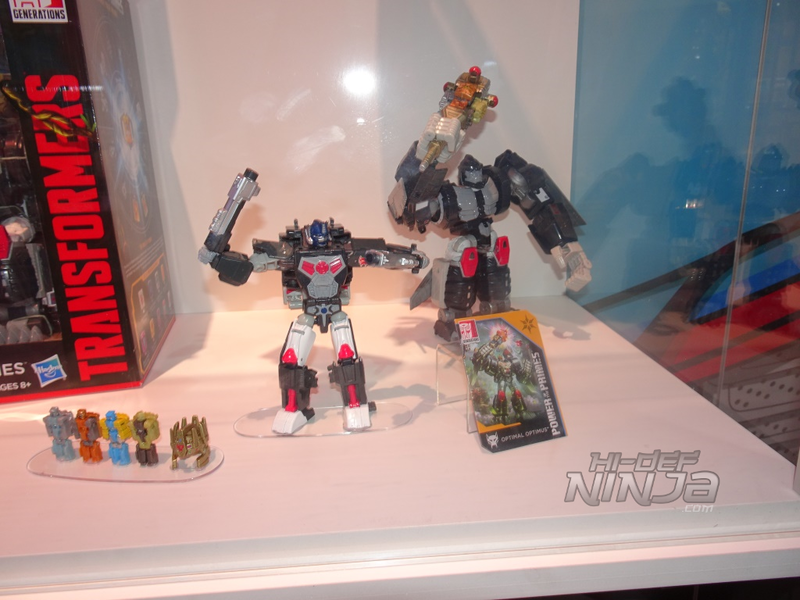 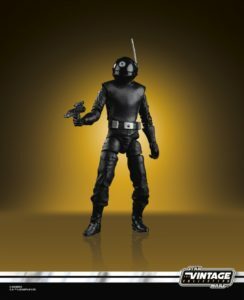 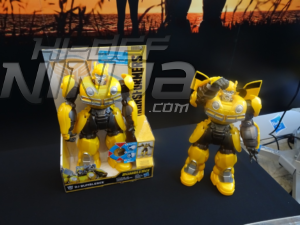 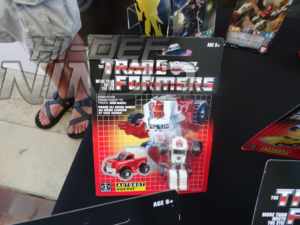 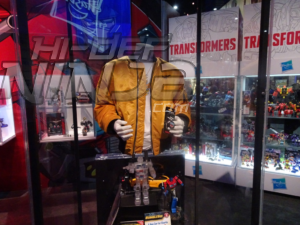 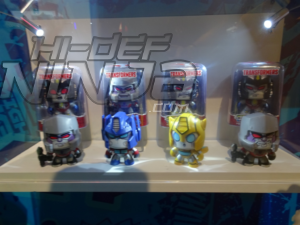 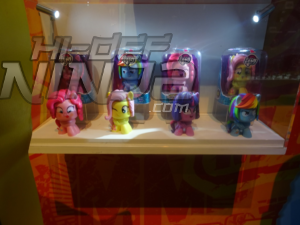 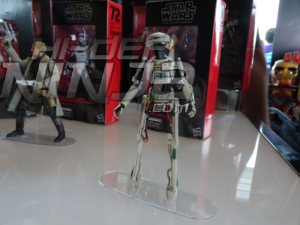 Here are some image reveals direct from Hasbro! 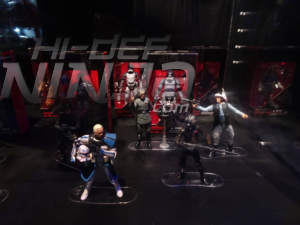 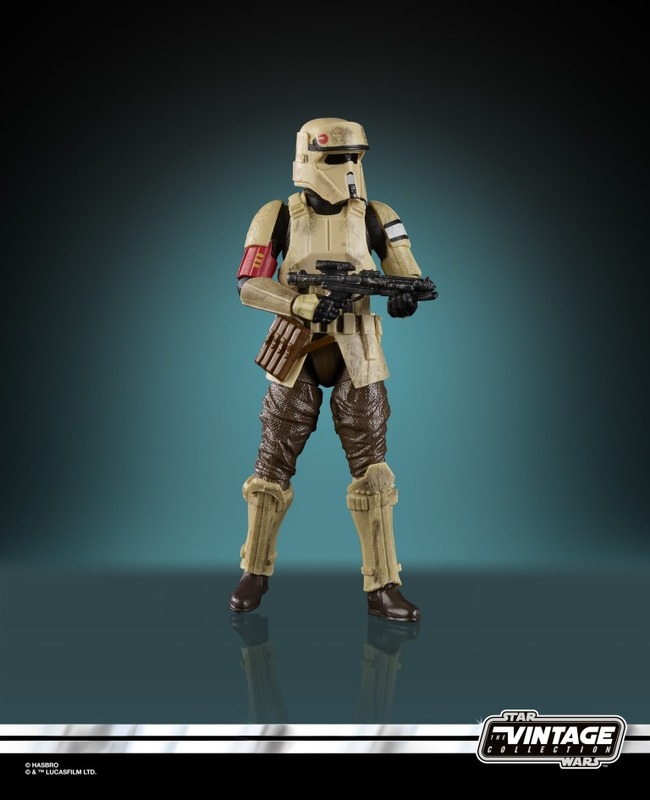 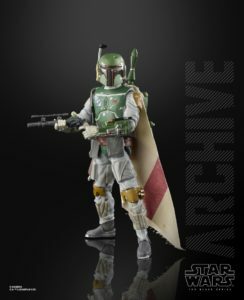 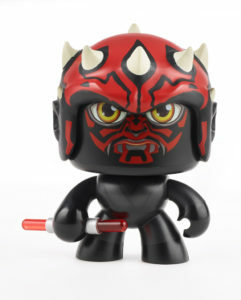 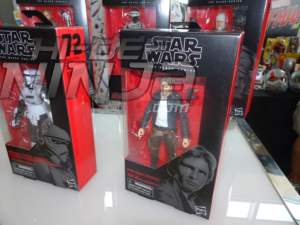 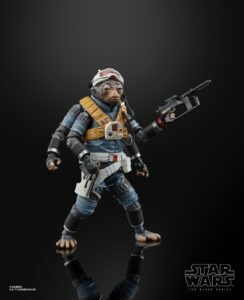 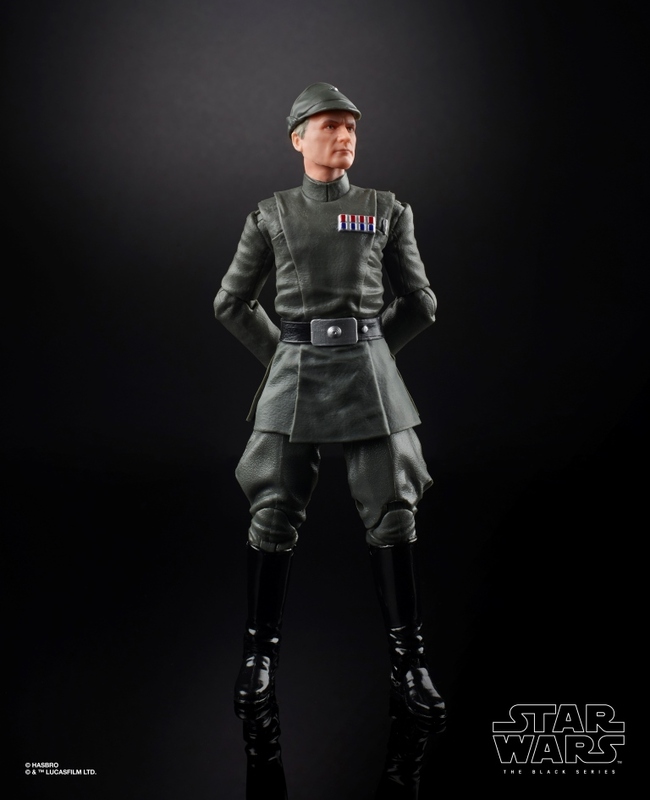 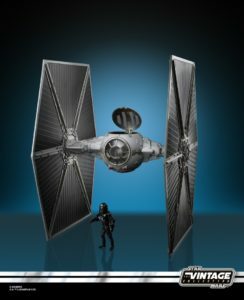 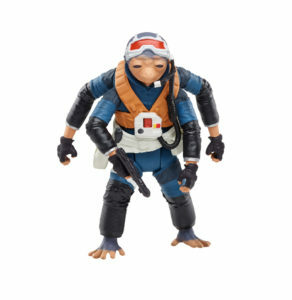 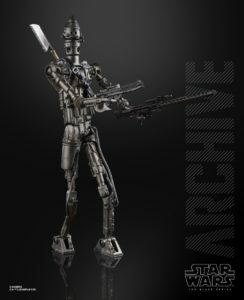 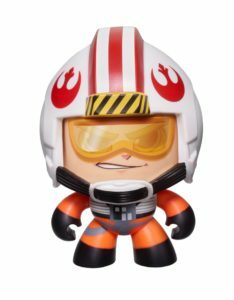 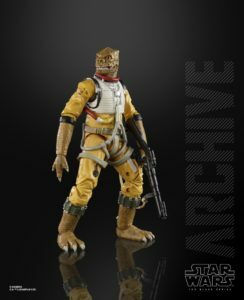 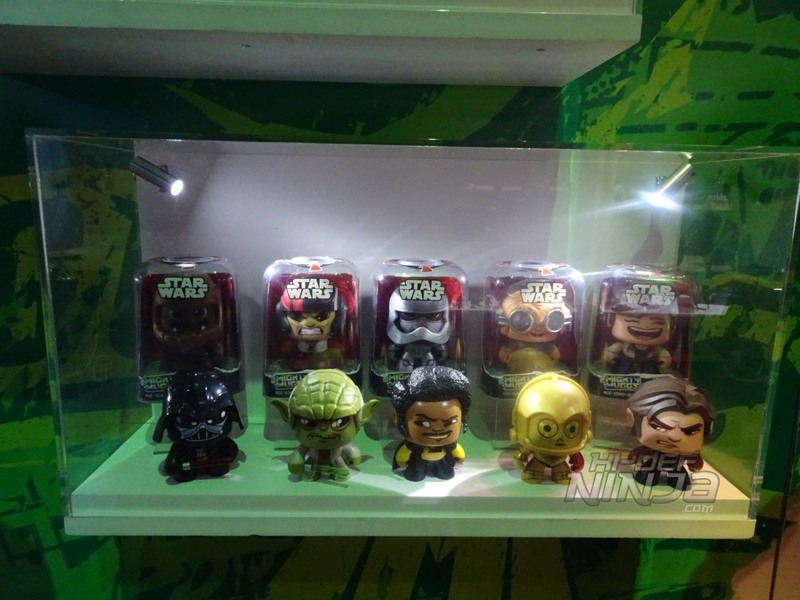 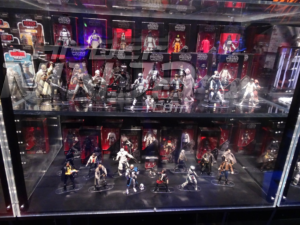 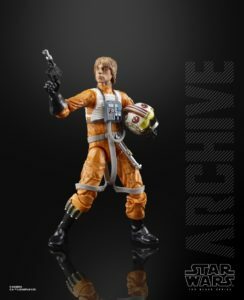 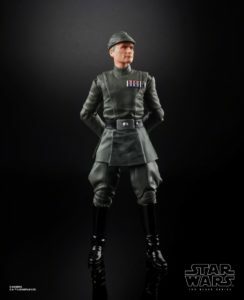 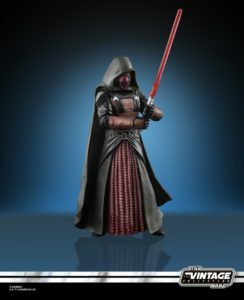 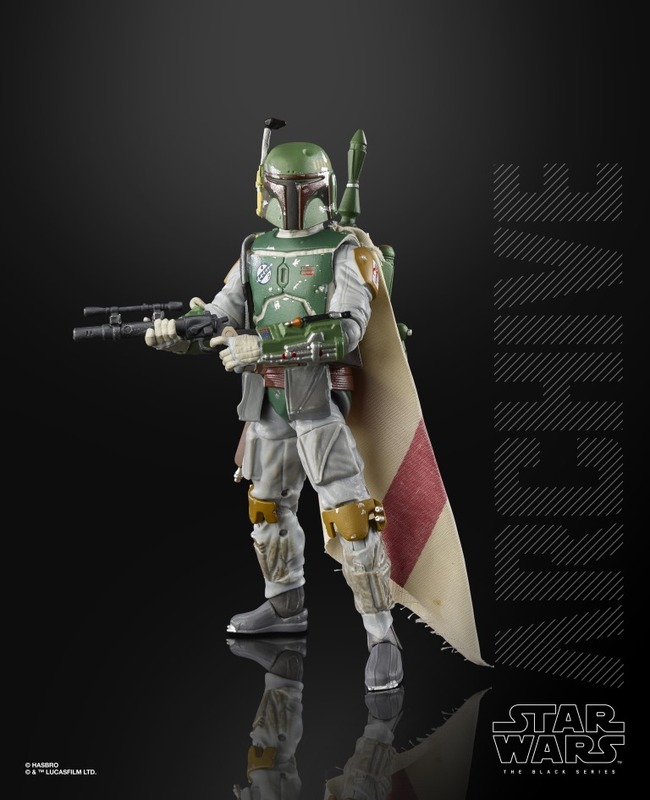 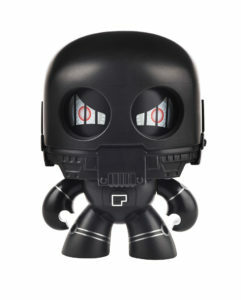 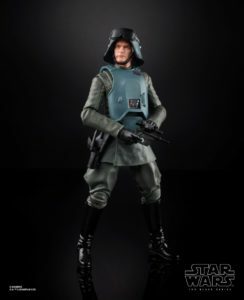 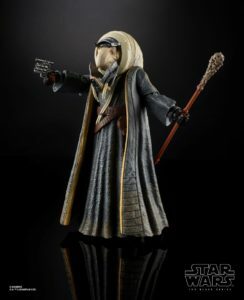 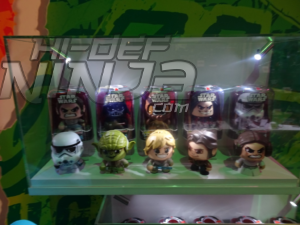 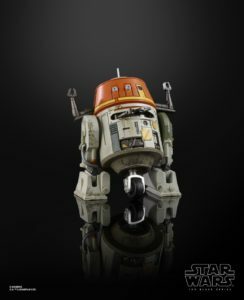 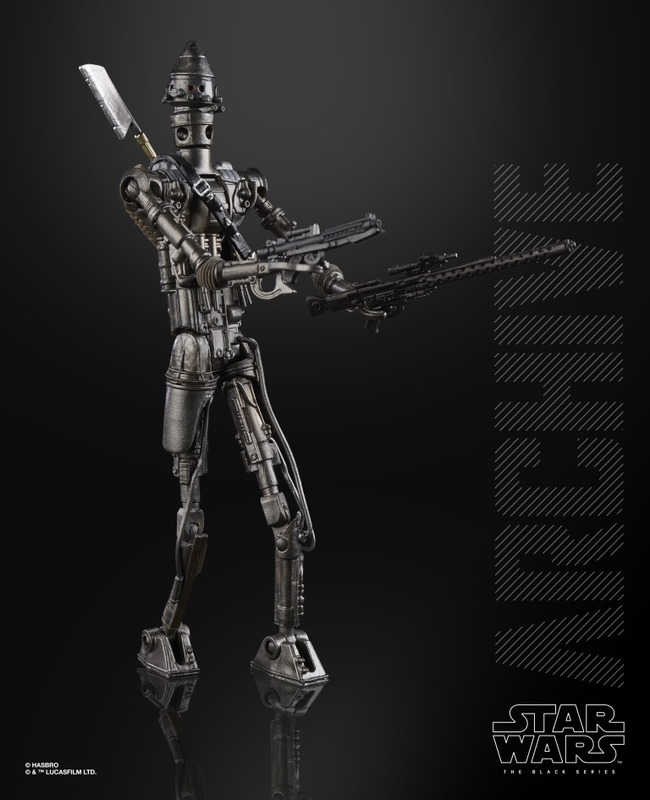 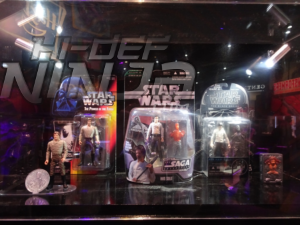 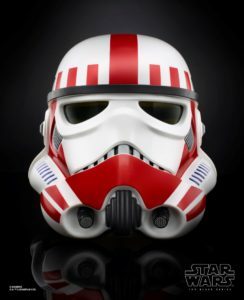 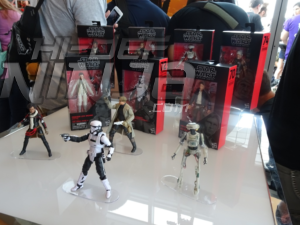 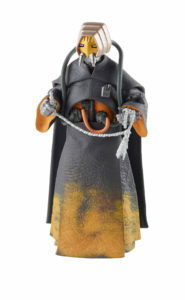 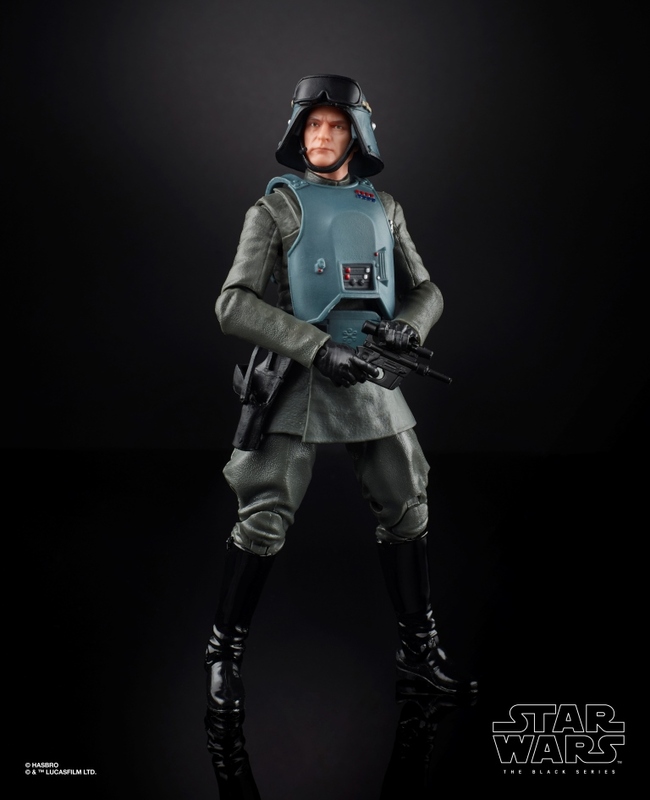 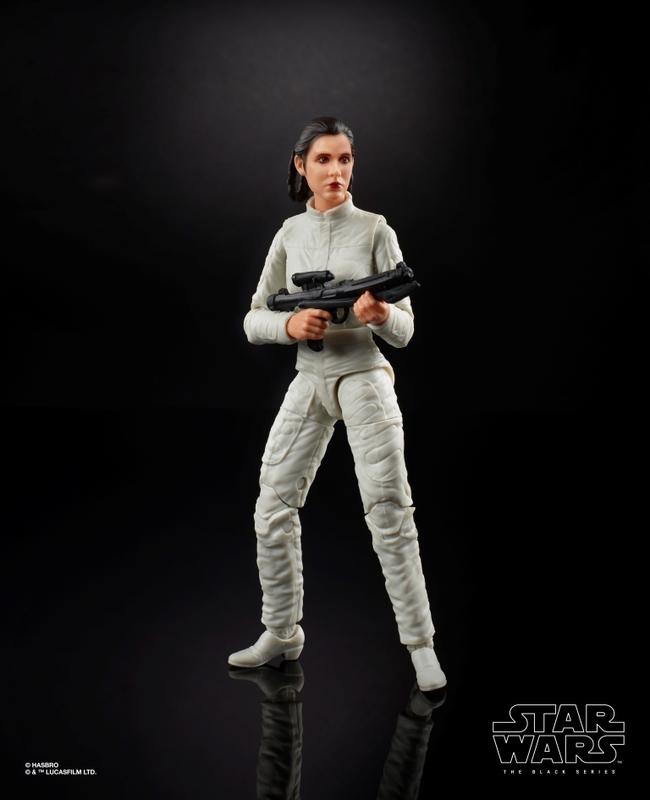 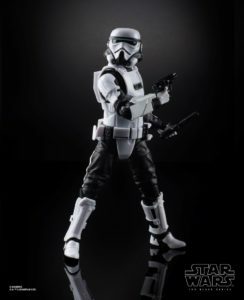 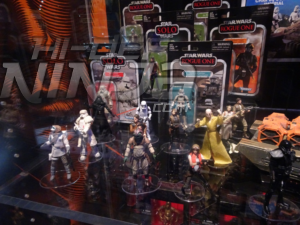 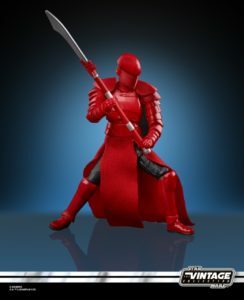 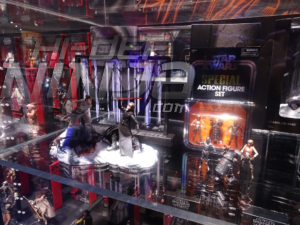 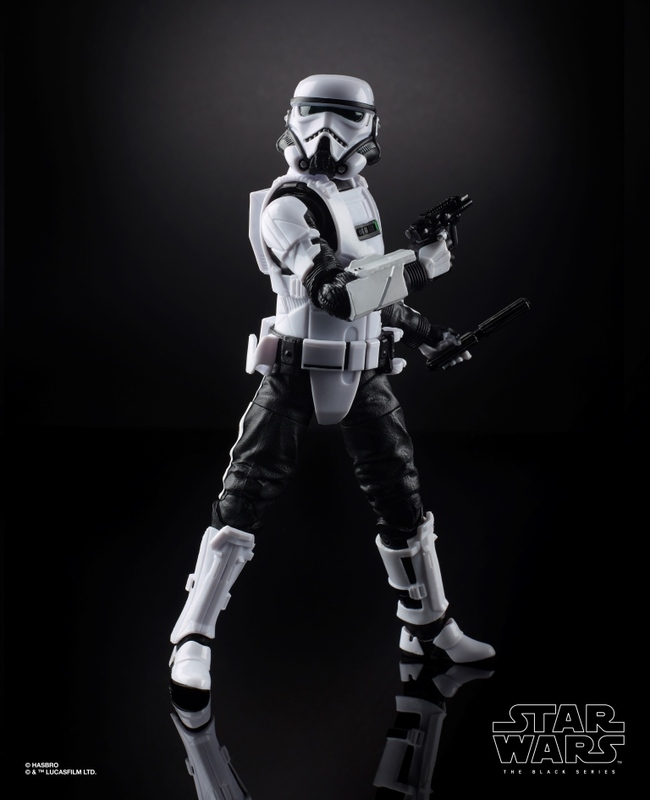 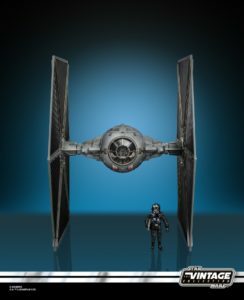 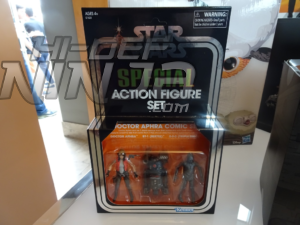 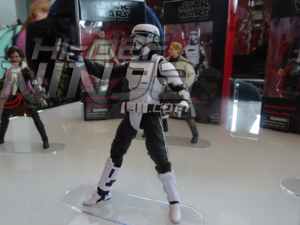 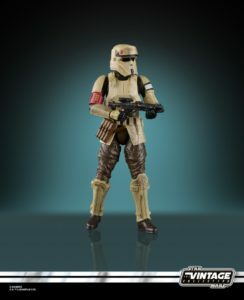 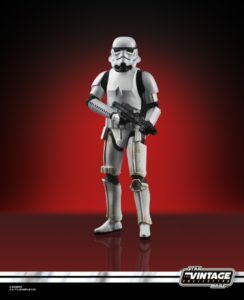 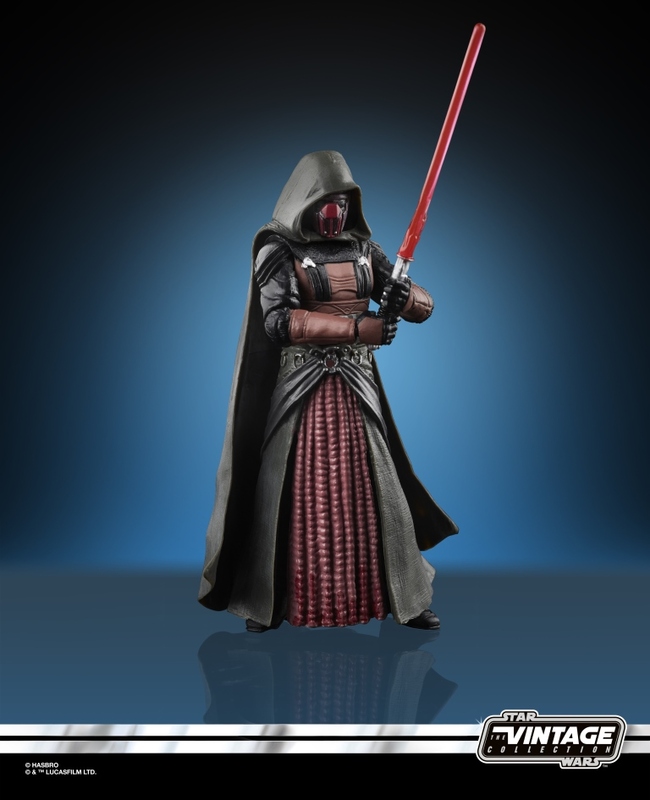 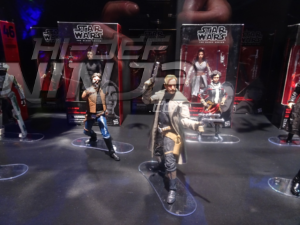 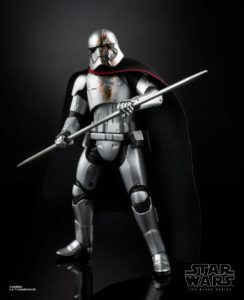 Star Wars saw a host of new reveals with figures int he black Series line, Mighty Muggs line, and the Micro Force line to name a few. 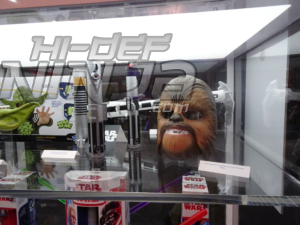 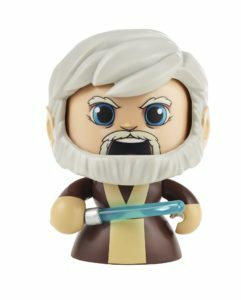 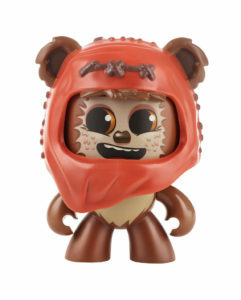 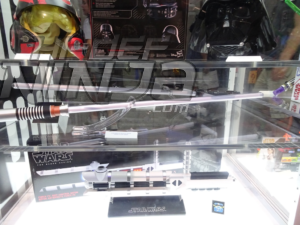 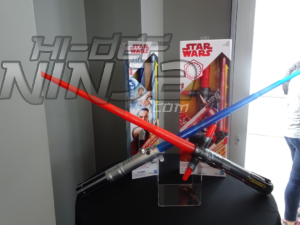 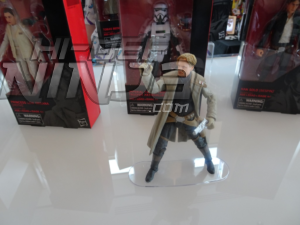 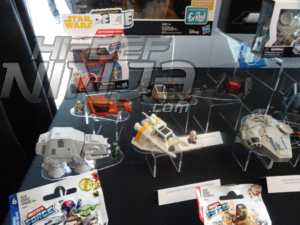 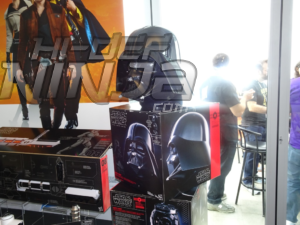 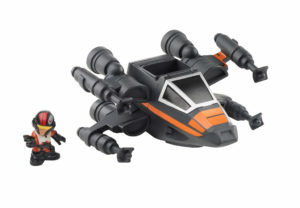 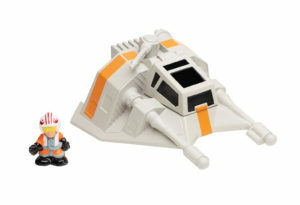 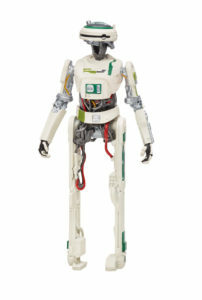 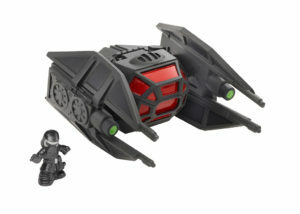 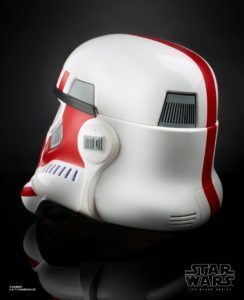 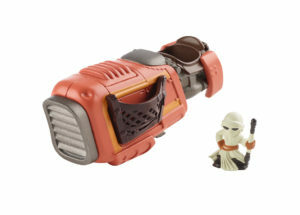 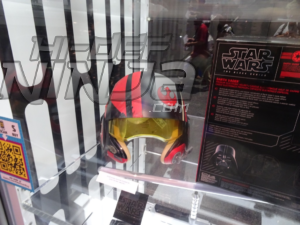 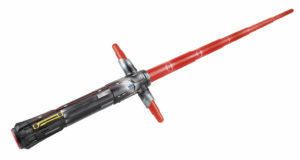 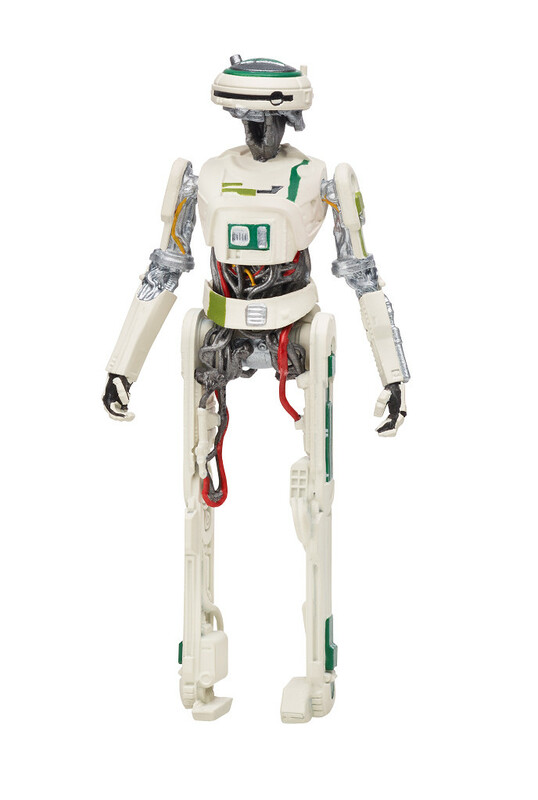 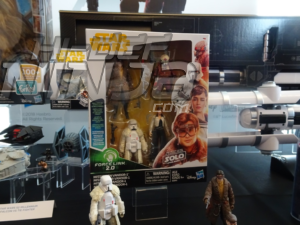 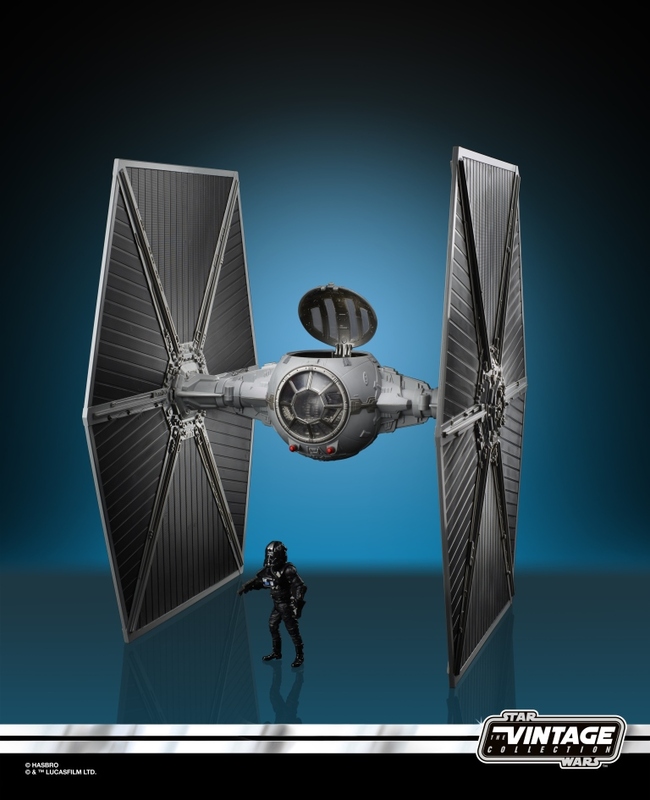 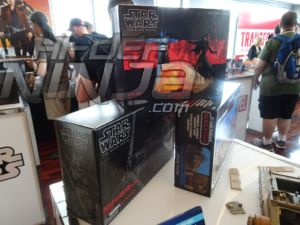 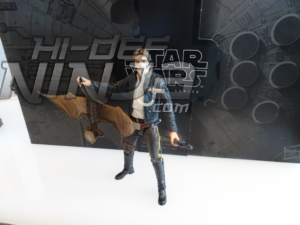 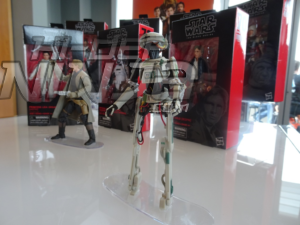 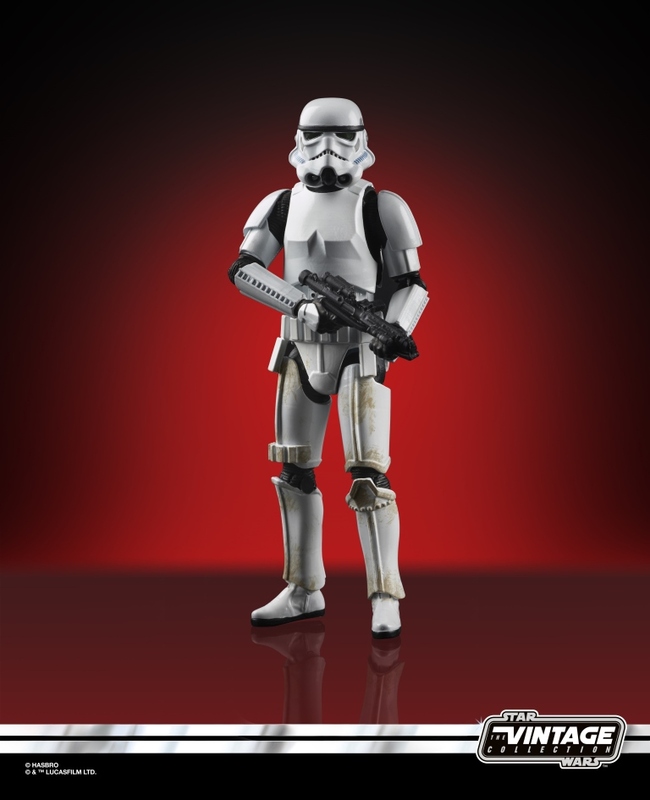 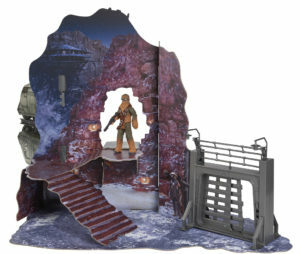 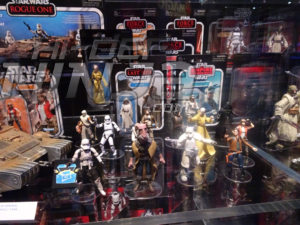 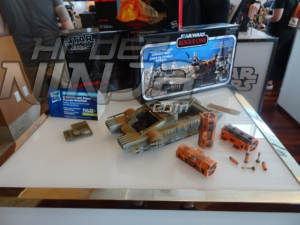 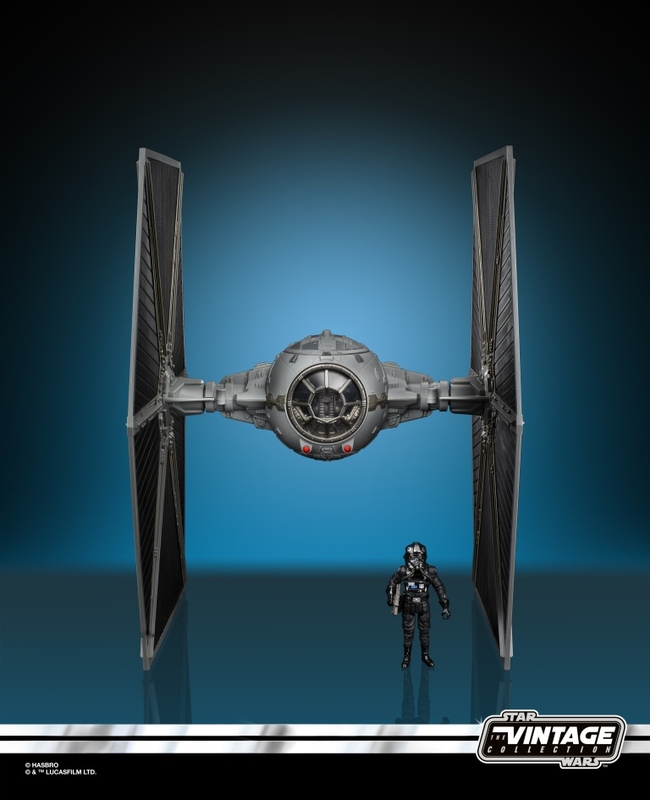 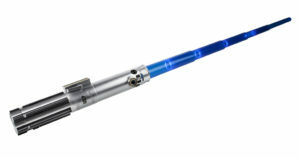 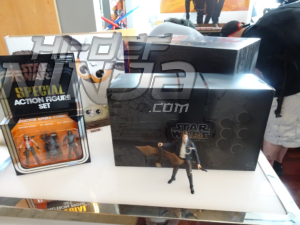 And here are some Star Wars product reveals directly from Hasbro! 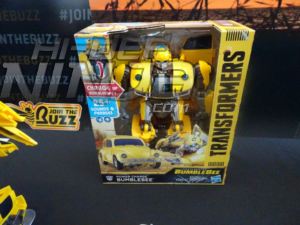 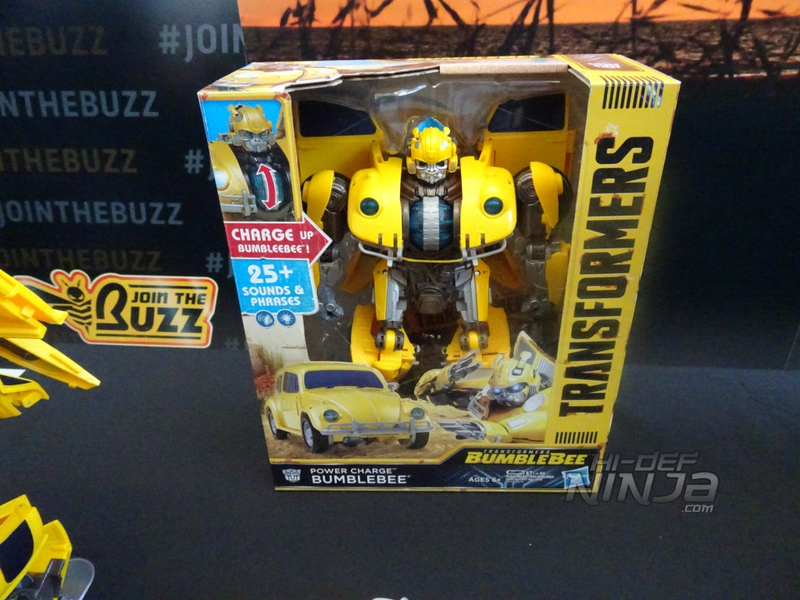 Finally in Hall H on Friday there was a Bumblebee panel featuring the cast of the upcoming movie including Director Travis Knight, Hailee Steinfeld, John Cena, and a special appearance by the one and only voice of Optimus Prime – Peter Cullen. 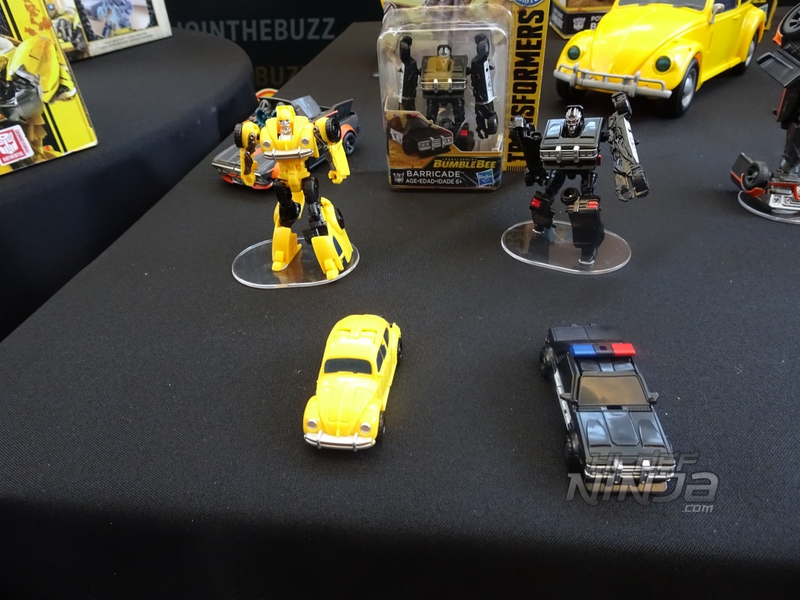 Check out the Bumblebee trailer below and see it in theaters when it releases on December 21!